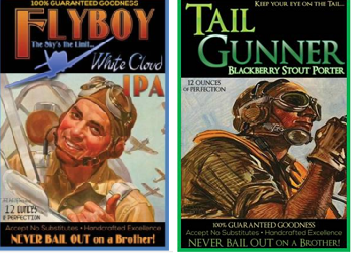 As we commence Thebeerchaser’s Tour of Bars, Taverns and Pubs in 2017, a few tidbits or “beer-chasers.” if you will, might be fun to review. 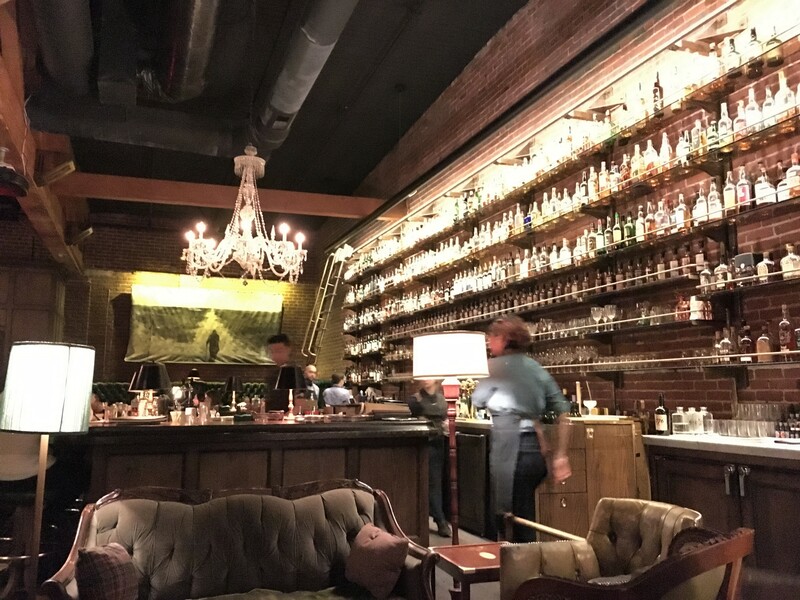 I have already visited my first 2017 bar on January 4th – Multnomah Whiskey Library – a stark contrast to all of the dive bars visited in five years. 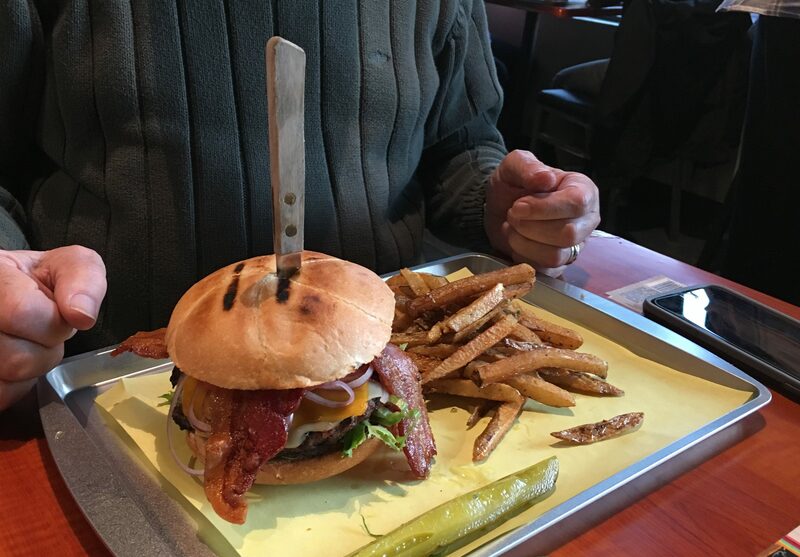 Stay tuned for the review in a week….. 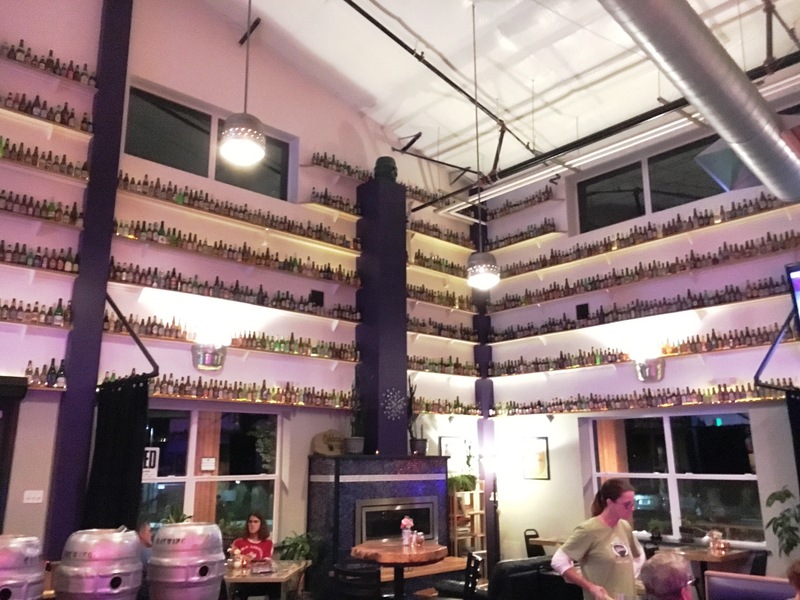 The MWL – An upscale start to 2017 Beerchasing…. 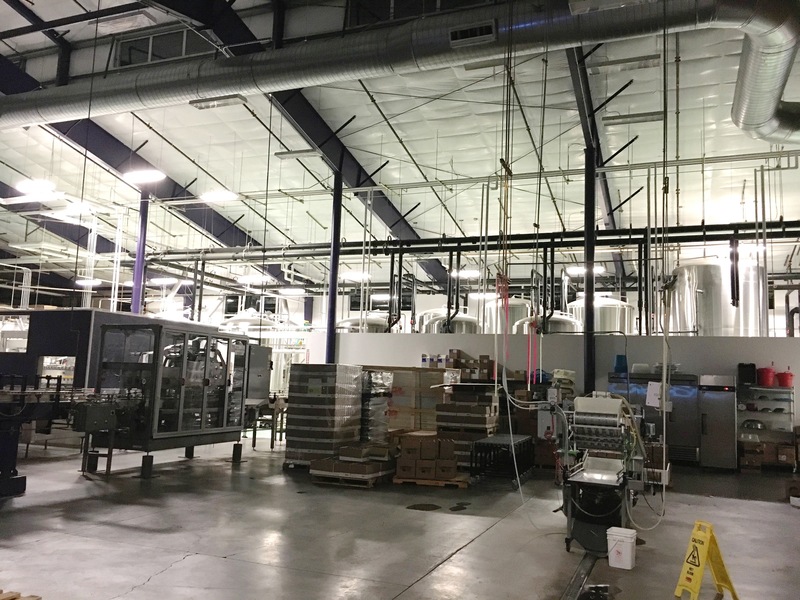 Many of you have seen Thebeerchaser’s 2016 Annual Report, posted on December 26th. 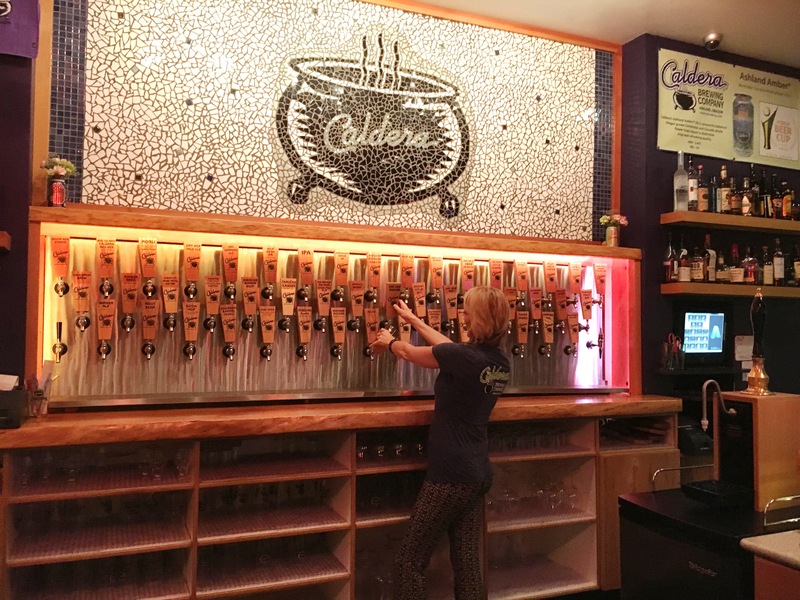 Click on link above to read it if you want to see the 37 new watering holes visited in 2016 – 14 in Portland and 23 outside the Rose City. 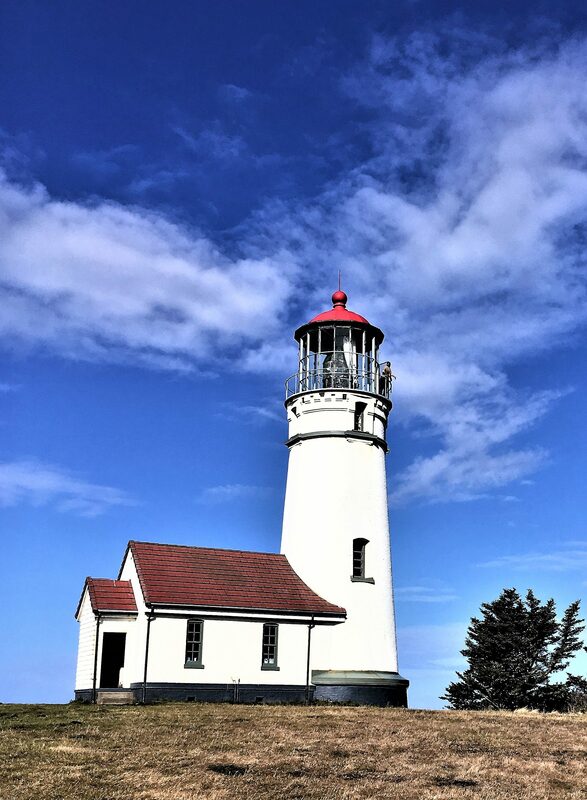 There are also links which will enumerate (separately) the total of 198 bars visited since 2011 which comprise 83 in Portland and 115 in Europe, Alaska, Hawaii, several regions of the US and the coast and the desert in Oregon. Thebeerchaser blog had 21,568 views by 16,058 individuals in 2016 compared to 7,000 views in 2012, the first full year this blog was published. 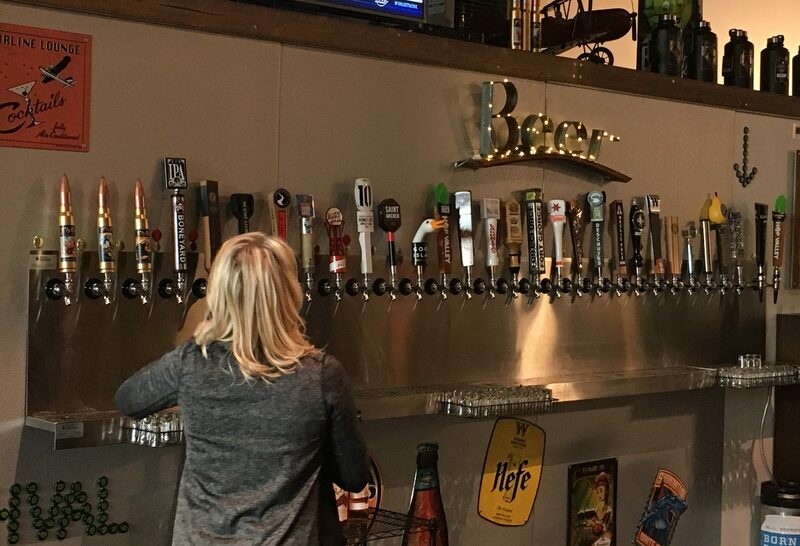 Although as stated before in this blog, I have some skepticism about lists ranking bars or beers, which are usually compiled by over-worked reporters or writers with deadlines haunting them. 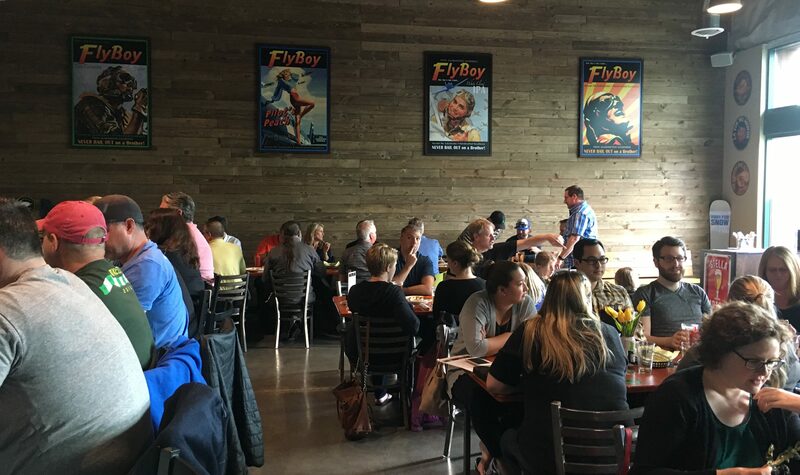 However, a recent ranking by Thrillist https://www.thrillist.com/ has an article on “Portland’s Best Beer Bars,” and lists ten establishments worth noting. Thrillist is a digital media group located in New York City and founded in 2004 by two University of Pennsylvania grads. 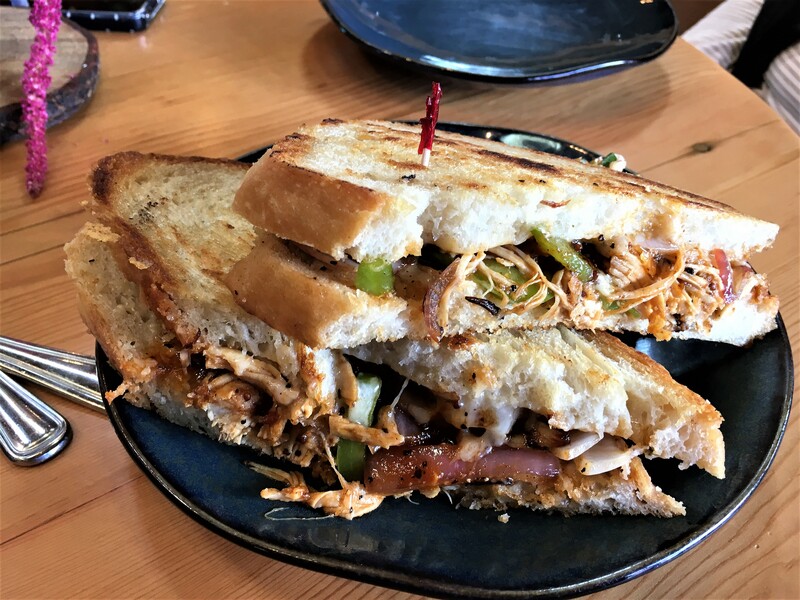 Its website focuses on food, drink, and travel. Based on their mission statement below, it sounds like a good place to work and does publish some good articles online. 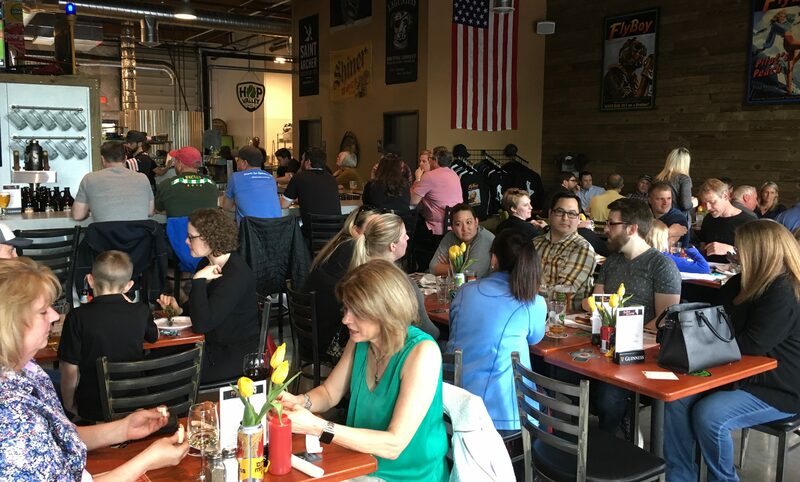 The Thrillist criteria for Portland’s best beer bars are undefined, but the bars include the following: Produce Row, Belmont Station, Beer Mongers, Stammtisch, Prost, LaMoule, Horse Brass Pub, Bailey’s Tap Room, Saraveza and Loyal Legion. 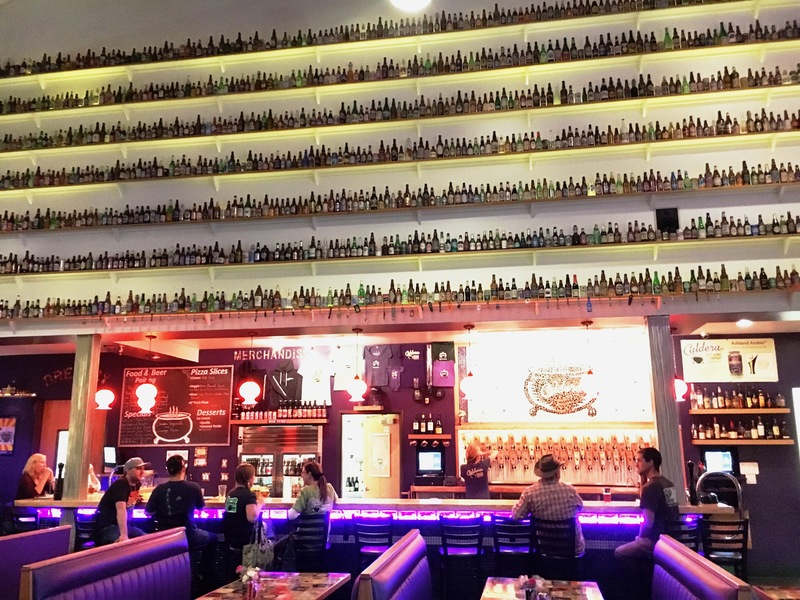 I am pleased to report that Thebeerchaser has visited and done reviews of eight or 80% of these bars during my five years of blogging and they are all worth a visit. l’ll plan to add the two not reviewed (LaMoule and Loyal Legion) , in 2017, and offer these comments on the others. 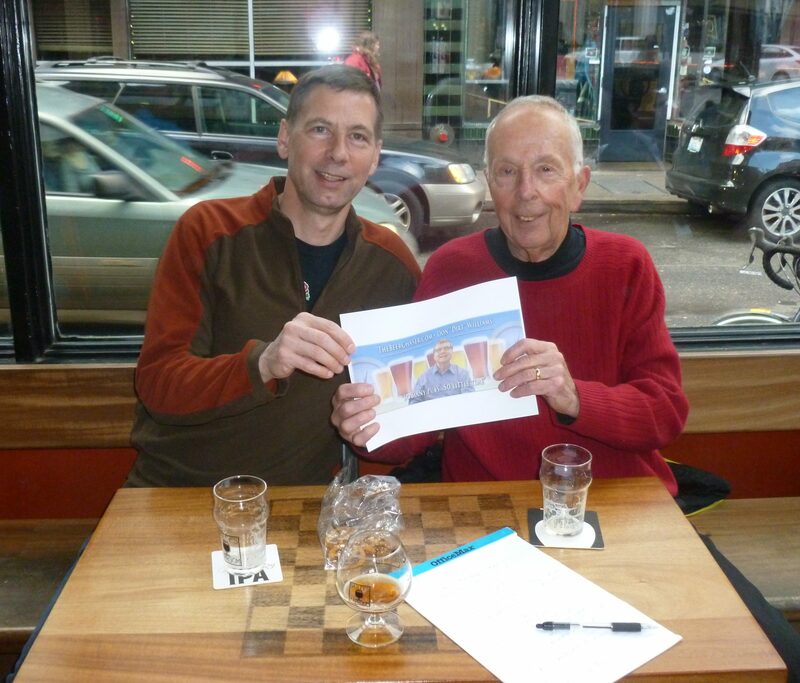 Charlie and Jack Faust with Thebeerchaser logo at Baileys Tap room sans food…..! 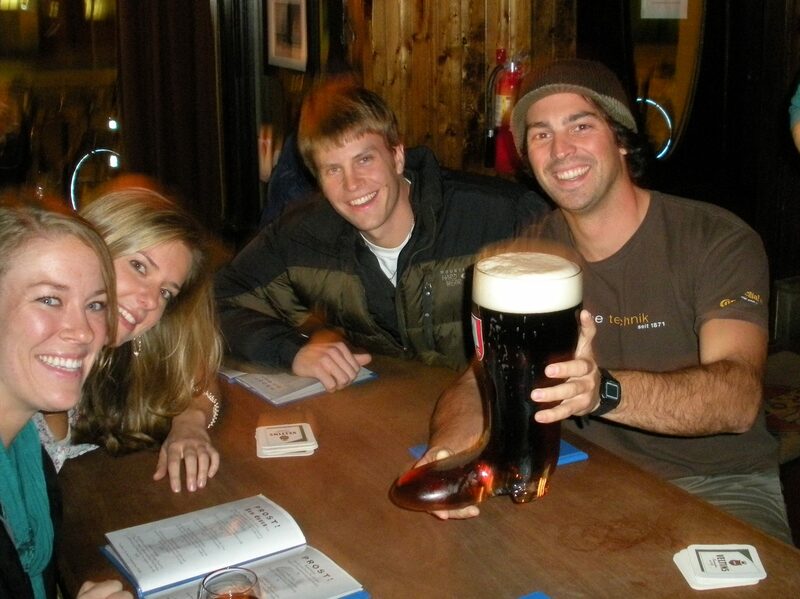 Drinking from “The Boot” at Prost. 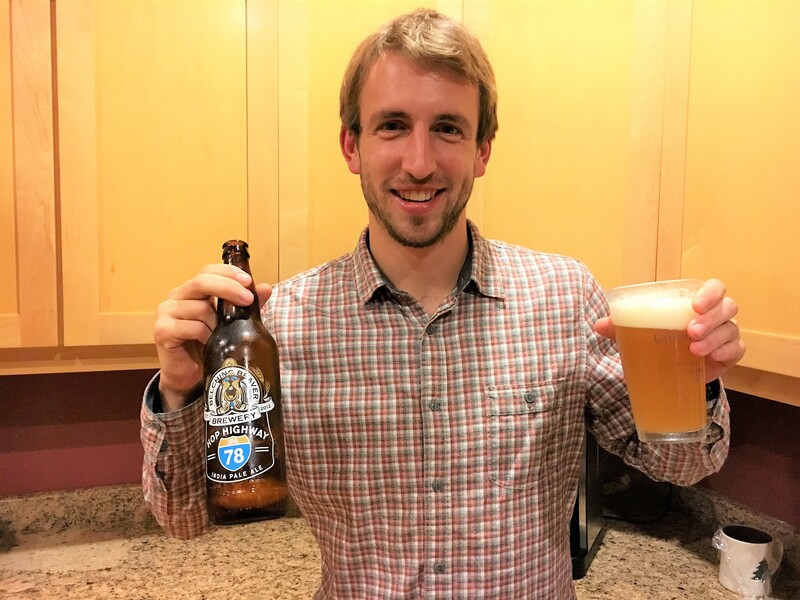 My new son-in-law (as of September 17, 2016), Ryan Keene had the foresight and good taste to introduce me to a great new beer from what any Oregon State University grad would consider a good brewery to wit: Belching Beaver in Vista, California, a new brewery as of last summer. 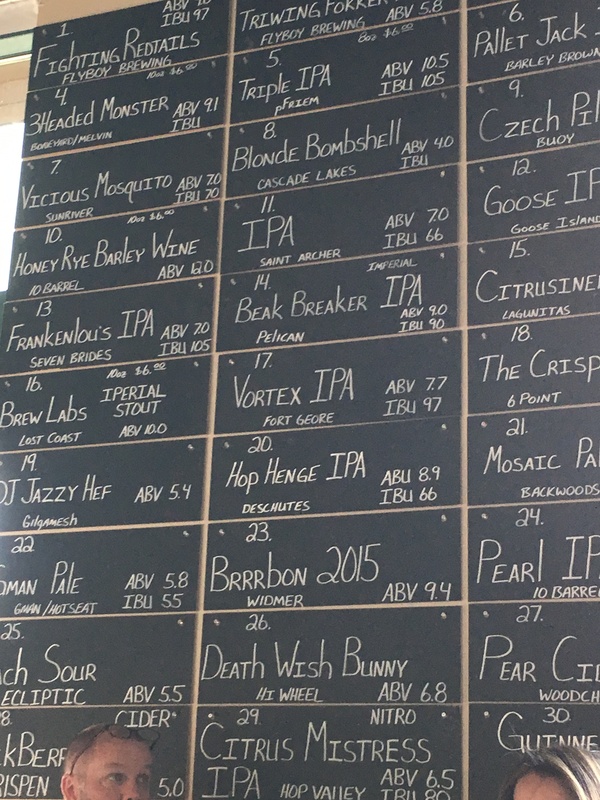 And their Hop Highway 78 IPA was very good with a nice taste of citrus and grapefruit in the background. 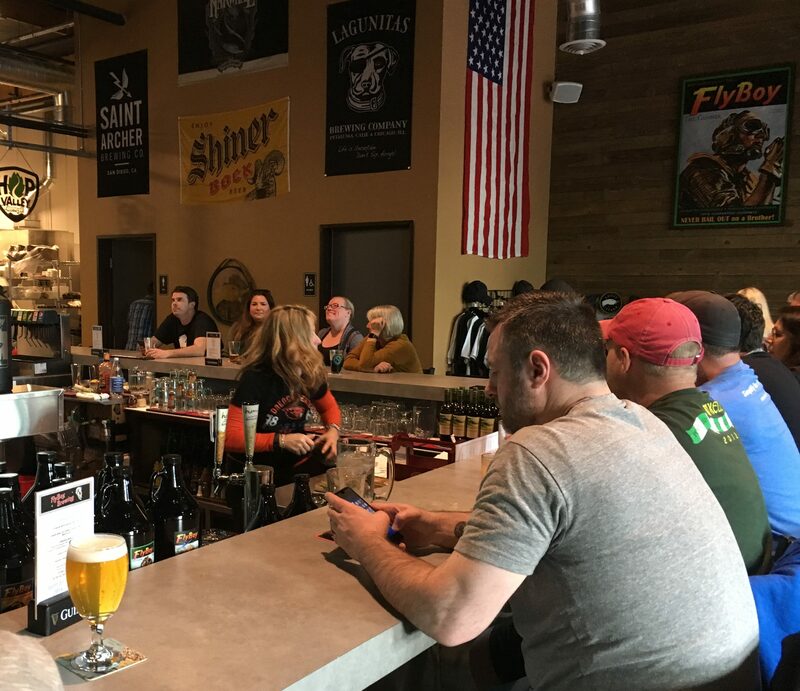 Those who follow news of breweries will have followed the tortured path of the proposed merger between Anheuser Busch in Bev and SAB Miller over the last year. 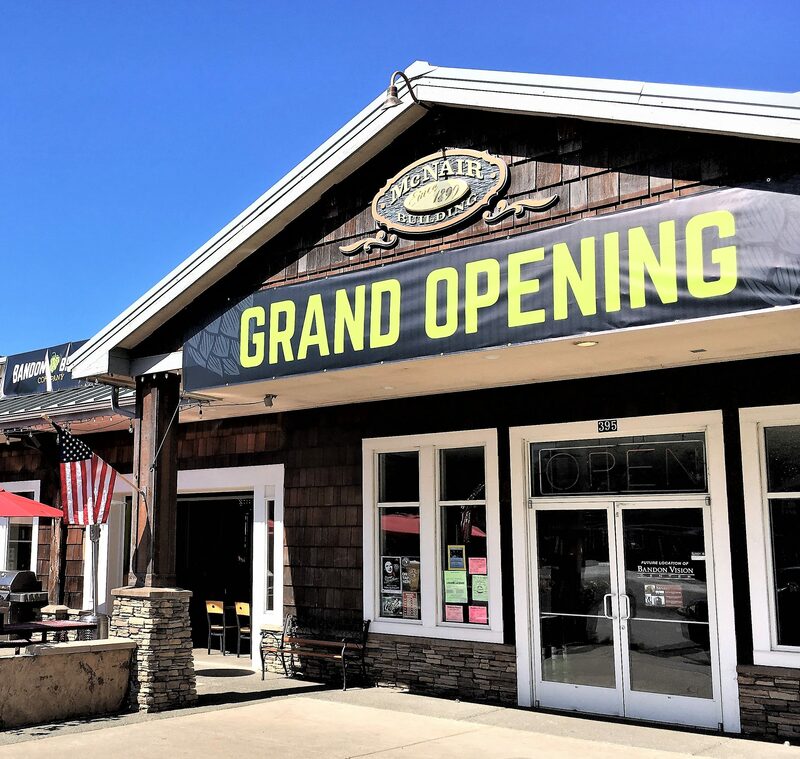 One that has a $100 billion price tag and that has seen multiple on-again/off-again stages before shareholders of both overwhelmingly approved the acquisition. 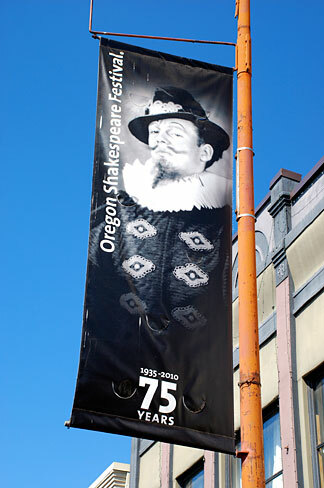 Having worked in a large law firm for twenty-five years and previously at the Oregon State Bar for another seven, I have always appreciated the humor of lawyers and the interesting, if not bizarre, cases that arise as they represent clients. One good source is the American Bar Association Law Journal, which I still receive on-line weekly for entertainment value. Look at some of the cases that have been highlighted in past years. Of course, sometimes the comments by the lawyer readers are almost as good as the stories themselves. 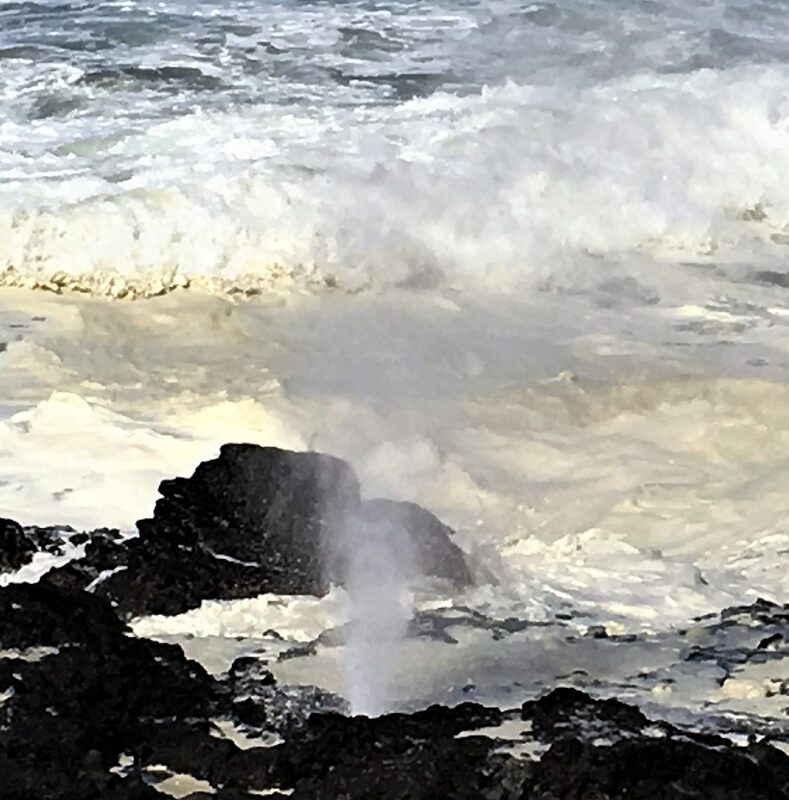 And after reading a 12/29/16 story in The Oregonian entitled, “Man in Wheelchair gets DUII Thrown Out,” I am confident this story from Lincoln City, Oregon will make the cut in the future. 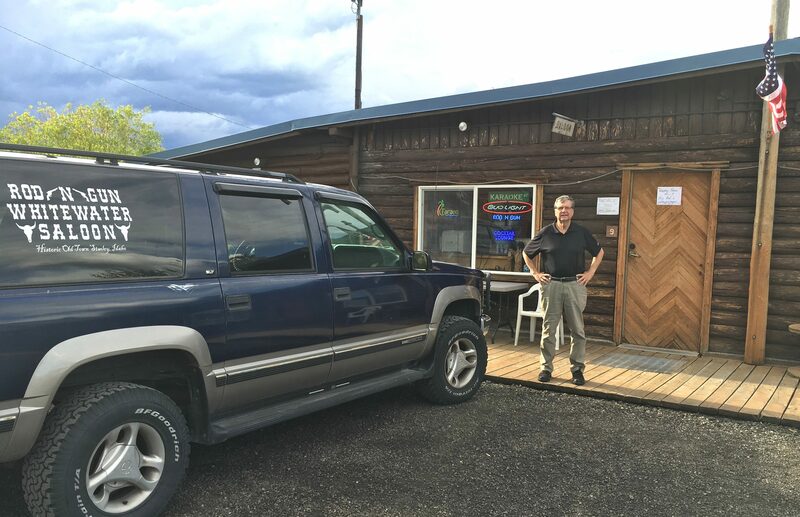 After a jury found him guilty in a 2013 trial, the Oregon Court of Appeals recently determined that appellant was a pedestrian and did not fit the definition of a vehicle. The defendant was in a crosswalk at the time and “drove” into a moving pick-up truck. 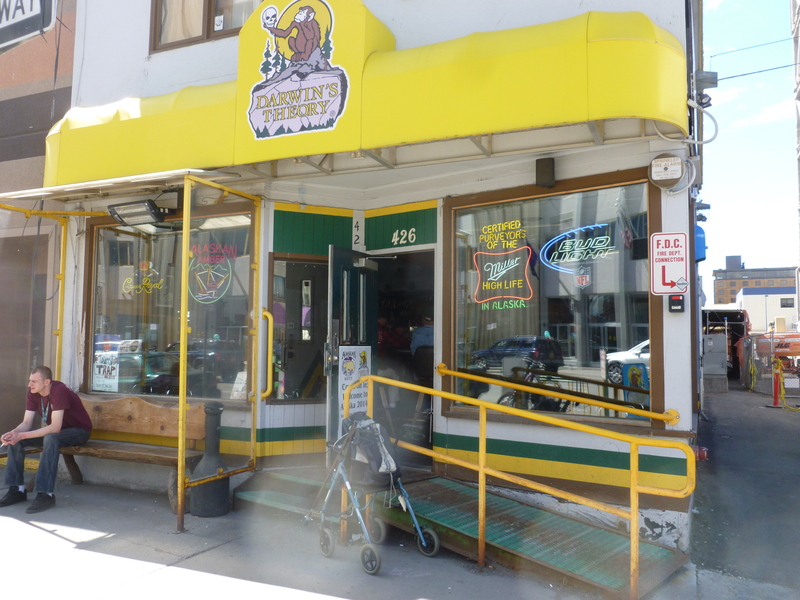 There is no Oregon case law on the same fact situation where the wheelchair is on a public road or parking lot. I was pleased to see that two other friends are also members of the five inducted in the 2016 class. 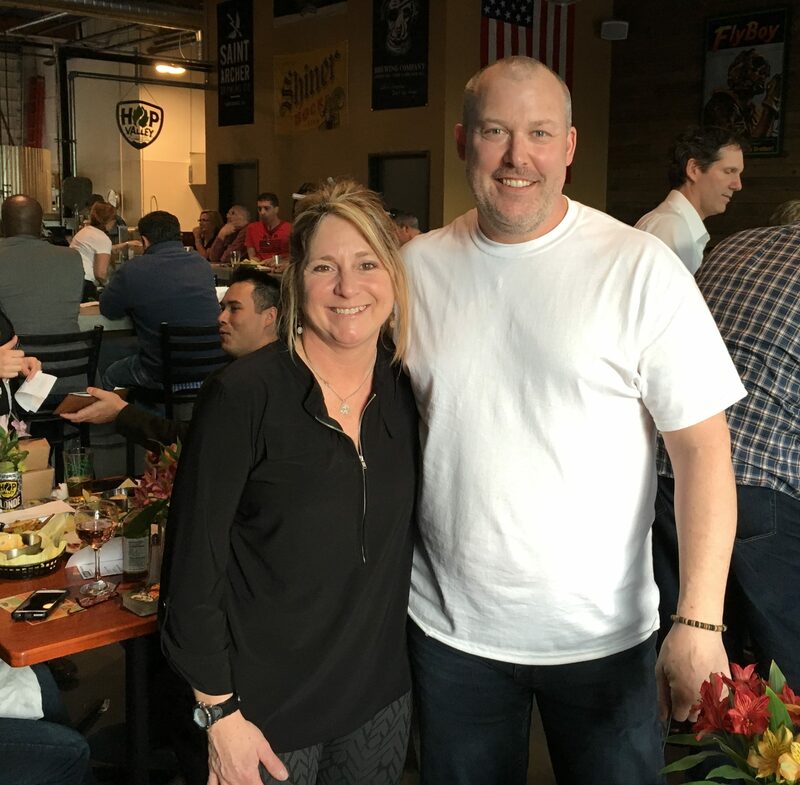 Greg Strobel, is an SAE fraternity brother at Oregon State and part of the elite group of wrestlers in the SAE House while I was there – Len Kaufman, Jess Lewis, Ron Iwasaki, Jim Blackford, Steve Woods, Loren (Bear Pit) Johnson and others. Strobel was a three-time college All-American and an NCAA 190-pound national champion twice. 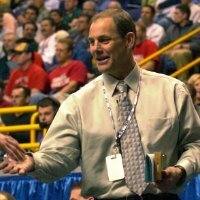 He became the head wrestling coach at Lehigh University and was also inducted into the National Wrestling Hall of Fame in 2012 and the Oregon State Sports Hall of Fame in 1993. Brad was inducted into the Women’s Basketball Hall of Fame in 2015 and his other honors are too numerous to list. 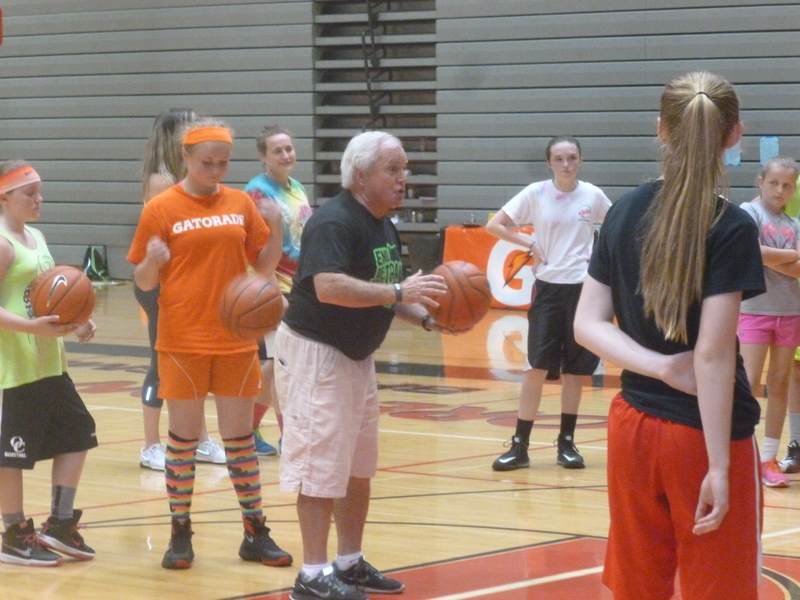 Although he retired from coaching in 2006, his basketball camps and tournaments are still extremely popular. 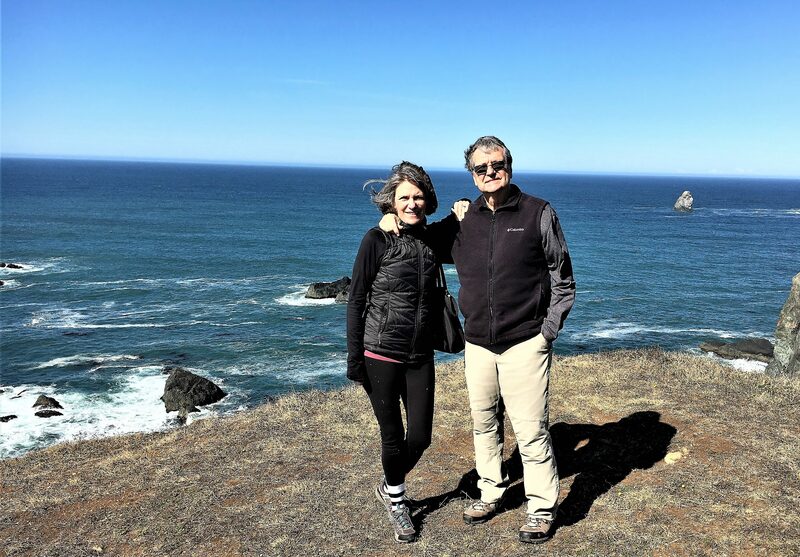 I toured the Oregon City High School campus in August in preparation for my 50-year class reunion this fall and Principal Tom Lovell, took me into the gym where Brad was in the midst of one of his semi-daily sessions, where this picture was taken. We chatted and I kiddingly asked him if his first-step to the bucket was still as quick as in the ’60’s he was a very good point guard at OCHS. 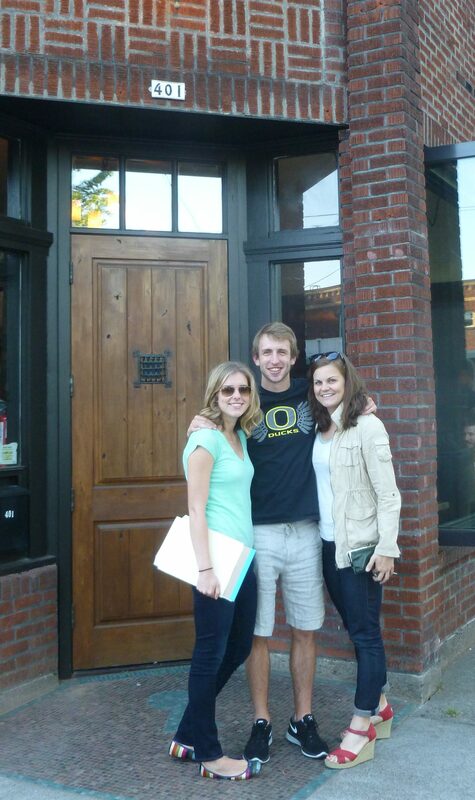 Both Greg and Brad, besides making immense contributions to Oregon and national athletics, are great human beings. 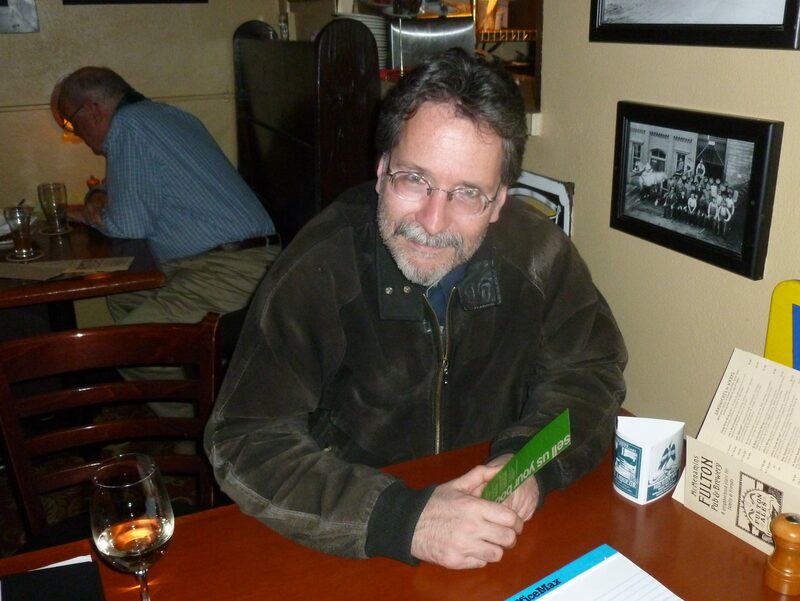 Former Beerchaser-of-the-Quarter, noted author and editor of the University of Portland’s award-winning magazine, Brian Doyle, had brain surgery last month and is now recovering at home. 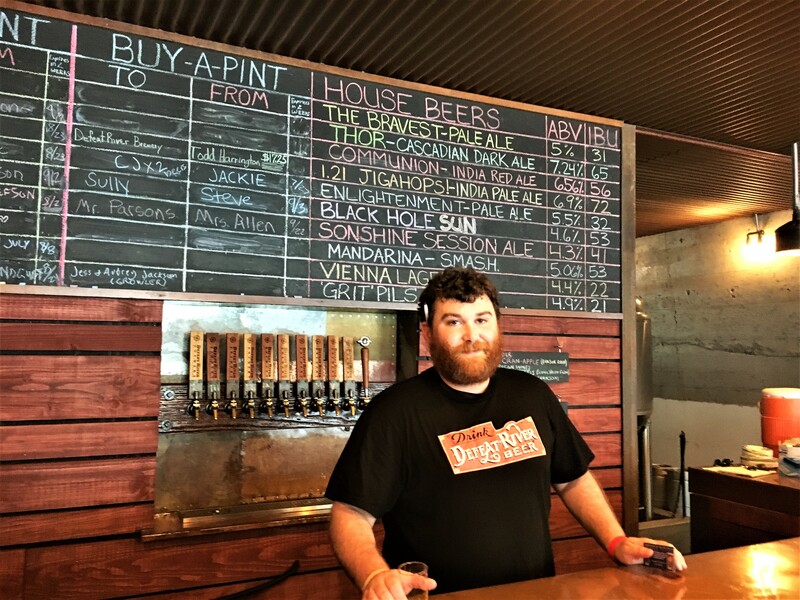 Brian has been on several Beerchasing events and is a wonderful family man with a great sense of humor, unbridled creativity and a strong faith. There is a Go-Fund-Me site which is raising funds for medical expenses and since Brian may not be able to return to work. Our prayers are with Brian, his wife, Mary and his two children. 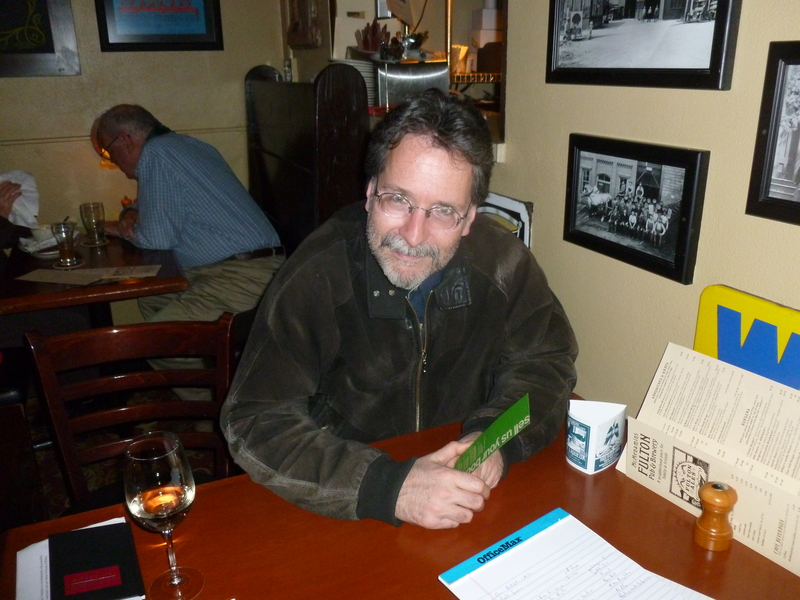 You can see a narrative of his recovery to this point on the Caring Bridge website. 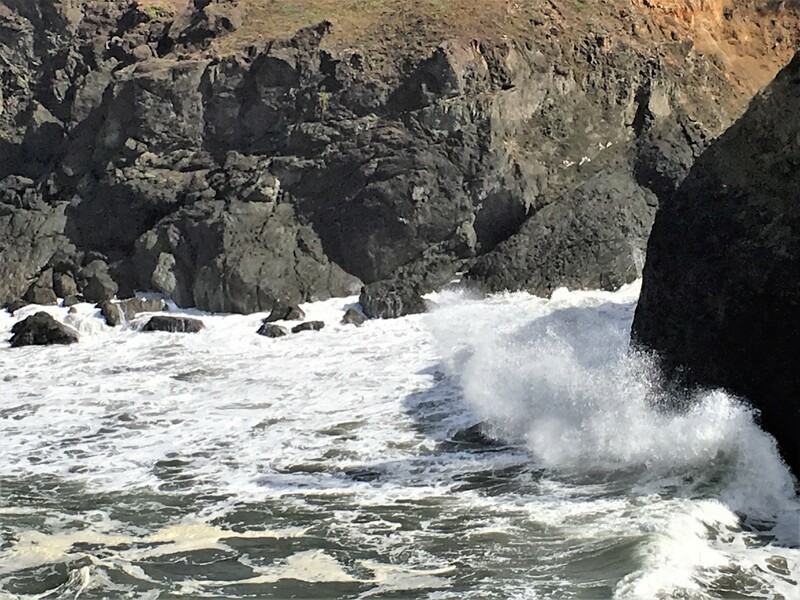 Lumpy’s Landing – Not pretty, but provided an inspiration…. 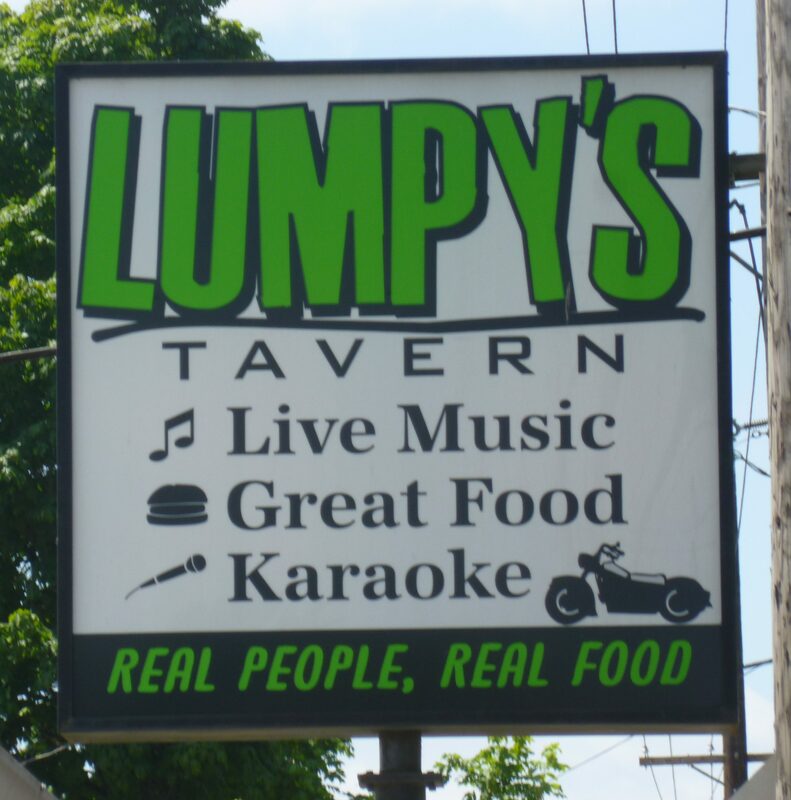 In August, 2011, a few months after retiring from the Schwabe Williamson & Wyatt law firm, where I worked for twenty-five years, I began a hobby which had burbled up through my consciousness a few years before after a visit to Lumpy’s Landing – a great dive bar on Highway 99W in Dundee. 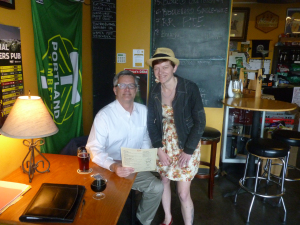 Based on the great results of the first bar visit – the Brooklyn Park Pub in SE Portland and Phoebe, the bartender’s, agreement that the concept was sound, Thebeerchaser’s Tour of Bars, Taverns and Pubs was born. 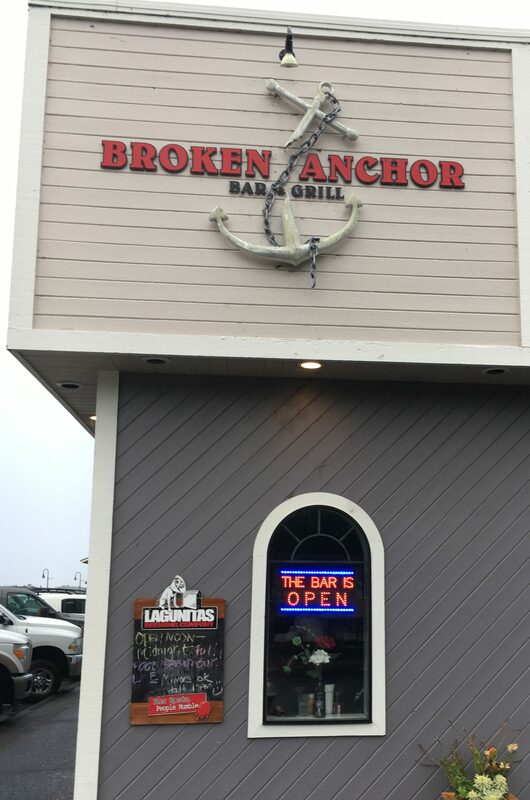 Our retirement travel and visits to many wonderful bars and brewpubs on these trips, made it easy to broaden the boundaries to include establishments outside Portland – a wise decision as exemplified by this picture of one of my favorite dive bars – Darwin’s Theory in Anchorage, Alaska. 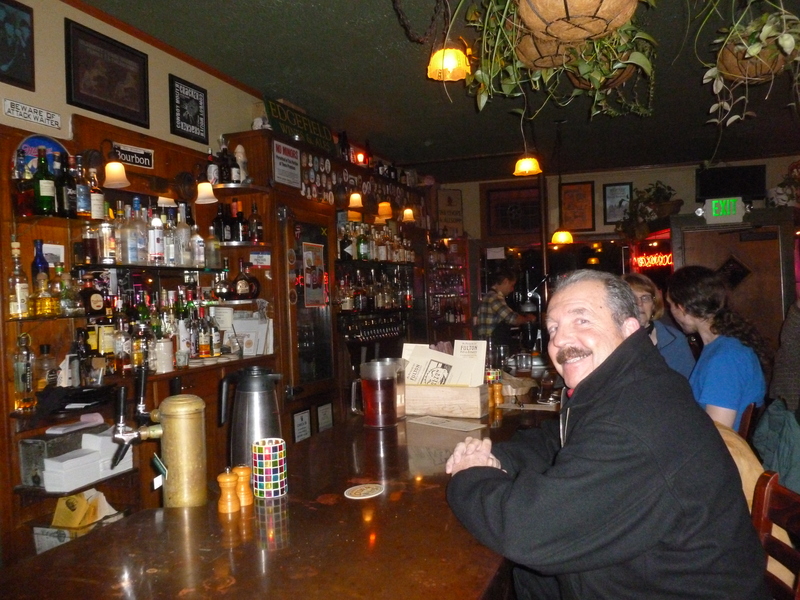 And by the beginning of 2016, I had visited 69 bars, taverns, pubs and breweries in Portland. 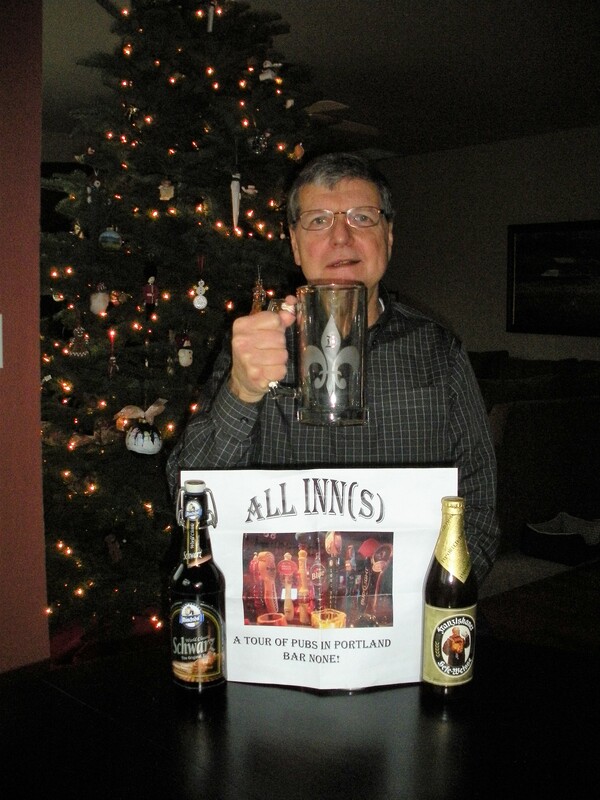 Thanks to a wonderful spouse (Janet) who has developed a fondness for amber ales rather than just wine, by January 2016, Thebeerchaser had hit another 92 in Europe, Alaska, Hawaii, Montana, Colorado, Idaho, the SE US and the Oregon coast and Central Oregon. 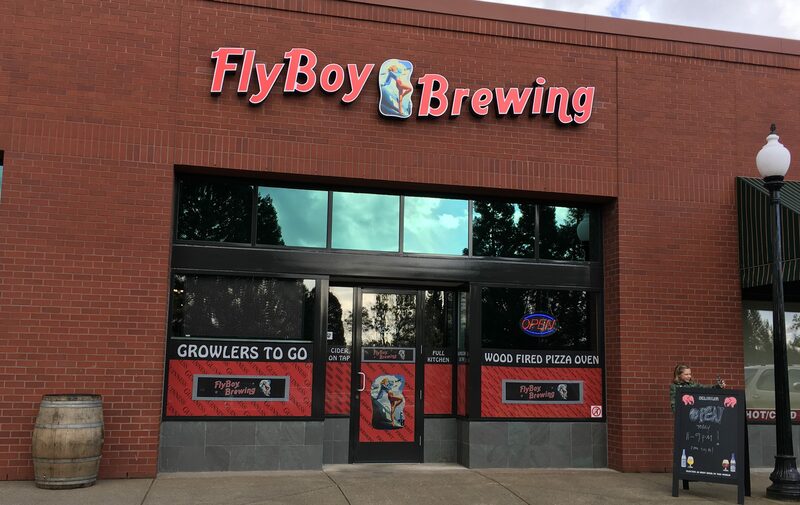 The list of 2016 additions is at the end of this post and you can see a complete list of the bars, pubs, breweries, etc, visited during the five + years of Thebeercaser by clicking on the following links (Portland first and then outside Portland). 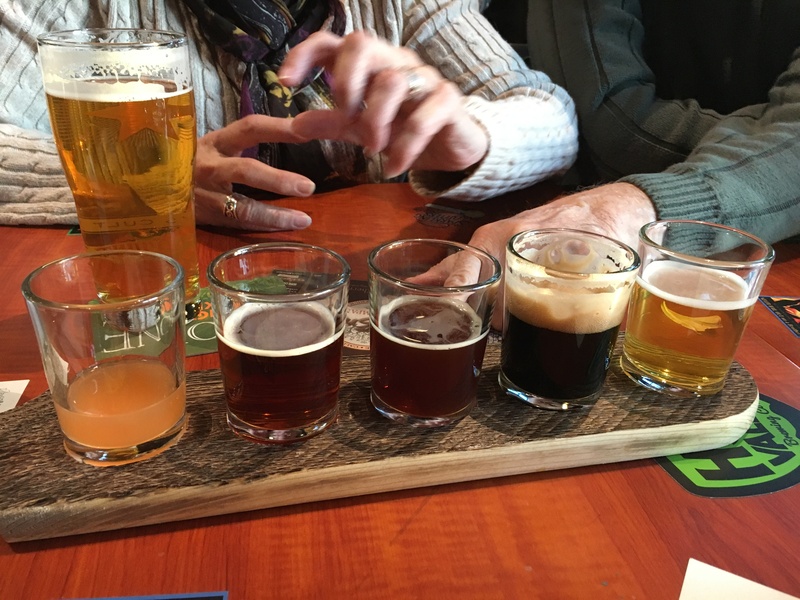 I’m pleased to report that those viewing Thebeerchaser blog have increased each year with the total in 2016 at approximately 21,500 views – that’s by 16,000 visitors compared to not quite 7,000 views in 2012 – the first full year of the blog. 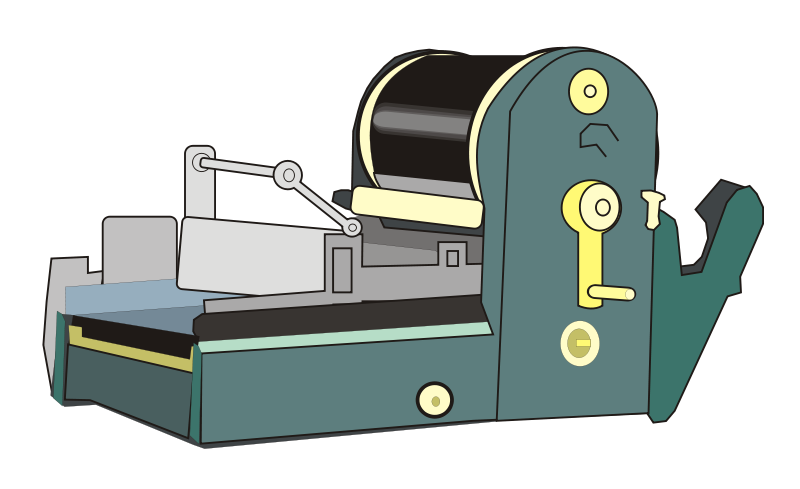 There are now 350 “followers” – those who receive an e-mail, each time I publish a new post. 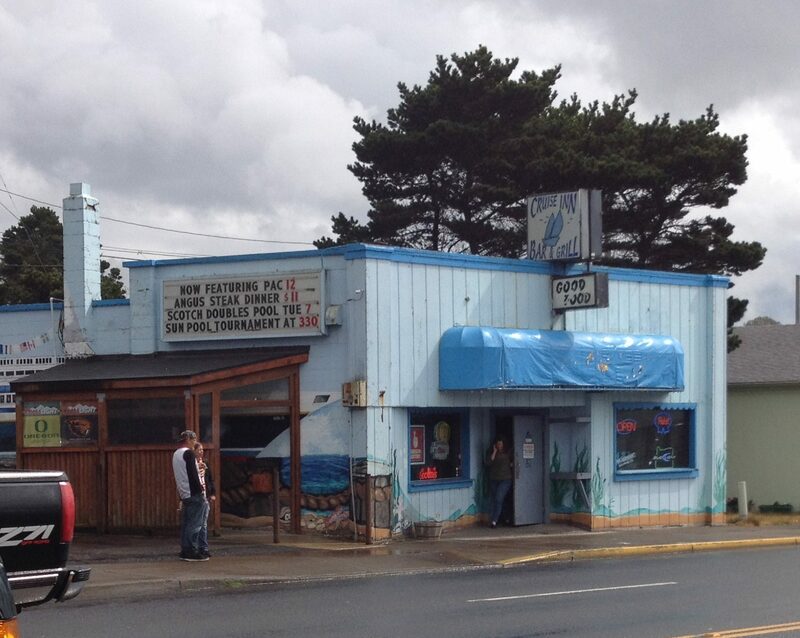 And in 2013 another three and one-half day road trip on the Central Oregon Coast where we graced fifteen bars in Newport, Lincoln City, Pacific City and Depoe Bay – including the Tide Pool Pub in Depoe Bay where we had what is purported to be the best pizza in Oregon while staring at the unique and bizarre Pool of Death. 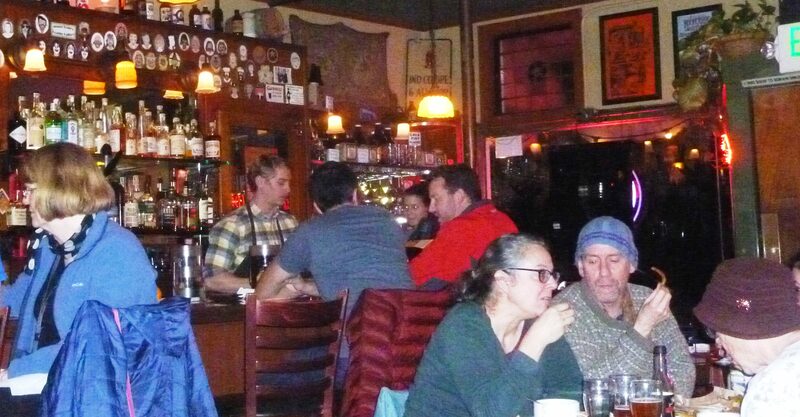 Then there was trying to drink beer in 2011 with a bunch of young revelers (including my daugther, Laura) without sloshing oneself at Prost in North Portland. 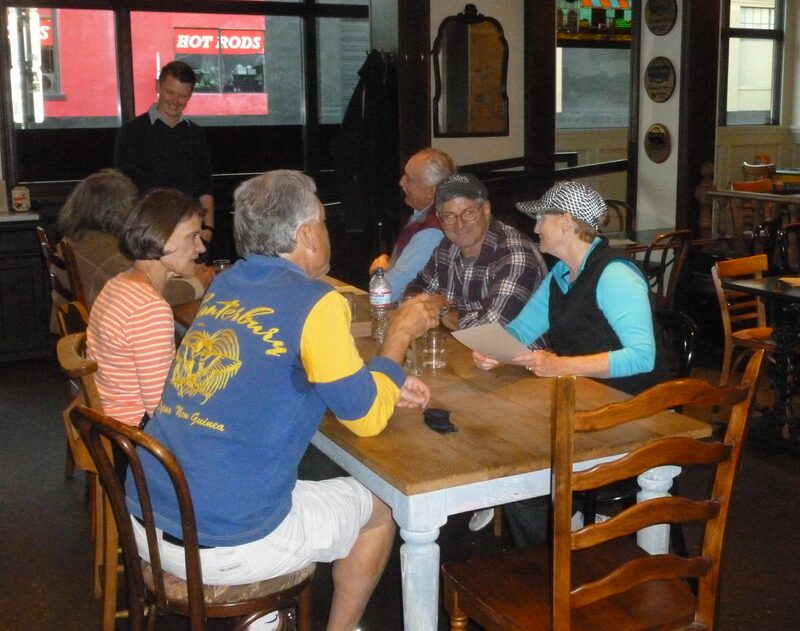 Or hearing on a number of occasions, “war” stories and debate on topics ranging from beer to military intelligence to the case law on the Oregon statute of ultimate repose on dive bar torts from veteran Oregon appellate lawyers, Jack Faust and Jim Westwood. 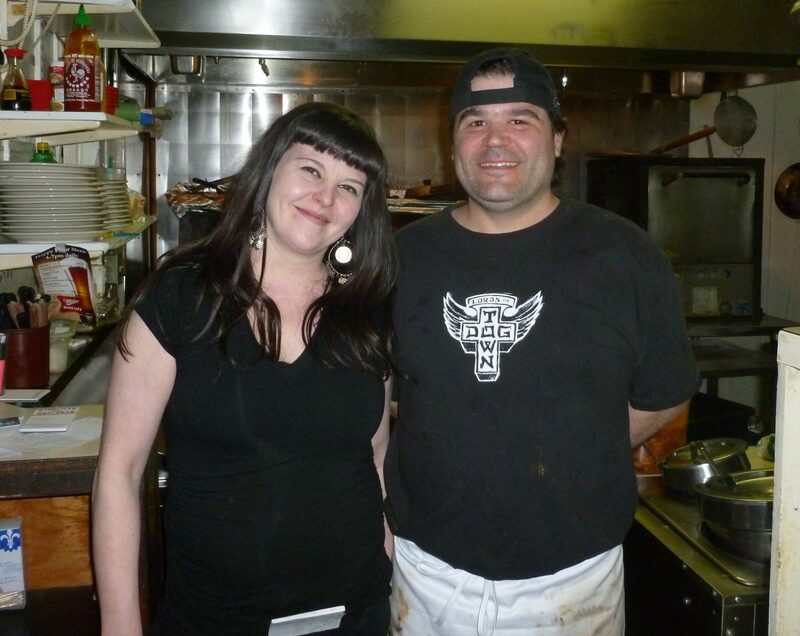 Another highlight was meeting Sam (the manager) and Jimmie (the cook) at Crackerjacks Pub (one of my favorites during the five years) with Beerchasing Regular, West Coast Dave Hicks. 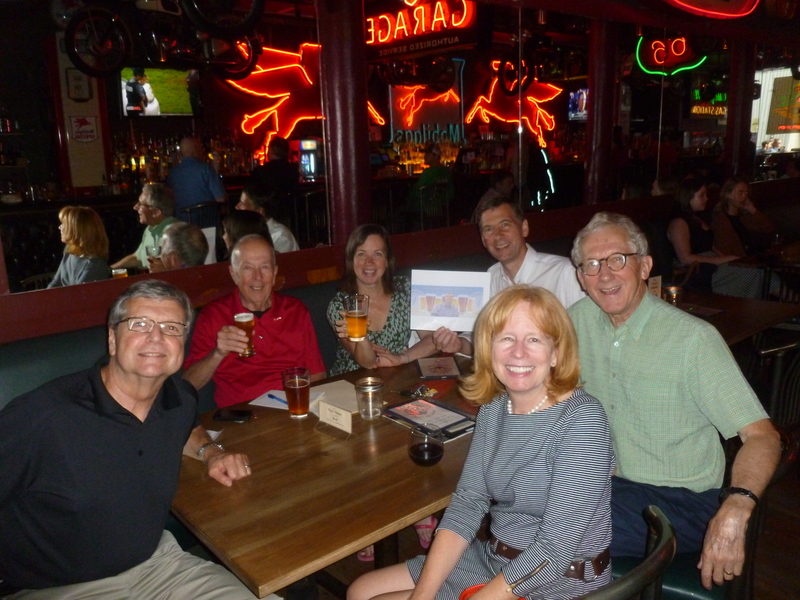 I have treasured the time spent with my Beerchasing companions. 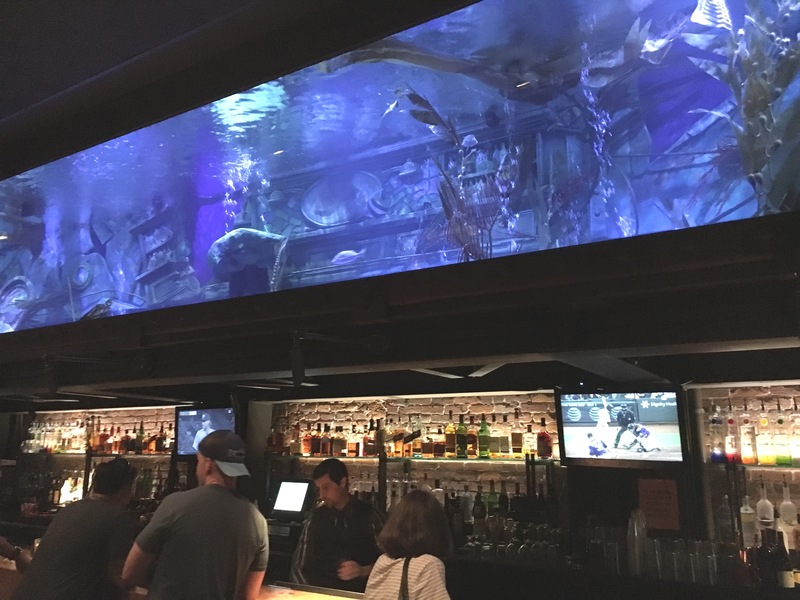 And while I love dive bars, one which belies the category was added even though it is named Dive Bar – right in the heart of Sacramento. 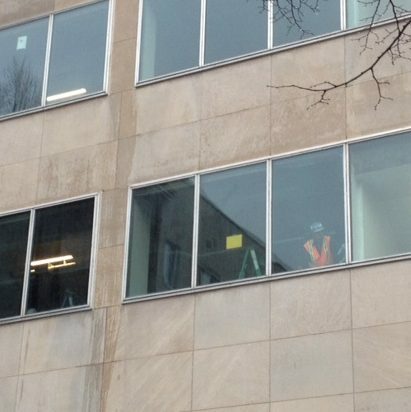 Take a look at the photo and you will see why…. 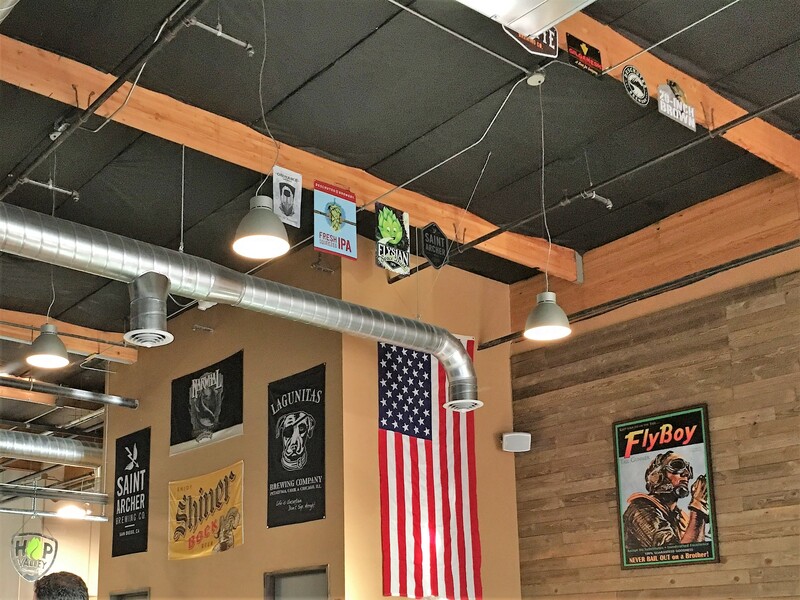 So what new establishments were added to the list in 2016? 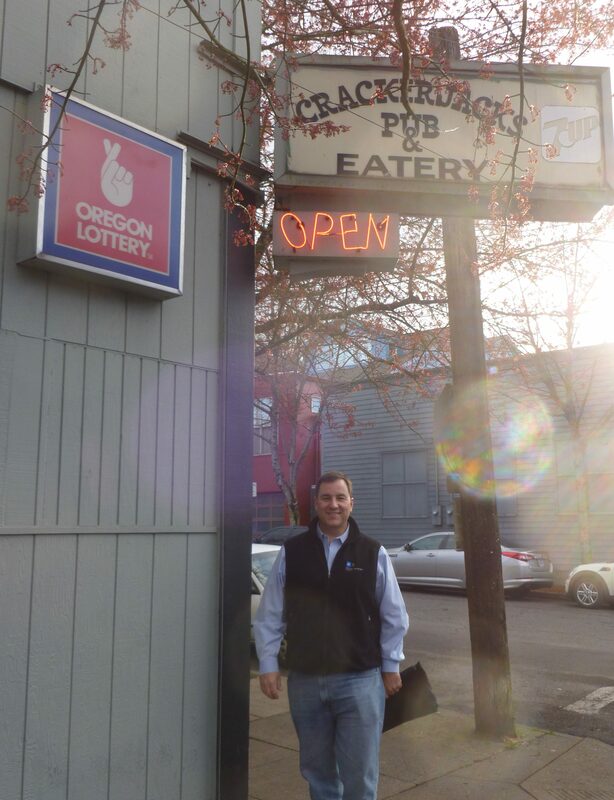 The answer — 37 total, and of that number 14 in Portland and another 23 venues in Idaho, Kauai and California in 2016. 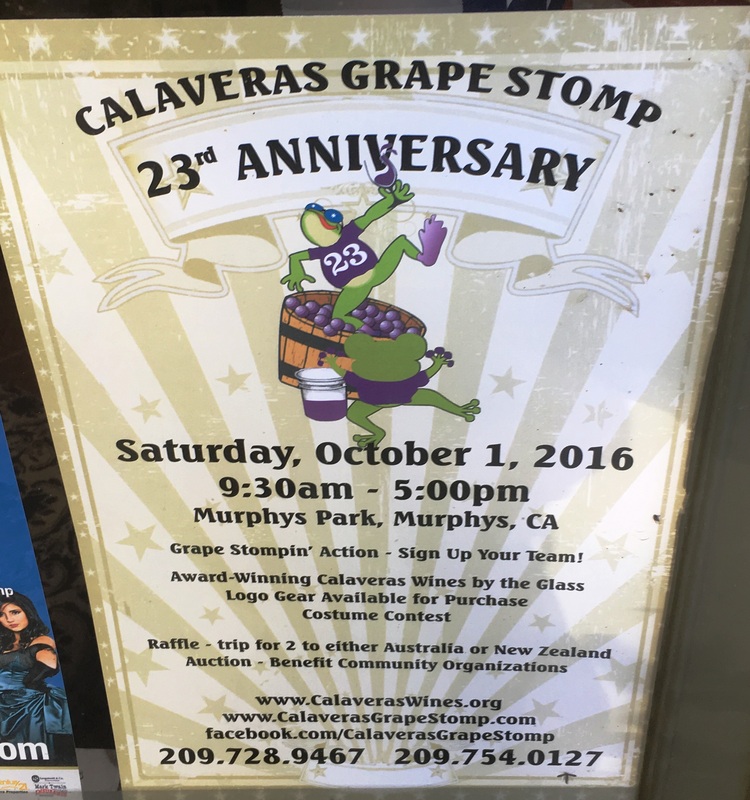 This travel included three bars in Murphys California on the day of the 23rd Annual Calaveras County Grape Stomp. 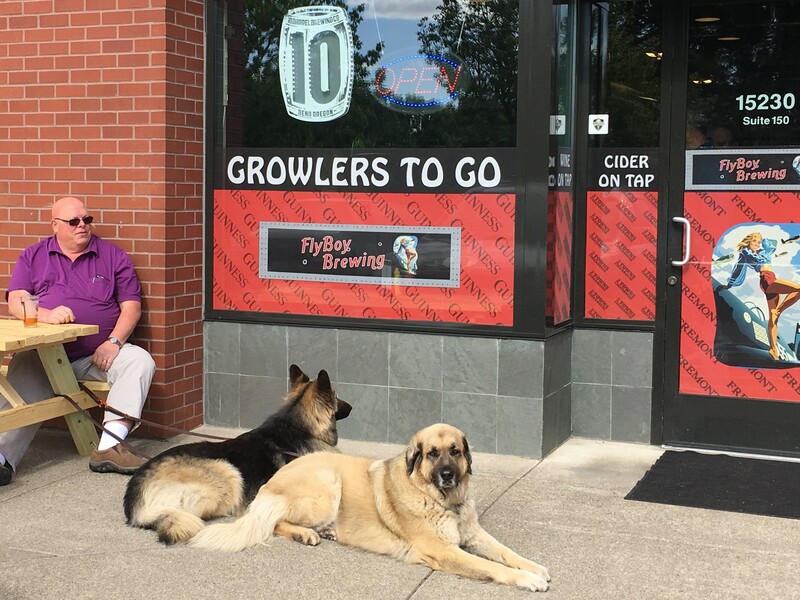 So the cumulative total of watering holes visited at the end of 2016 is 83 Portland establishments and 115 outside the boundaries of the Rose City which includes Europe, various regions of the US and most of Oregon. I have met most of the “honorees”, but not all – for example, the crew of the USS Constitution for their 1798 war cruise and retired chemist Harold Schlumburg. 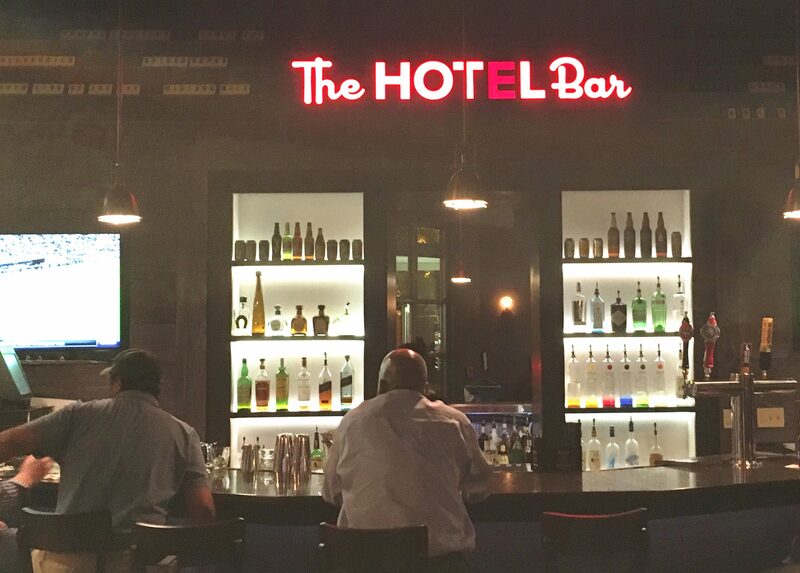 See the list of 2016 venues visited and reviewed below. The month of the blog post is in the second column on the left, which you can access through the “archives feature” on the right side of your screen. 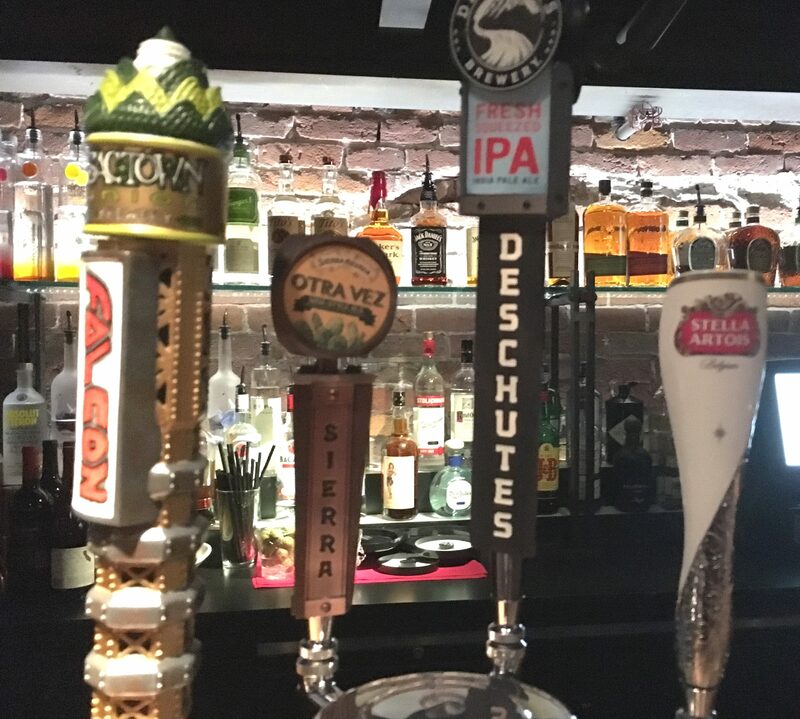 If you have a favorite bar, tavern or pub that has not had the pleasure of a Beerchaser visit, let me know and it will be added to the list for 2017. 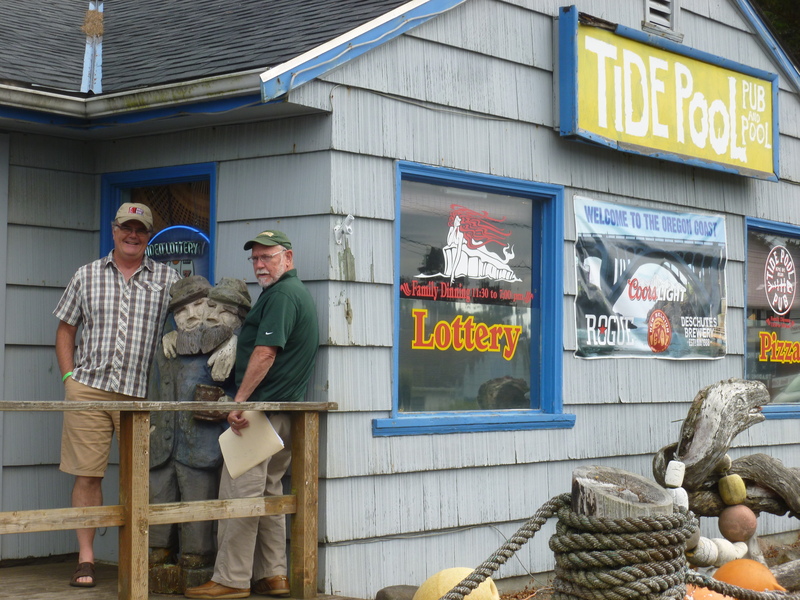 Keep in mind, however, that each review requires a minimum of two visits and sometimes more. I know that I’m retired but………. 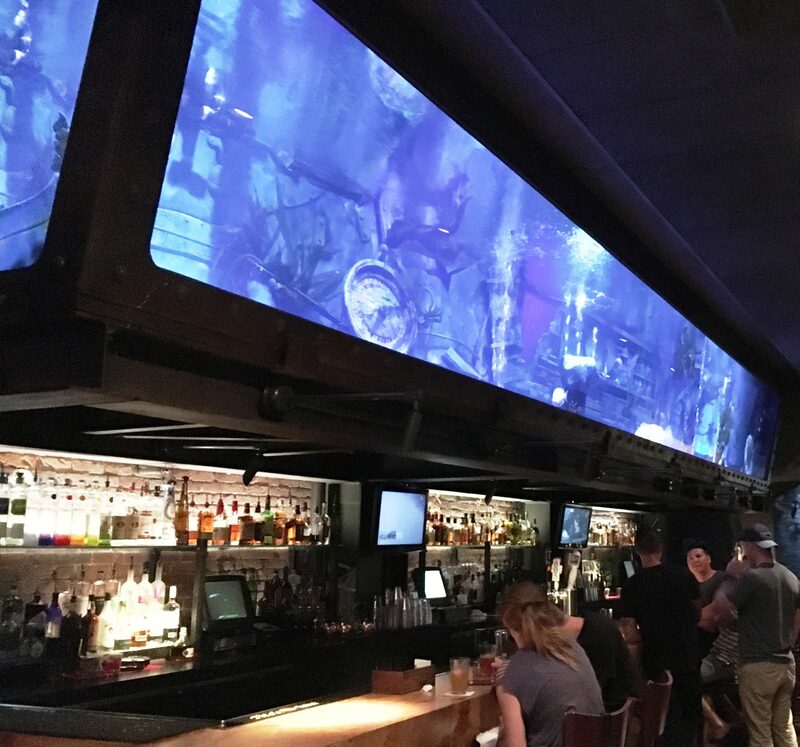 4 2016-3 SW Barlow Artisenal Bar Misc. 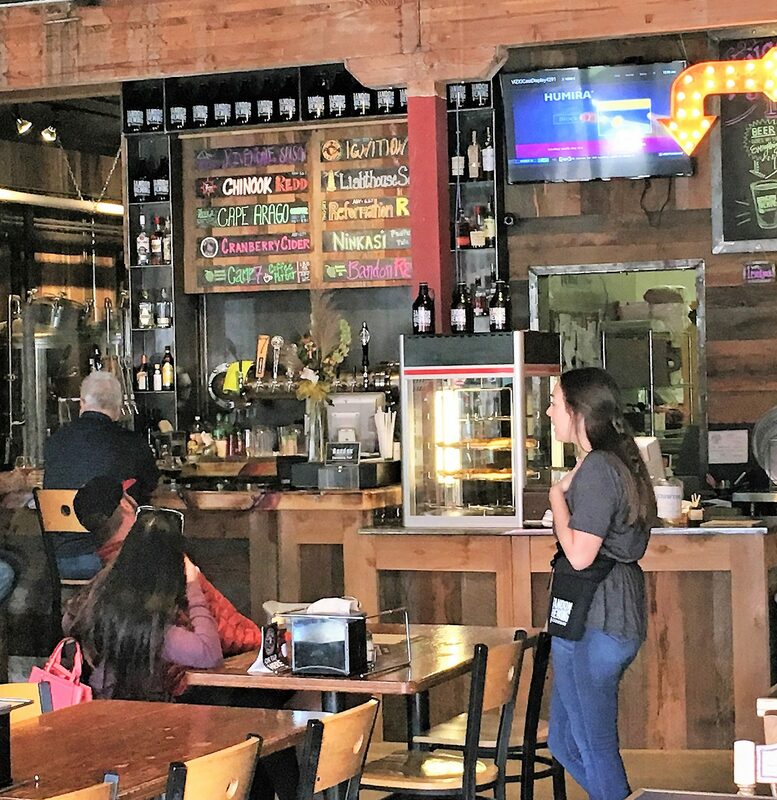 6 2016-4 SW The Yardhouse Misc. 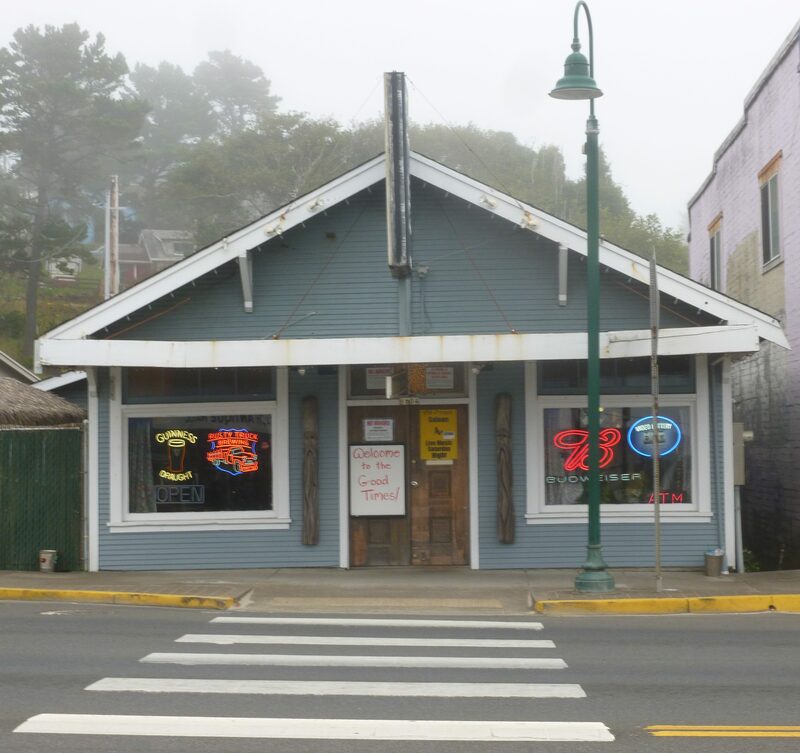 14 2016-12 SW Mummy’s Bar and Restaurant Misc. 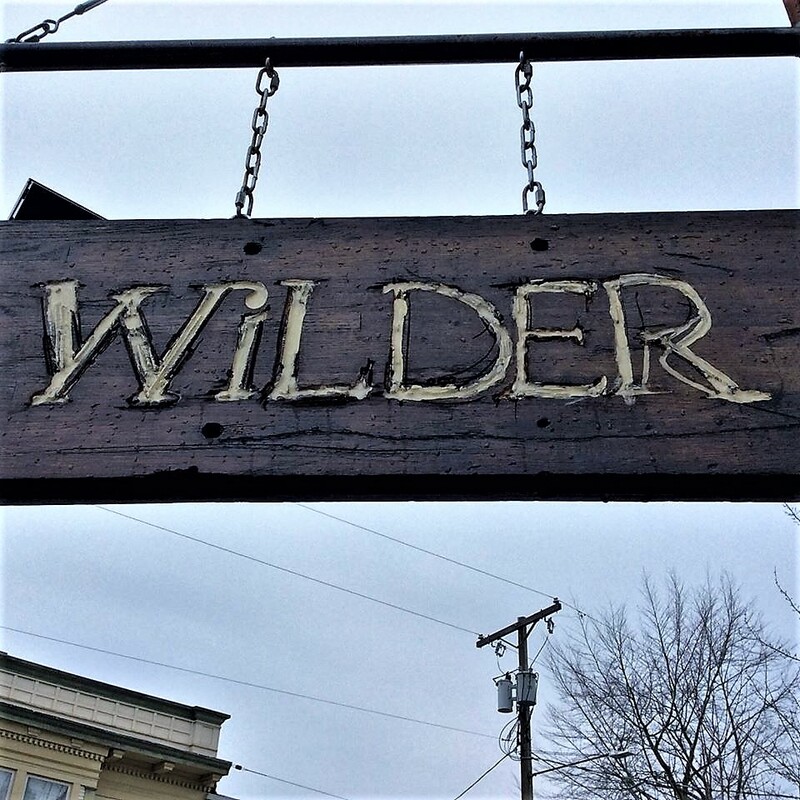 The Stanley Rod and Gun Whitewater Saloon – A Beerchasing Classic! 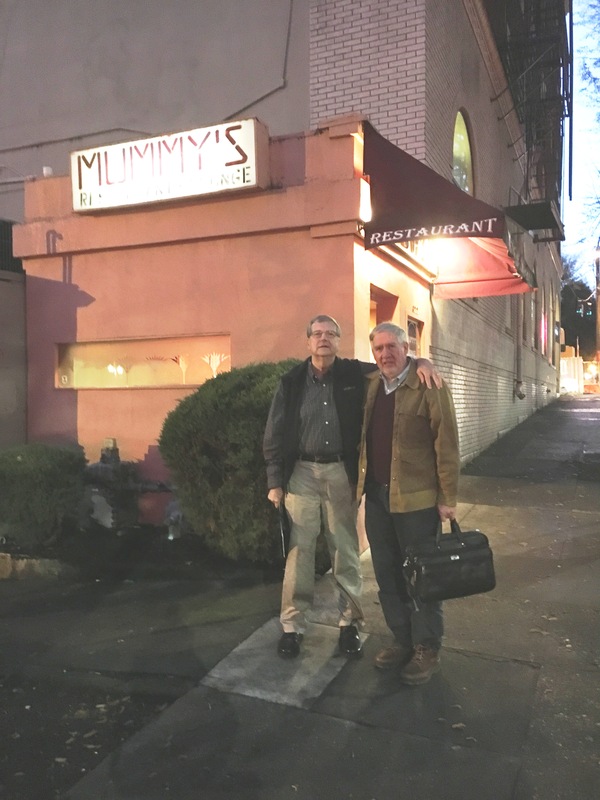 Well Mummy’s has a much lower profile than those above – it’s a subterranean chamber on SW Columbia Street – right across from the now empty high rise that once housed what is now a dying organization – The Oregonian. 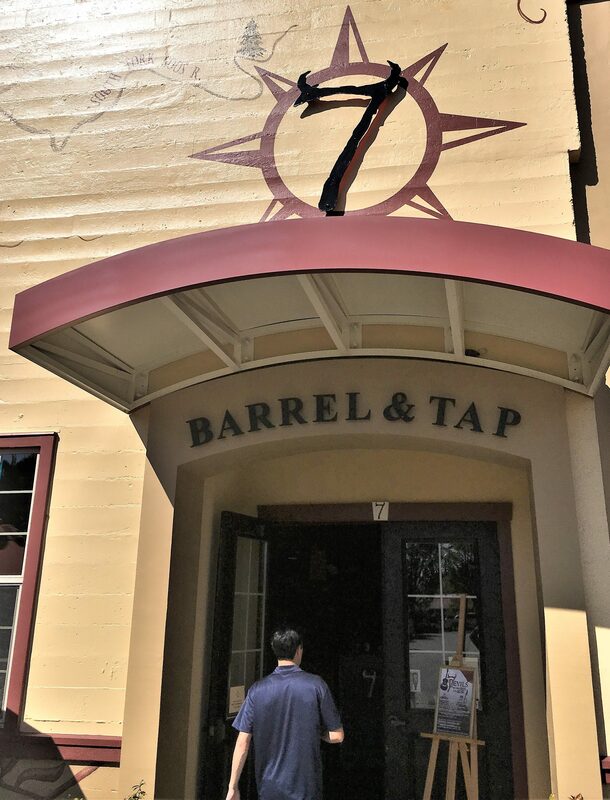 Stay tuned, or better yet, try it and I think you will agree as do my two Beerchasing companions on my last visit to this venerable place that it is a Portland treasure. 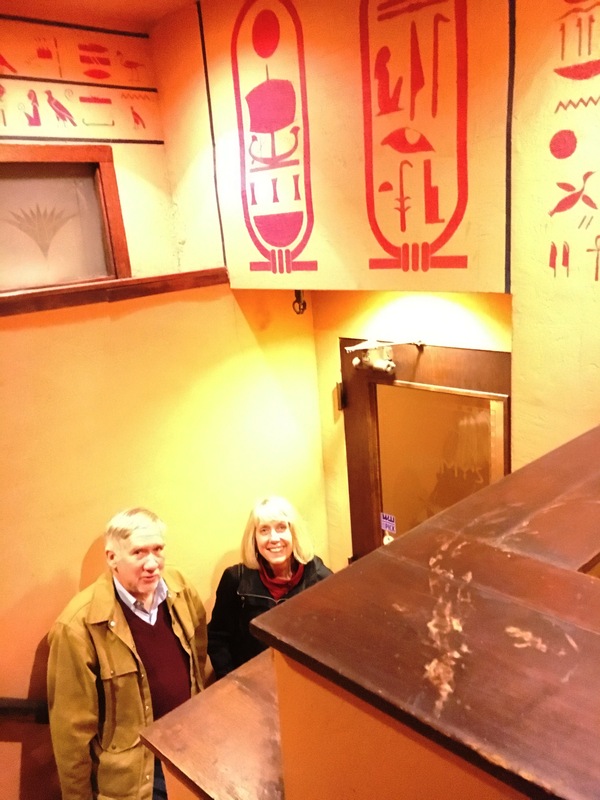 And before telling the Mummy’s story, as per tradition, I will brief you on my colleagues who shared martinis with me while listening to the great music in Mummy’s. 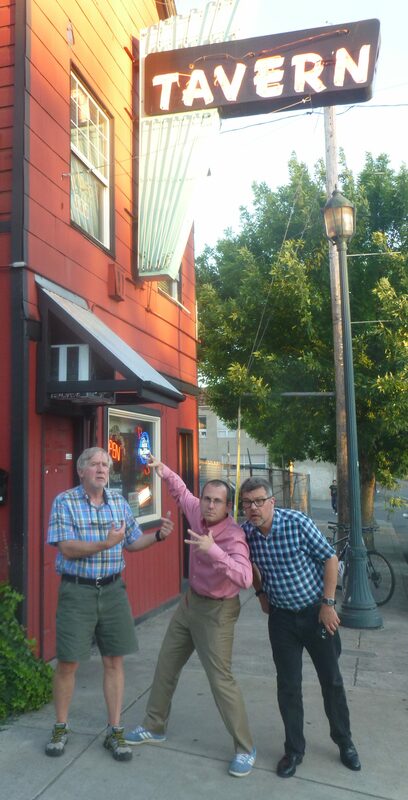 Brian (Brain) King’s (pictured on the left) first Beerchasing expedition – to Billy Ray’s Neighborhood Dive Bar was memorable (as you can see from the picture) and deserved a return invitation. 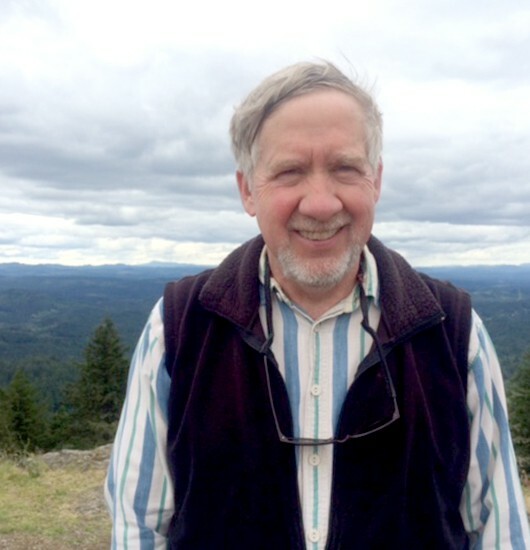 He also is noted (at least by me) for his profound suggestion after he joined the Schwabe Williamson & Wyatt firm as a litigator and skilled environmental lawyer. 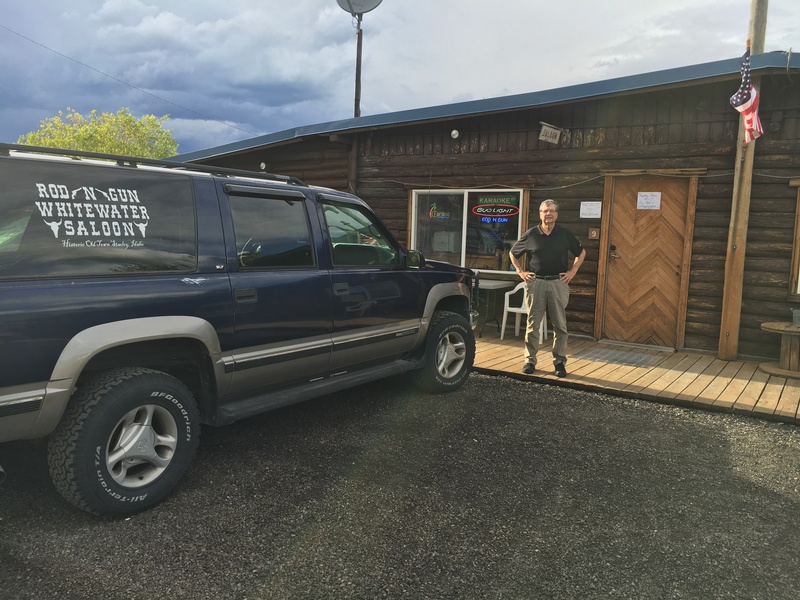 Based on his experience while practicing in Idaho, he insisted on my 2004 sabbatical road trip to Idaho and Montana, that I visit the Stanley Road and Gun Whitewater Saloon in Stanley Idaho. 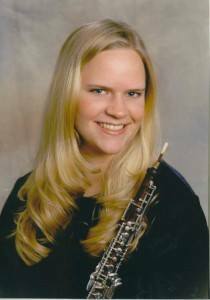 (I returned with my wife this summer so she could gain the experience.) 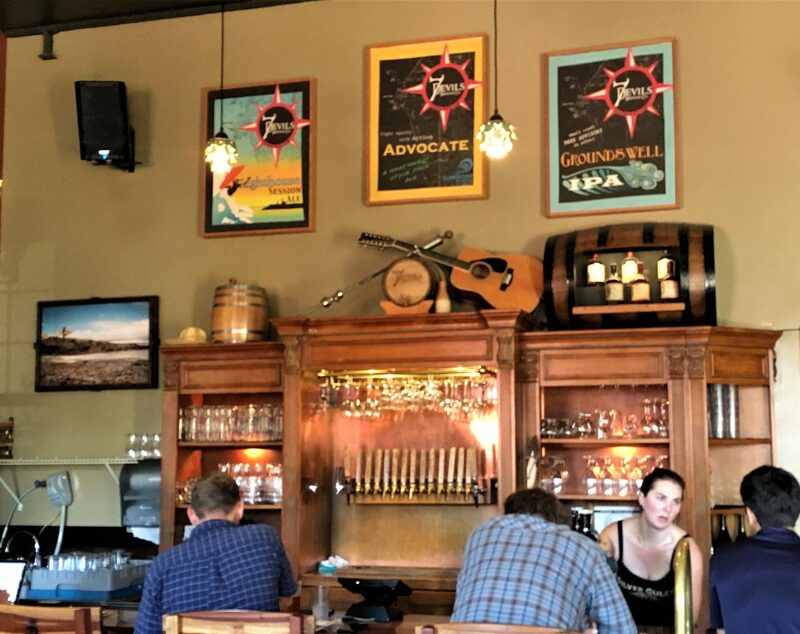 https://thebeerchaser.com/2016/09/08/beerchasing-in-idaho-part-ii-stanley-and-the-sawtooths/ The initial visit was a key factor in ultimately starting this blog. 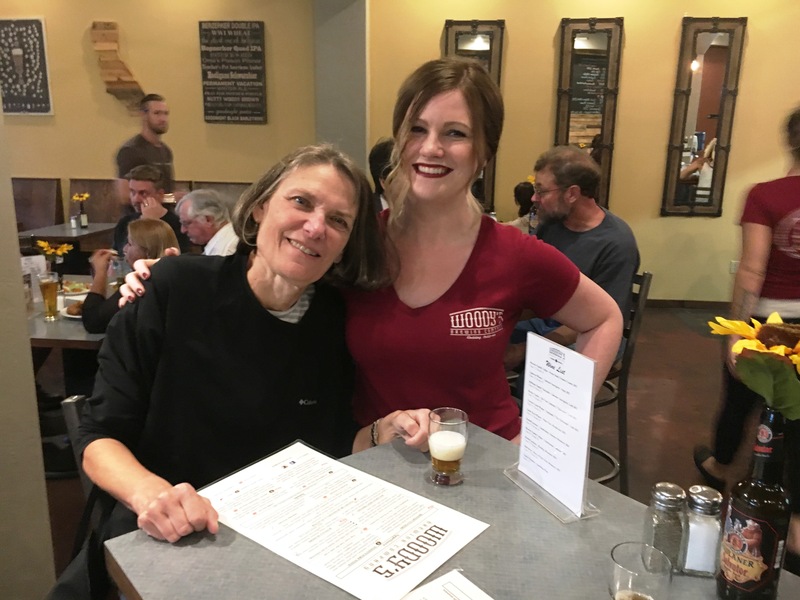 Joining us on her first Beerchasing expedition although not her first visit to imbibe in Mummy’s martinis with me, was another one of my favorite lawyers at Schwabe – Margaret Hoffman. 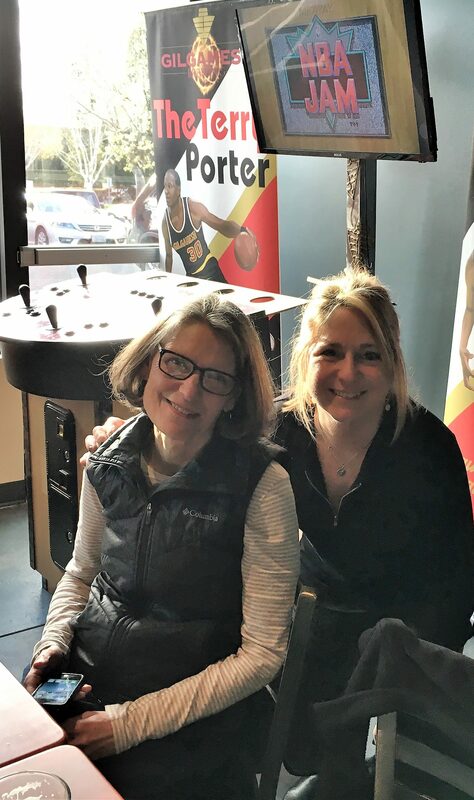 Besides being honored in her profession as a top product liability litigator (Oregon Super Lawyer and named as one of the Best Lawyers in America), Margaret is an outstanding human being. 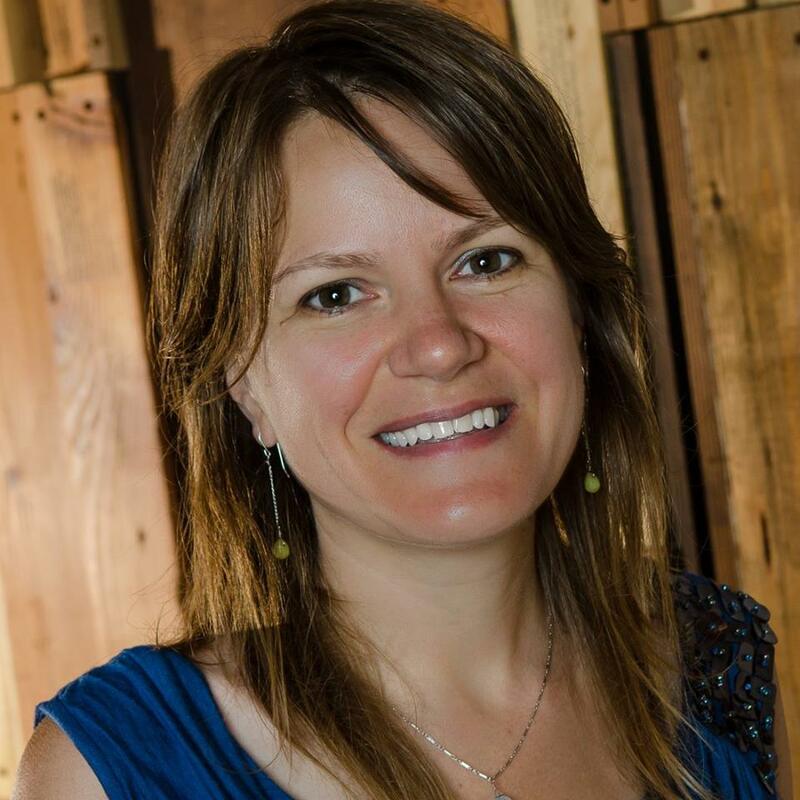 She is also skilled at fly fishing and in her “spare time, ” spends additional court-time playing pickle-ball. 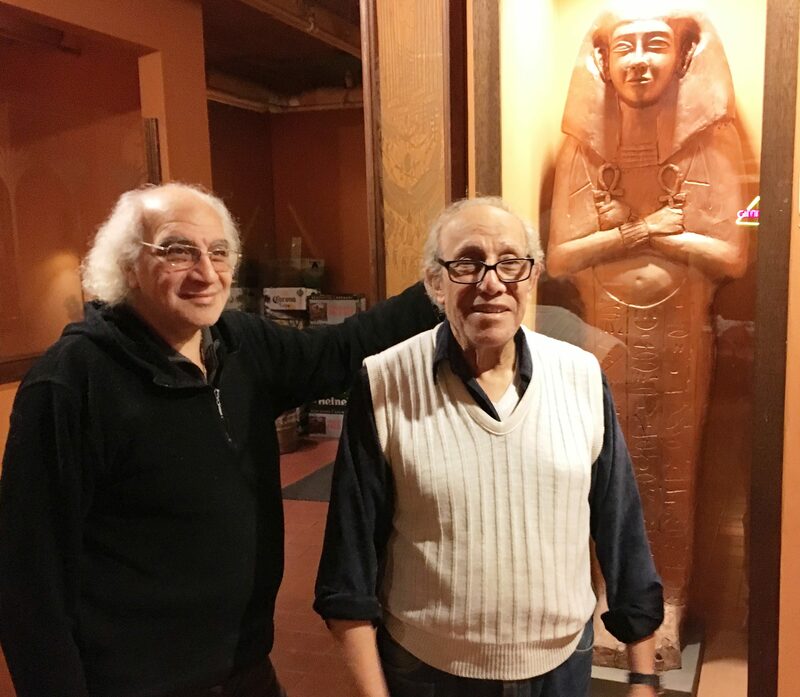 The brothers emigrated from Egypt and originally opened their establishment in NW Portland, but felt they would be more successful in their current location – they moved to it thirty years ago! 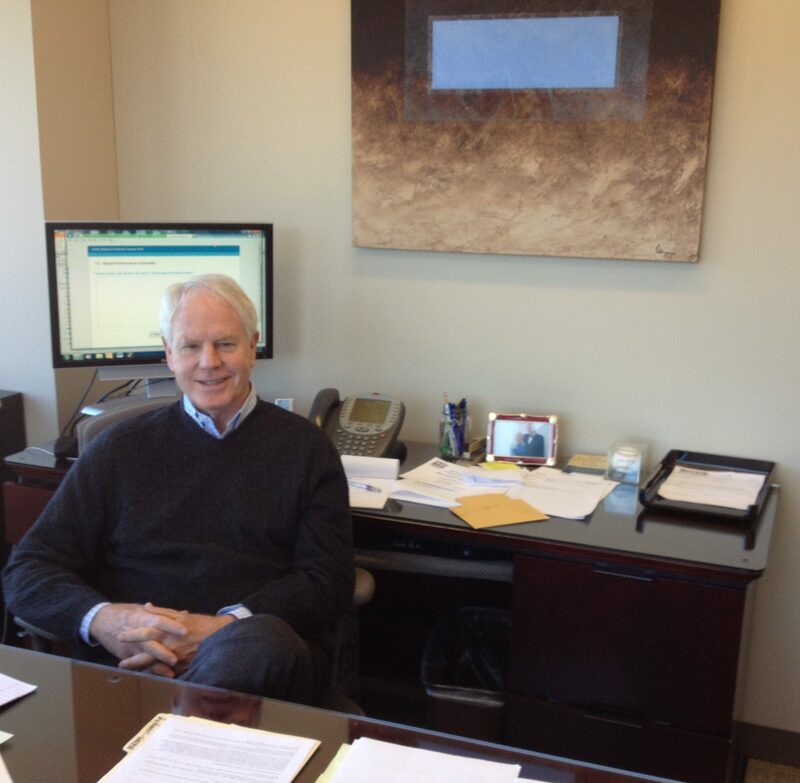 Before retiring in late 2011, I would frequently invite several of the firm’s summer associates to lunch – they were the best and brightest law students from schools all over the country working at Schwabe during the summer in the hope of landing a job when they graduated and passed the Oregon State Bar exam. And the Schwabe managers and my family surprised me after hosting my retirement dinner at nearby Nel Centro, with an after-dinner reception at Mummy’s – it was memorable – in fact, there is a video someplace in the Ethernet of me reluctantly sharing the floor with a belly dancer, who was performing that night. 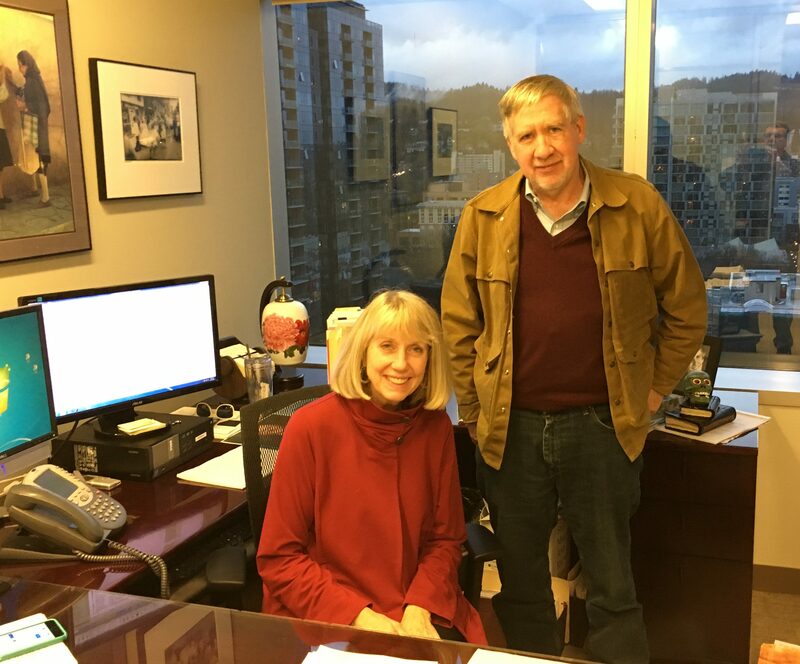 Margaret, Brian and I met at the firm at 5:00 and headed on our two-block journey like a reverse exodus of the Children of Israel. 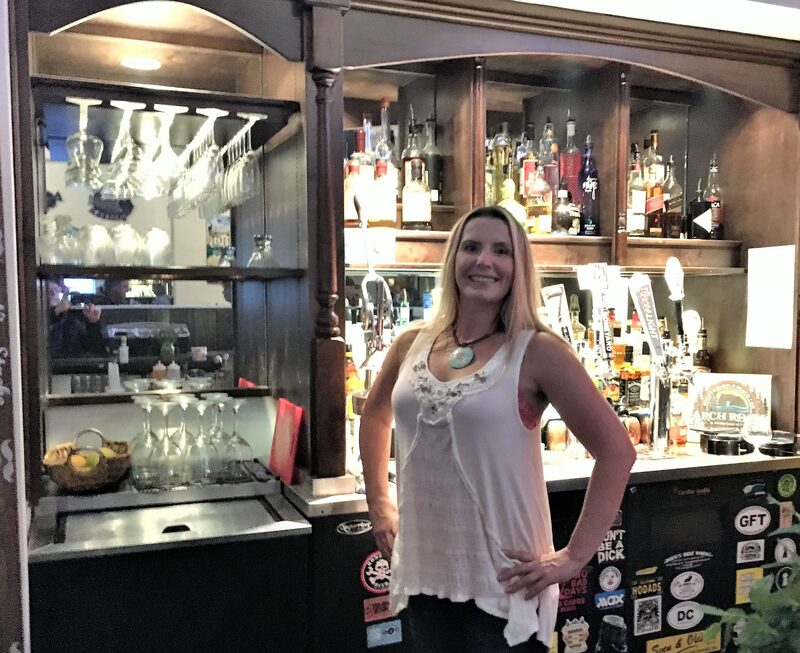 Even though it had been five years since I had been to their establishment, when I walked in, Ghobvial immediately exclaimed, “Schwabe!” and pointed towards what had been my favorite booth. Ghobvial and Phillip kindly acceded to my request for photographs and the former mixed two excellent gin martinis and a vodka martini for Margaret. 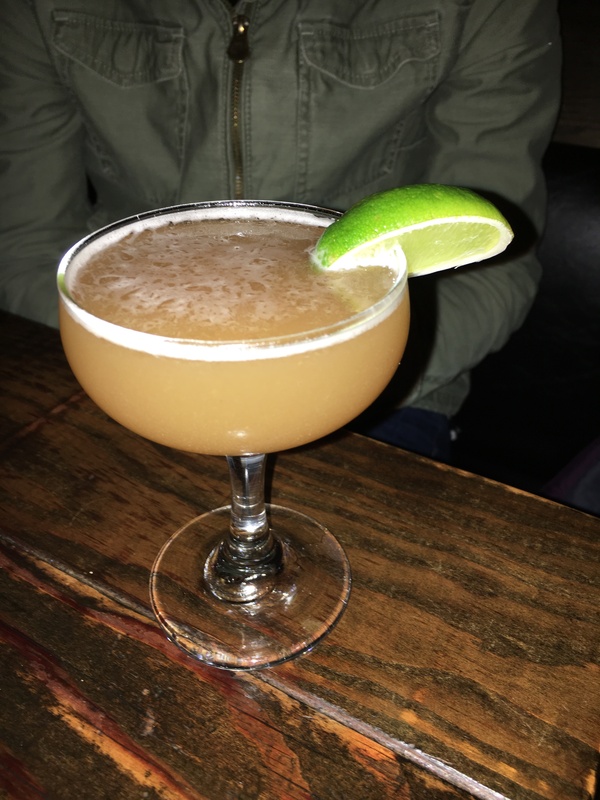 Pyramid Beer and good martinis – Up with olives…. 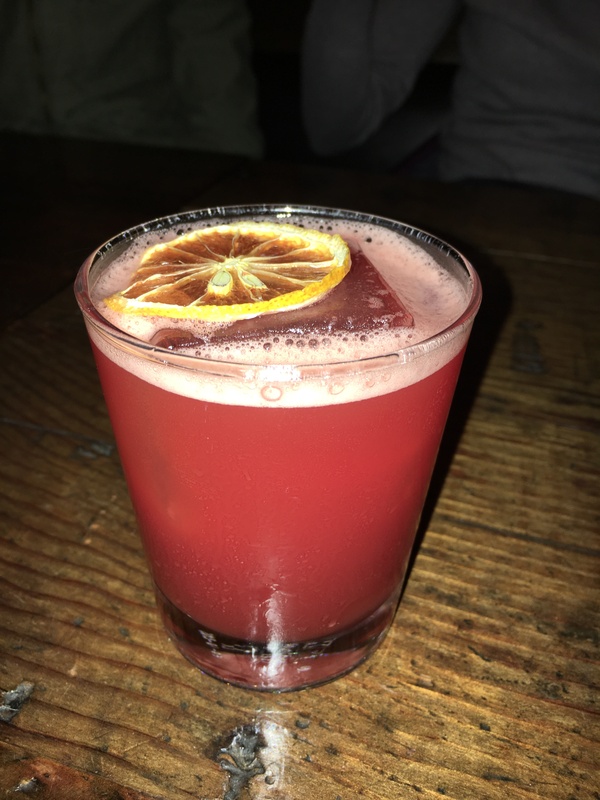 Note: Besides a great martini, they also have a number of very inexpensive and creative cocktails such as The Cleopatra (Amaretto, Bailey’s, Irish Cream and coffee) or Ramses (Southern Comfort, peach schnapps and orange and cranberry juice). 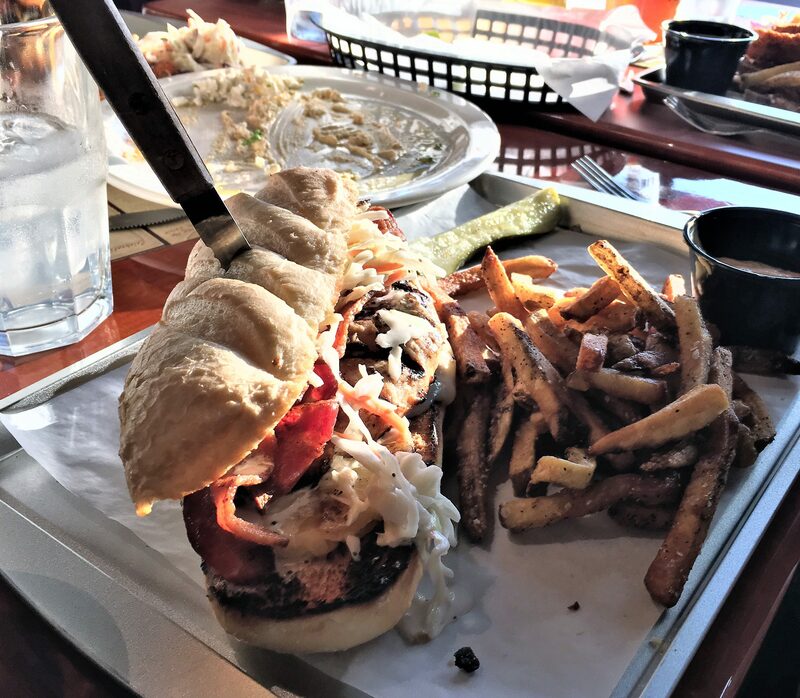 We did not order any food on this visit although during the many times I had lunch while working at Schwabe, without exception, the food was always very good. “…………When the veal came, it’s a cutlet, it was splendid. The taste was rich and the rice was outstanding, not a word we usually use for rice. My carrots and mushrooms, vegetables nonetheless, were pleasant to eat. Surprisingly, the command of how to invoke spices was second to none. 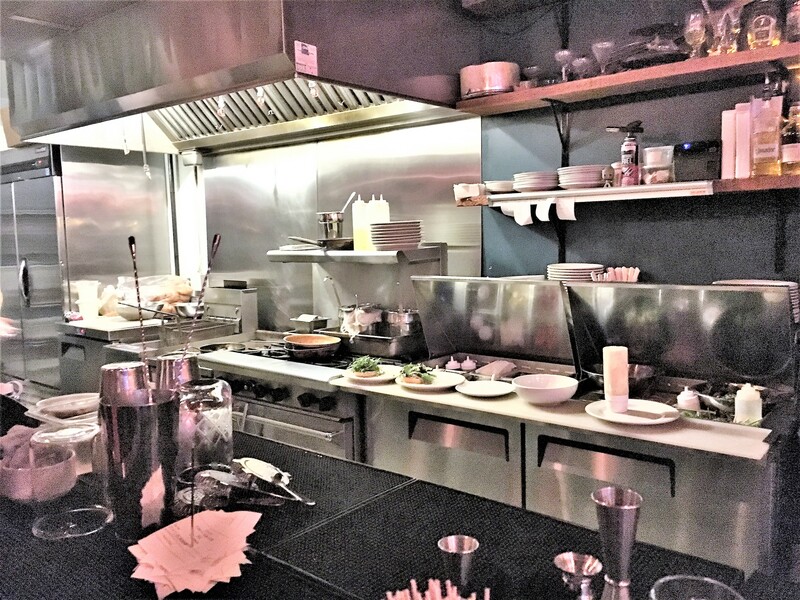 I would also suggest that to garner the Mummys’ “experience,” make your initial trip and if you are not sure about an entrée, just have some drinks and order an appetizer such as the delicious hummus or baba ghanush (a dip made from baked eggplant). The three of us all think you will return. 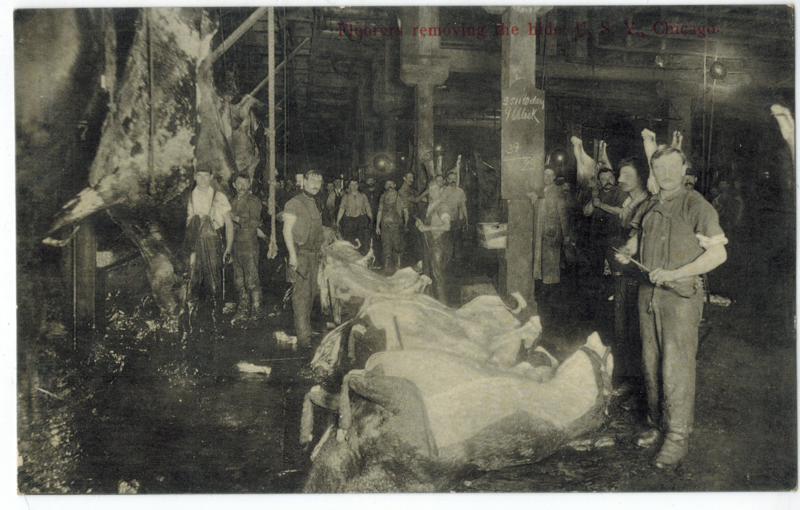 Misperceptions of the Gaza Strip…. 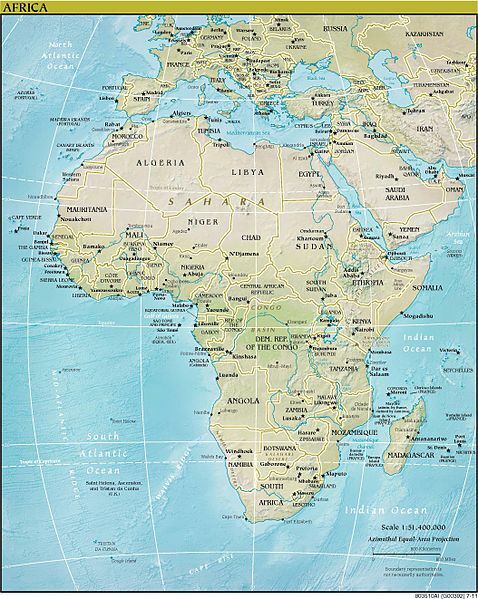 Not to be nitpicky, but perhaps someone should tell this person that the “Gaza Strip“, has it’s southern boundary along the border of Egypt and is not in Egypt. 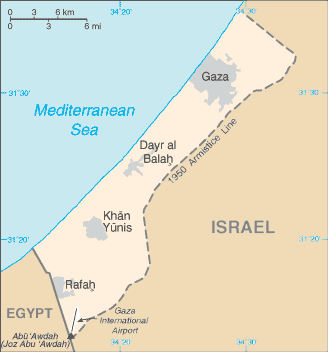 Although there has been some involvement by Egypt in the past including some periods of occupying the territory, Gaza has primarily centered around the Israeli-Palestinian dispute. And, oh yes, the primary Egyptian pyramids are located near Cairo and are not the Gaza Strip. 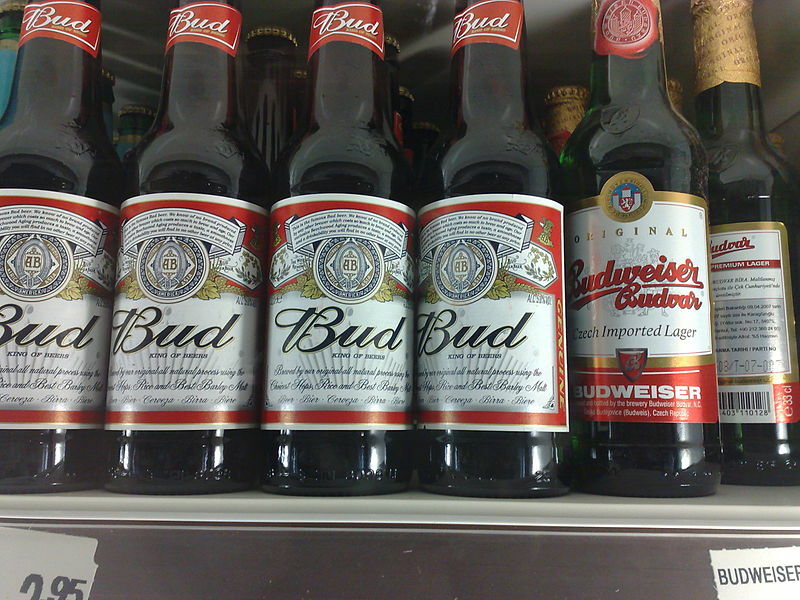 Note: It is beyond the scope of Thebeerchaser blog to further research or verify this issue. 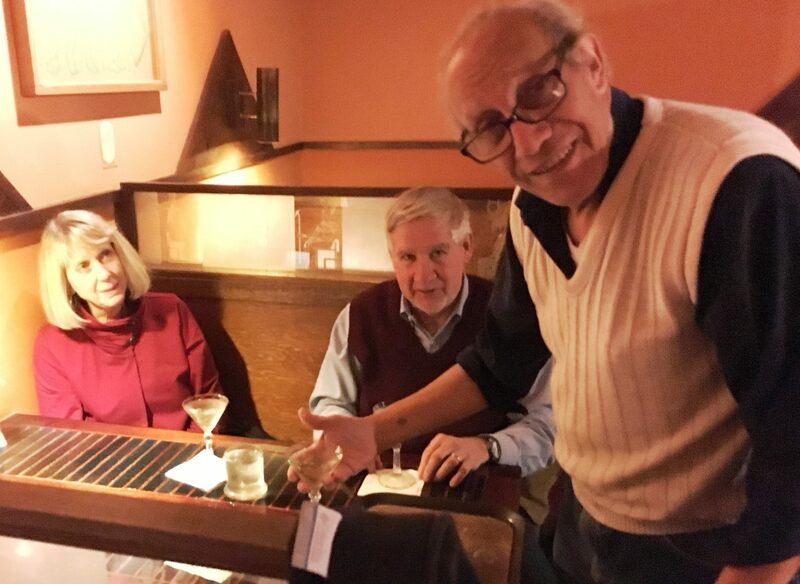 Because Margaret had to return to the office for an evening client meeting, Brian and I decided to have one more martini – that’s when this Phi Beta Kappa from Colorado State University demonstrated again, why he has the erudition to be an outstanding drinking companion. 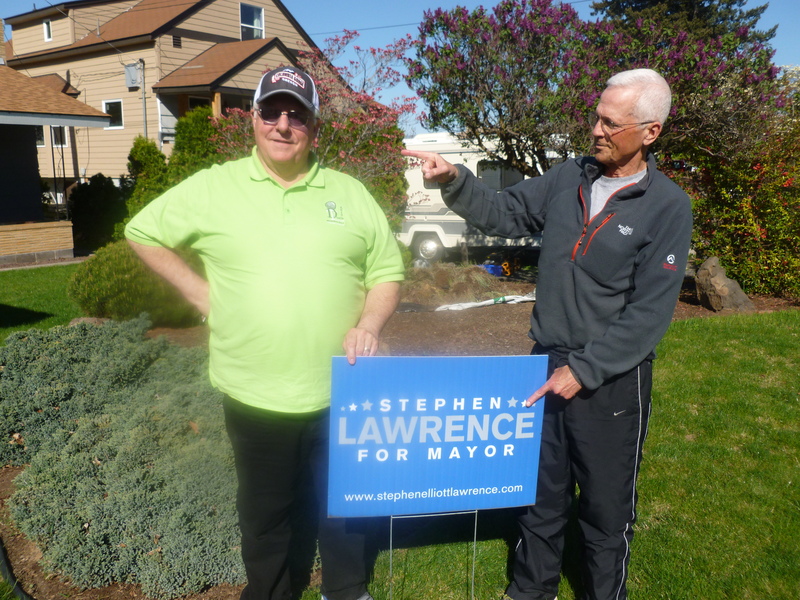 As an aside, Brian runs Schwabe’s Corvallis office which works out well because his wife is a tenured professor at Oregon State University. 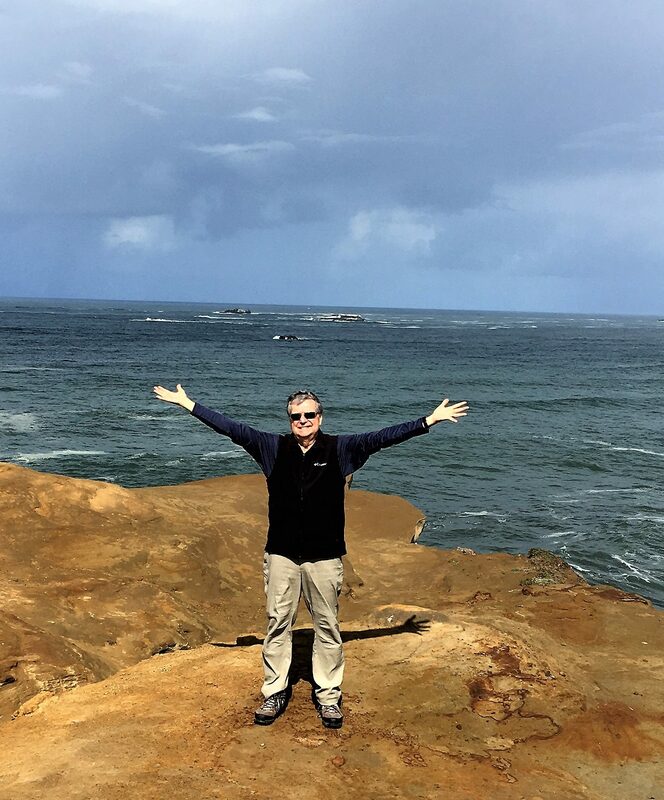 He was recently described as the most interesting man in Corvallis and rumor has it that he is still the life of many fraternity parties that he does not even attend. 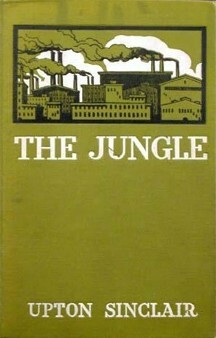 Whether it was the admonition by a judge at one time that his motion for summary judgment was like trying to read hieroglyphics, the fact that his surname is “King” and might have some ancient link to Egyptian pharaohs or just his enthusiasm over our plans to visit Mummy’s, Brian was a wealth of information. 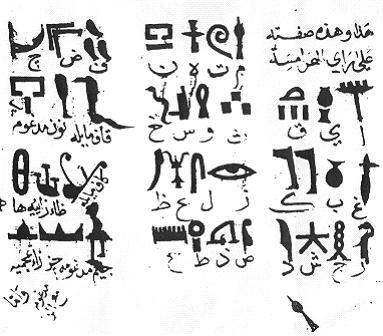 His pre-Mummys research, with emphasis on parallels in history, was focused on one of the ancient Pharoahs – Sankhkare Mentuhotep III – who reigned for twelve years during the Middle Kingdom. 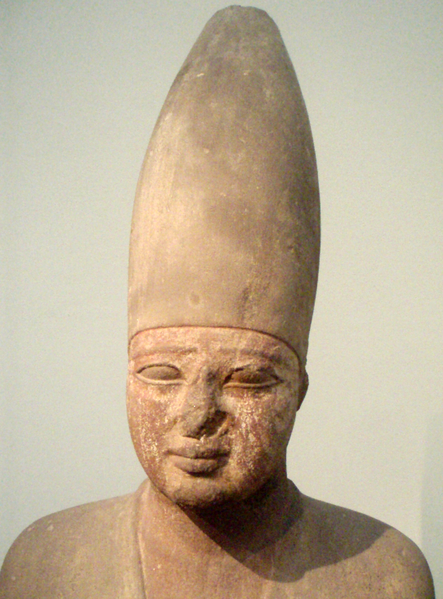 Known for his small fingers, protruding abdomen and intellectual shallowness (he never read the scrolls) Mentuhotep was principally known for his journey to the Land of Punt and efforts to build a defensive structure called the “Walls-of-the-Ruler” in Nubia and also to rebuff Canaanite immigrants. 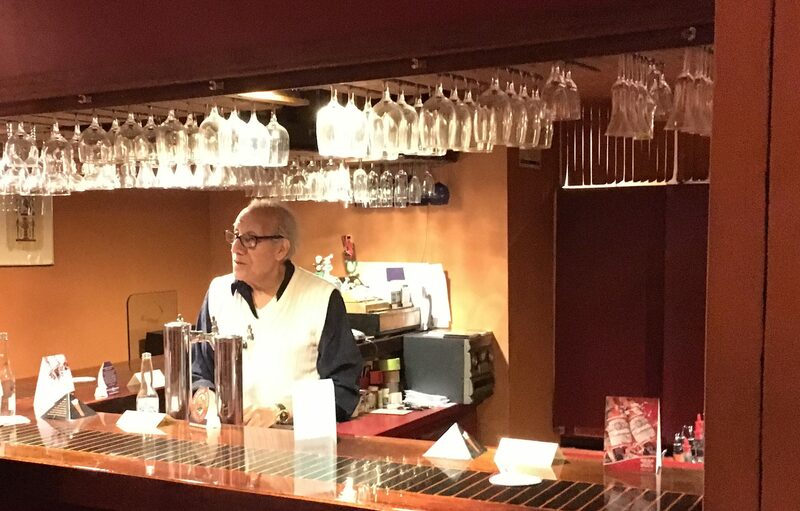 At least Mentuhotep opted to wear the headgear to hide his questionable hair…..
Fortunately, we finished our martinis before Brian had the opportunity to factor in more recent developments relating to former Egyptian President Hosni Mubarak’s term……. 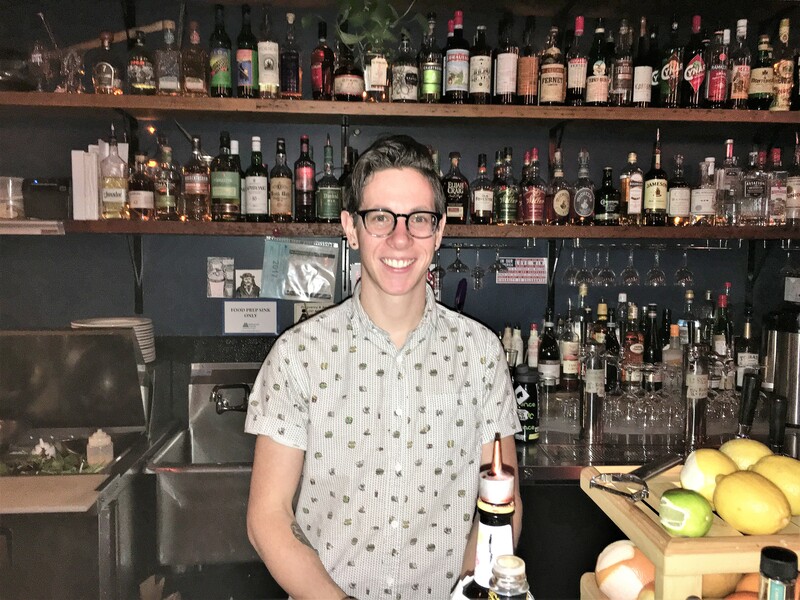 Drop down into this unique Portland venue. You will assuredly make a return trip. 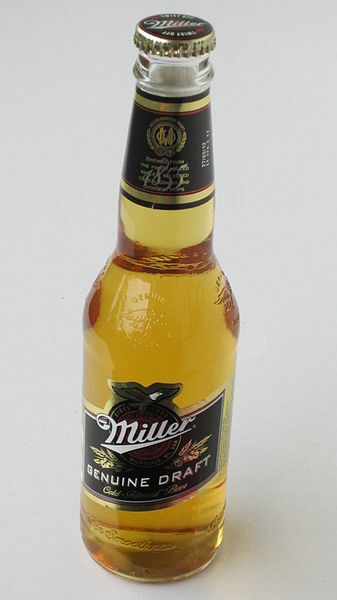 Tell them Thebeerchaser sent you! 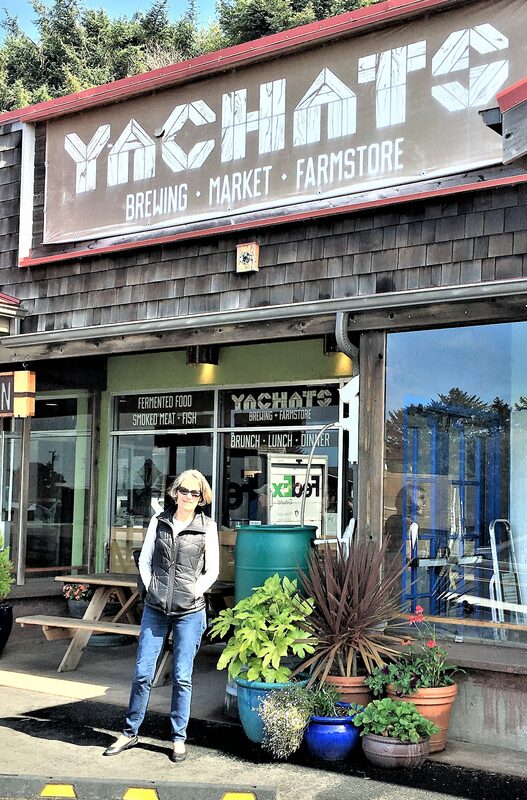 Beerchasing in California Part II – On to Yosemite….and then Murphys! Before driving our second day on the trip from Portland to Yosemite National Park, we stayed at the Sacramento Marriott Residence Inn on a Wednesday evening and as we walked into the lobby, we saw quite a few people with “Blue Angels” insignia on their apparel. Sacramento was having an air show that weekend and the Blue Angels were obviously, the featured flyers. Prestigious, but worth the cost?? Given the number of Navy personnel in the hotel associated with the prestigious military program (logistics, mechanics, flight and maintenance and marketing besides the five pilots), it prompted me to check out the estimated cost to taxpayers each year for this group. And it ranges from $40 million to $120 million assuming no aircraft is lost. And flying for the Blue Angels can be a hazardous occupation. According to a June 27, 2016 opinion piece in the Pensacola News Journal http://www.pnj.com/story/news/2016/06/26/viewpoint-cut-blue-angels-federal-budget/86404042/. They have lost 66 pilots/crew in training, air shows or transport accidents since inception in 1946, the last of which was this year. 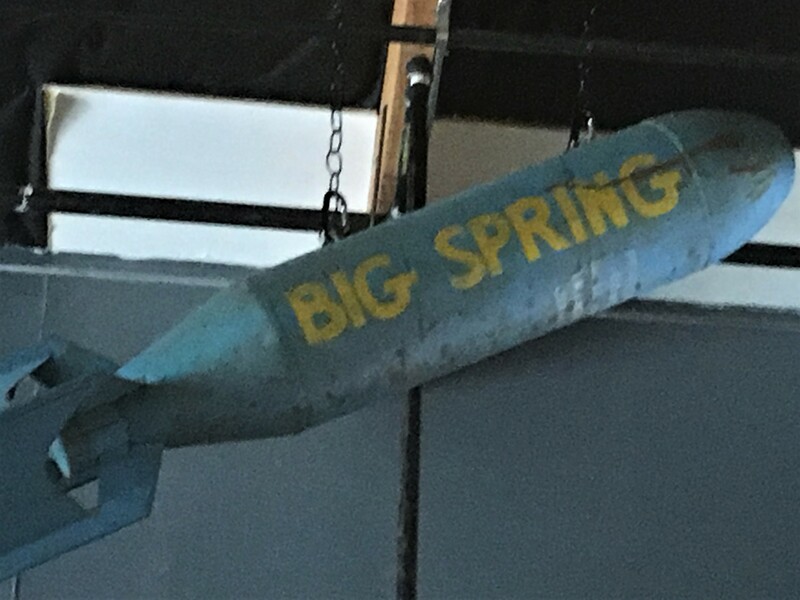 Notwithstanding all the positive aspects of their performances and that of the Thunderbirds, their Air Force counterpart, it does raise some interesting policy questions about whether this part of the national defense budget could be more effectively deployed. 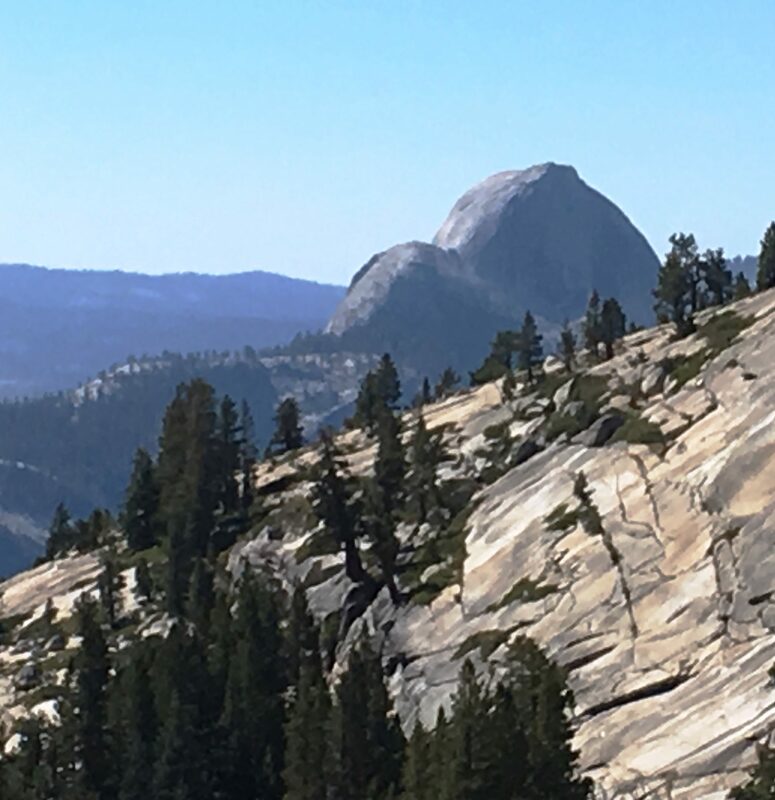 On to Yosemite through some beautiful country. 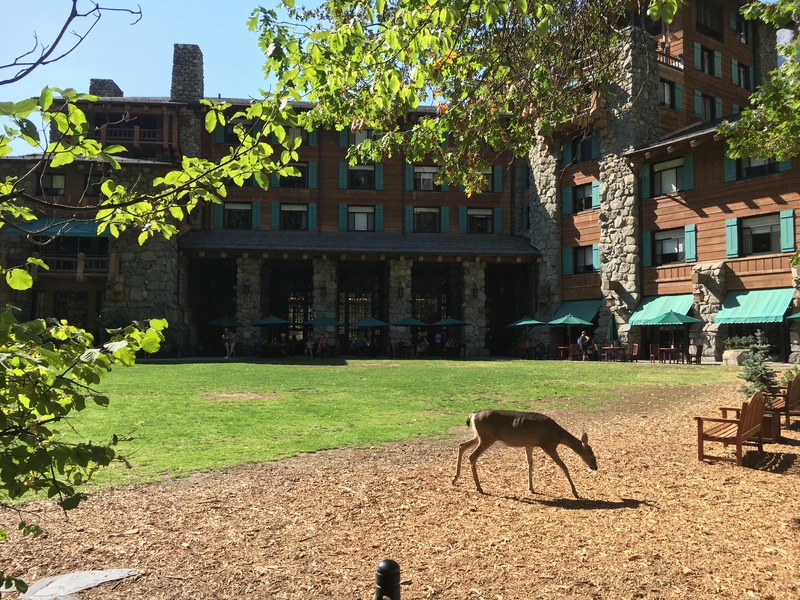 Once we left I-5 in Corning and traveled the 256 miles to Rush Creek Lodge – not actually in the Park because all of those options were filled even though it was after school had started in September – but a beautiful new lodge just outside the west entrance. 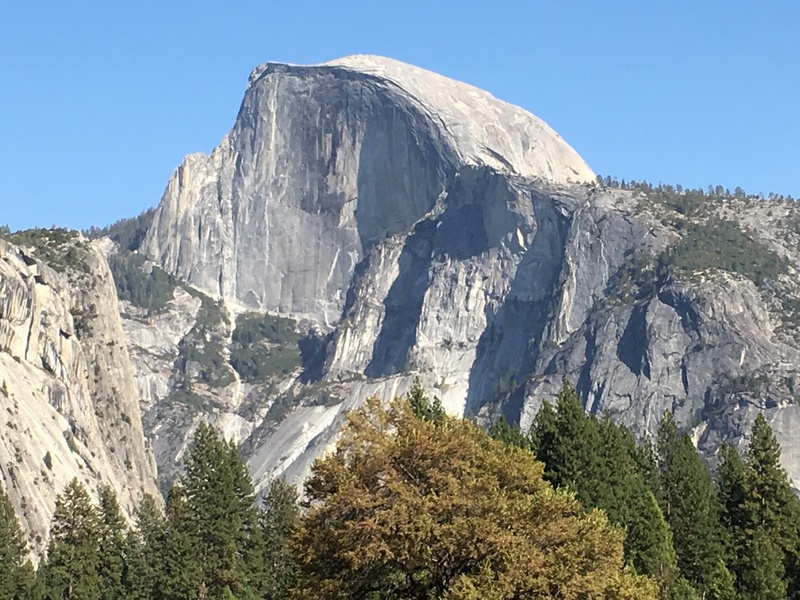 Even with the throngs of tourists and Yosemite being in the midst of a road construction process that required multiple detours, seeing the majestic natural beauty was memorable. 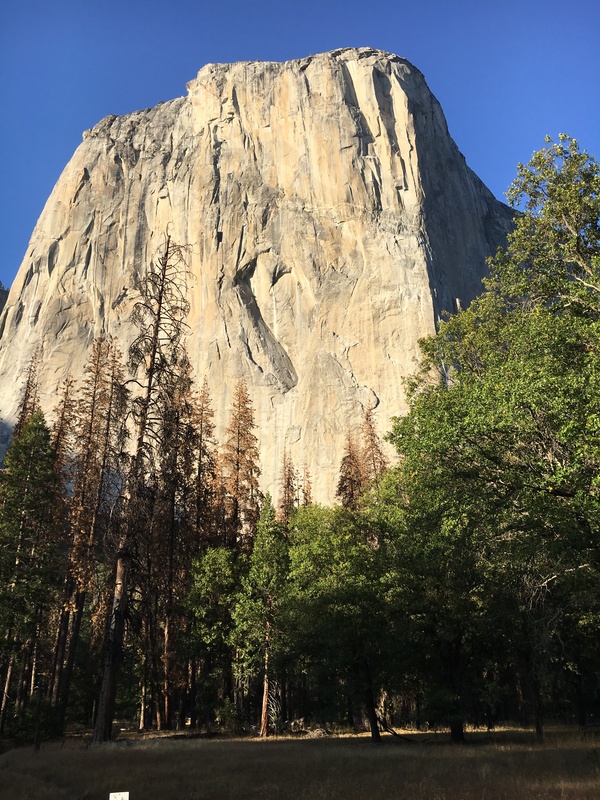 In our two and one-half days there, we hit most of the highlights, El Capitan, the Half Dome and a hike down to the Tuolumne Sequoia Grove. Then another two-mile hike up (that’s no exaggeration) to the beautiful Vernal Falls. We did that after our hike to the Lower and Upper Yosemite Falls revealed that during the summer and fall, these beautiful cascading waterfalls captured in many of Ray Atkinson’s beautiful photos dry up! 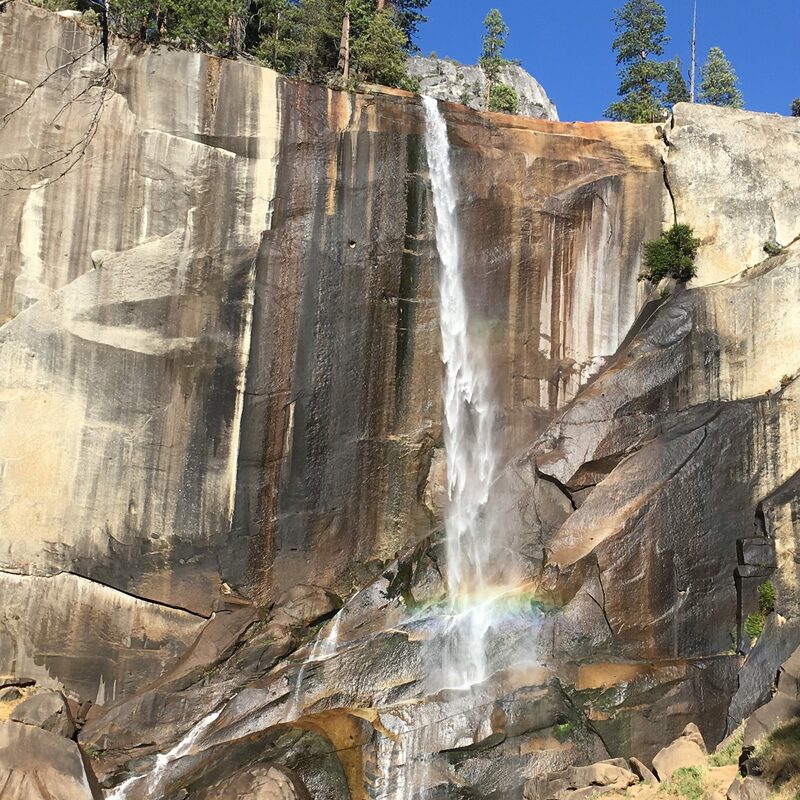 Vernal Falls – spectacular and worth the hike! 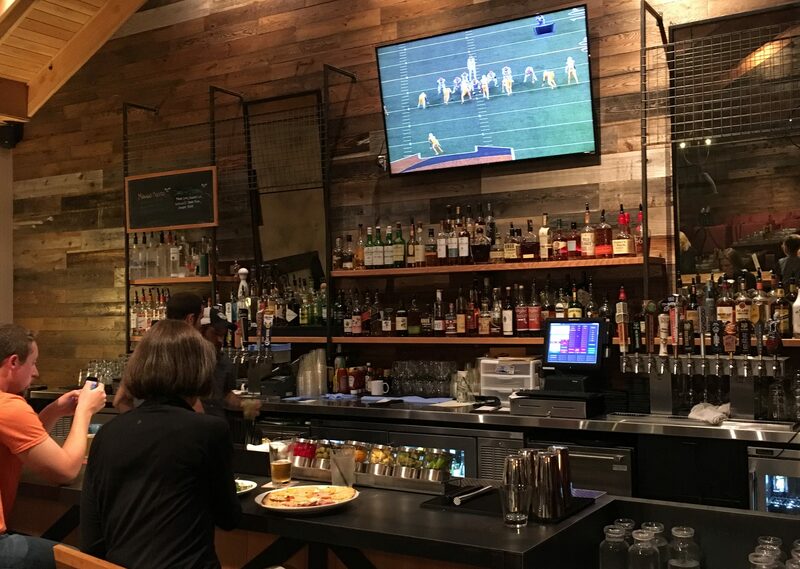 We also enjoyed eating twice in the Rush Creek Lodge Bar where based on the bartender’s recommendation I tried two pilsners – one from California’s Firestone-Walker Brewery which was watery and very disappointing and the second, which was excellent, from the nearby Dust Bowl Brewery. 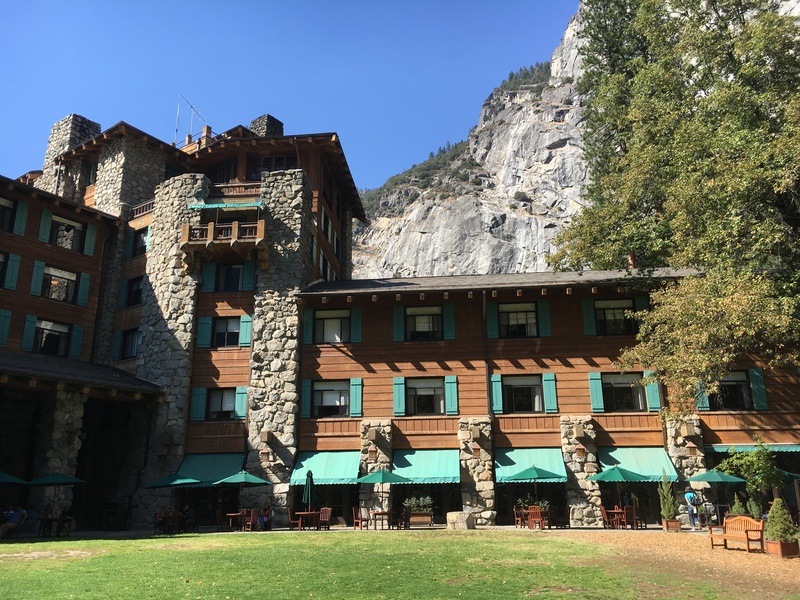 This picture of the famous Yosemite Majestic Lodge is evidence that the name is justified and they also have a very nice bar. 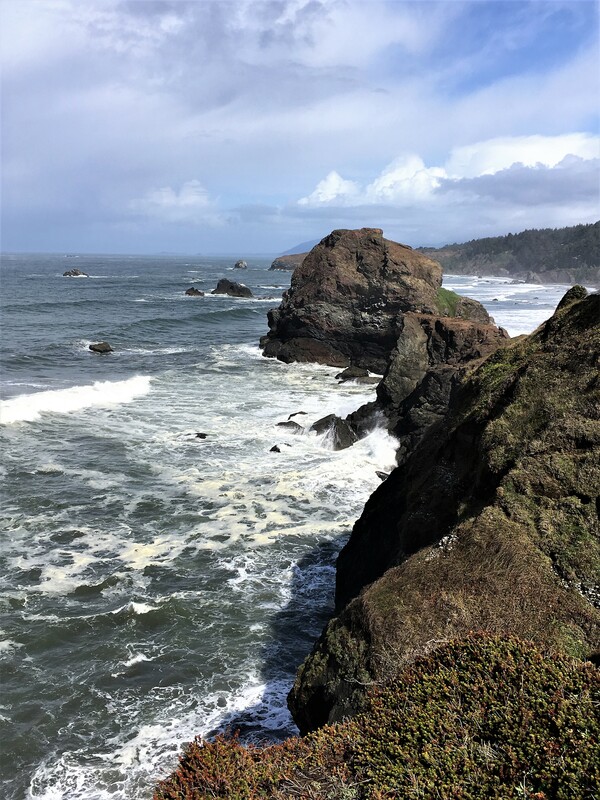 Janet acceded to my plea that even though the scenery had been beautiful , that we travel a different route to return to I-5 and the long drive north to Portland. That proved to be a great decision. 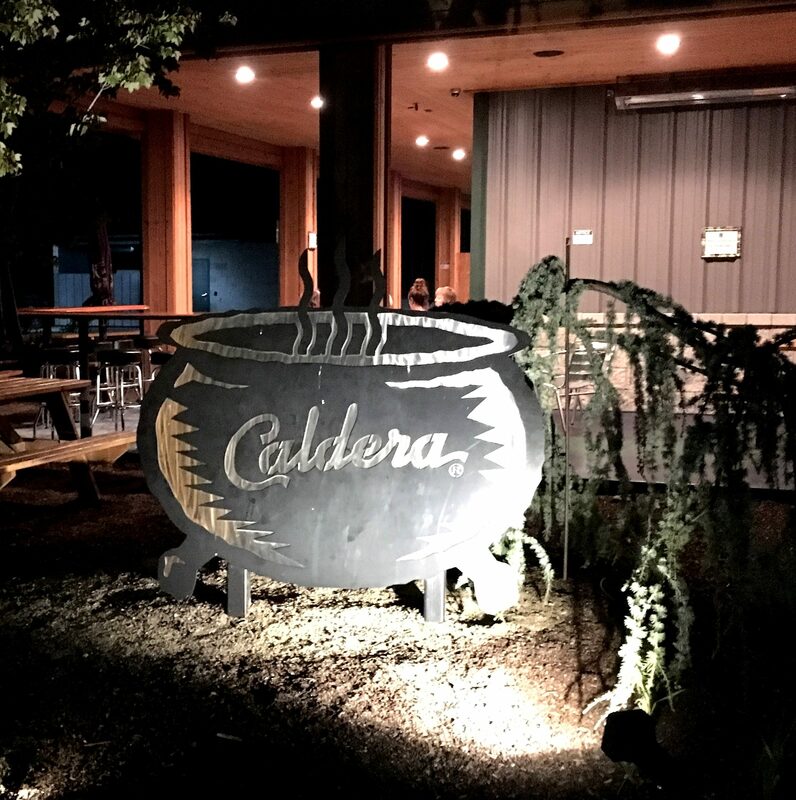 We drove California Route 4 through what has been described as “The Next Napa” – numerous vinyards and wineries in a beautiful rural setting. And then we went through Angels’ Camp, a little burg of 3,835 and the only incorporated city in Calaveras County, CA. It’s where Mark Twain resided temporarily in 1865 when he wrote the short story, “The Celebrated Jumping Frog of Calevaras County,” his first success as a writer. 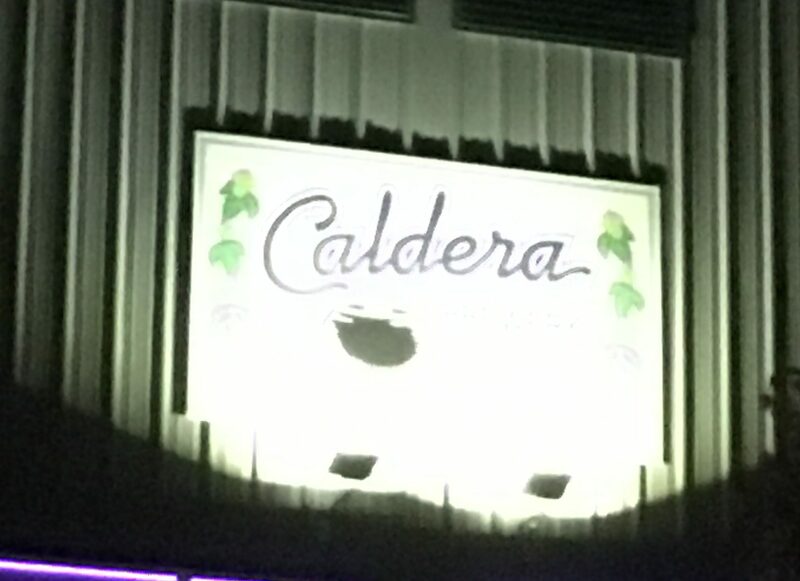 A few miles farther and we came to Murphys California, another small town (or according to the Census Bureau, a CDP or “Census Designated Place”) with only 2,200 permanent residents. 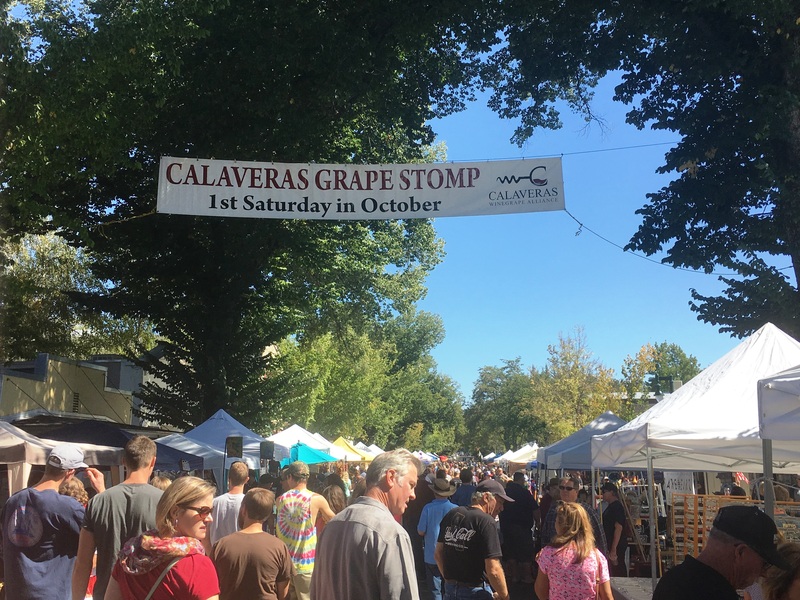 Our timing was fortuitous, because it was the first Saturday in October and that means thousands of people converge on this colorful little town for the 23rd Annual Calaveras County Grape Stomp. 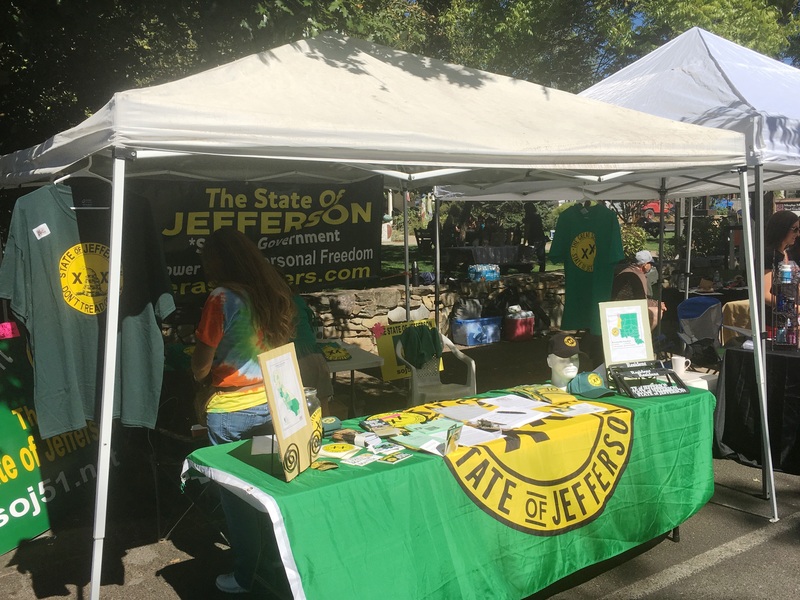 Main Street was closed down and the throng inspected the booths lining both sides of the street ranging from artists and craftspeople, to wineries to advocates for the State of Jefferson – right across the street from a booth housing the Calaveras County Democratic Central Committee. 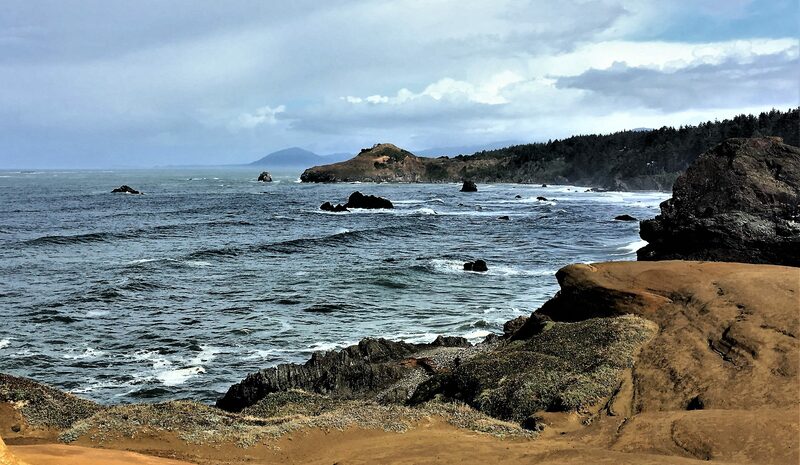 Jefferson seeks to form a new identity for northern California and southern Oregon. 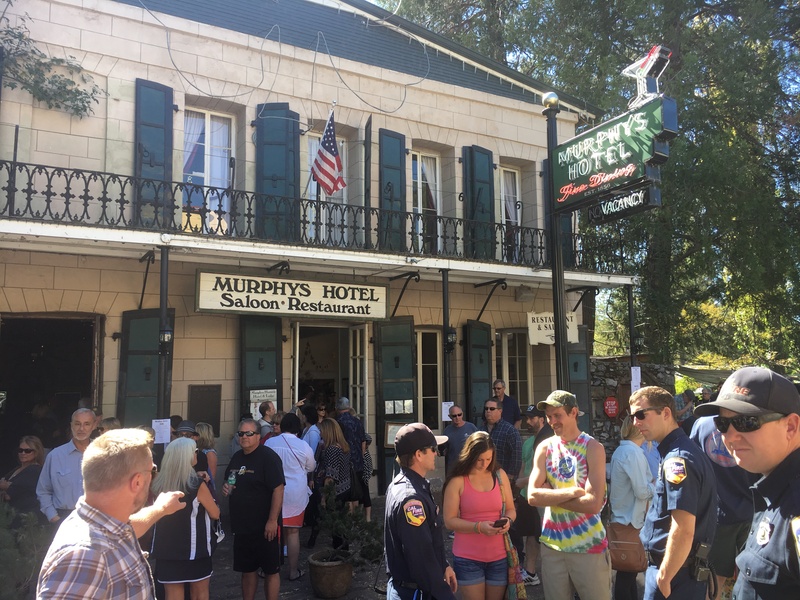 A stop in the historic Murphys Hotel and Saloon – first opened as a stagecoach stop in 1856 – and the Murphys Irish Pub – just opened in 2016 – showed that they were filled to capacity with those celebrating this festival which was the epitome of Americana. 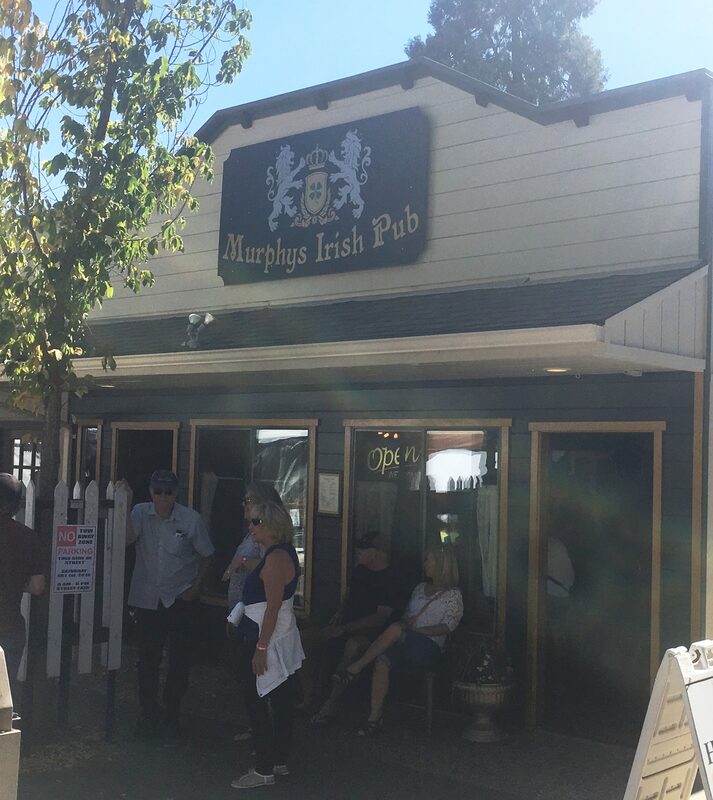 Of course, the City of Murphys would have an Irish Pub…. 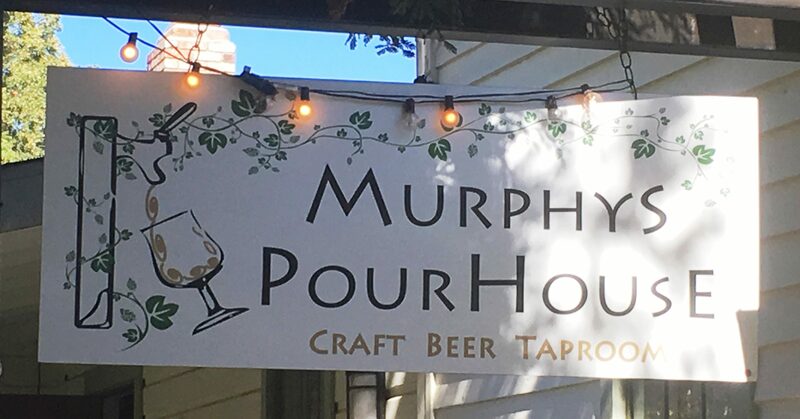 We had lunch at Murphys’ Pour House and tried our second Dust Bowl Brewery – the Son of Wrath Double IPA, which as was the Dust Bowl Pilsner the night before, a good beer and one of sixteen the Pour House had on tap. 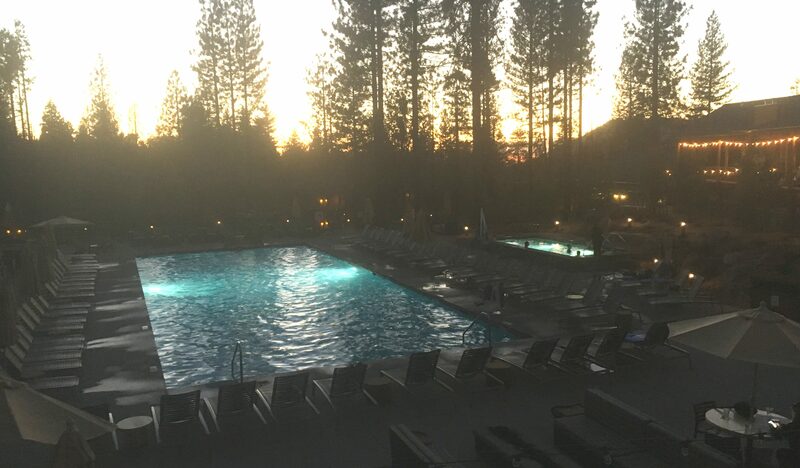 Our stay in Redding, Ca. 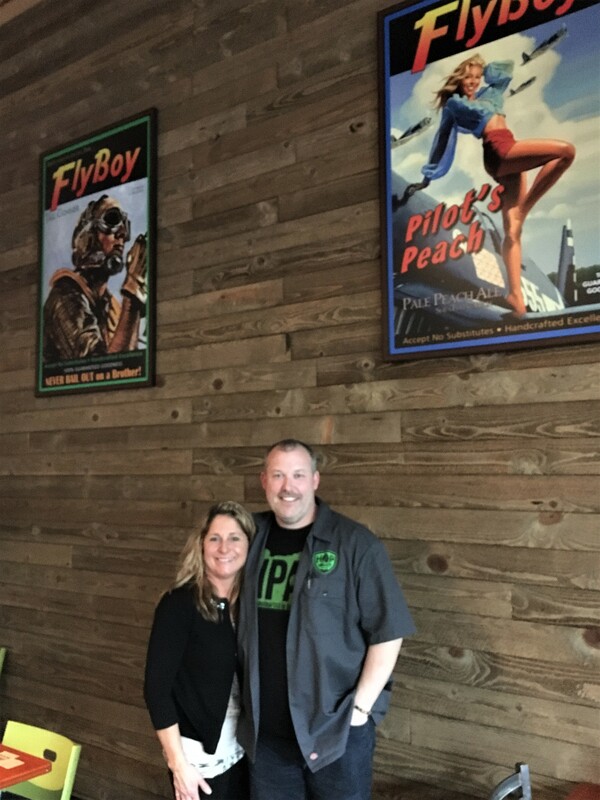 capped out our last night on the road trip and a visit to another venue which typifies how microbreweries have become thriving enterprises and assets to their communities. 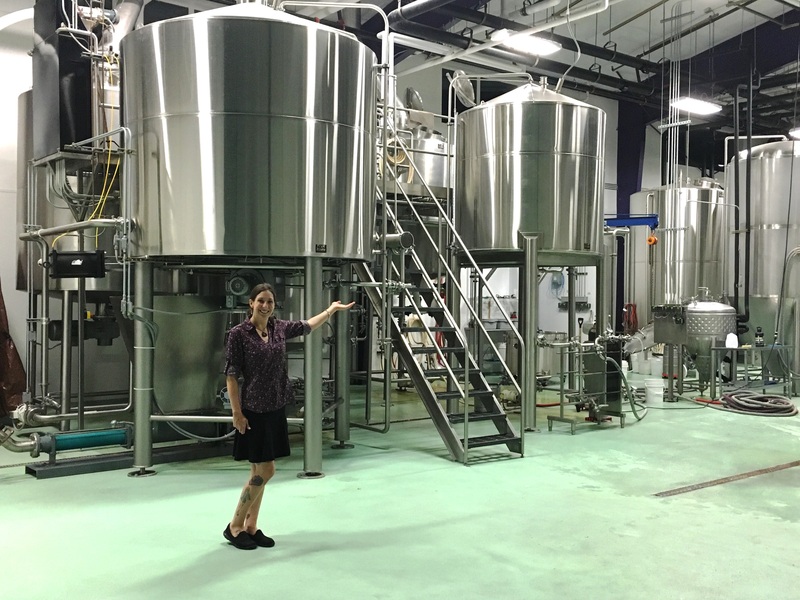 This one was Woody’s Brewing Company and our server, Naomi, although she had only worked there for about six months, was a wealth of information about their sixteen beers on tap (five of which are brewed in their 10 barrel operation on site at the brew-pub) and the history of the brewery. 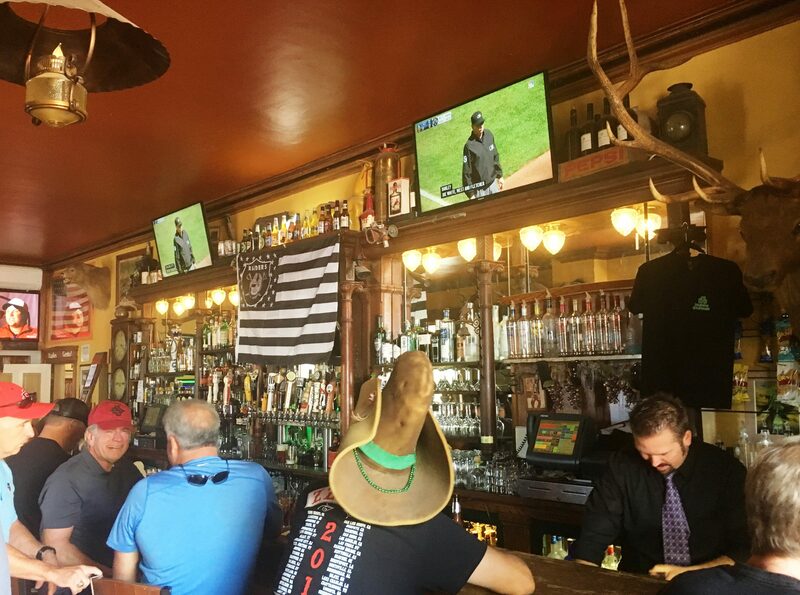 The bar at Woodys was hopping…. 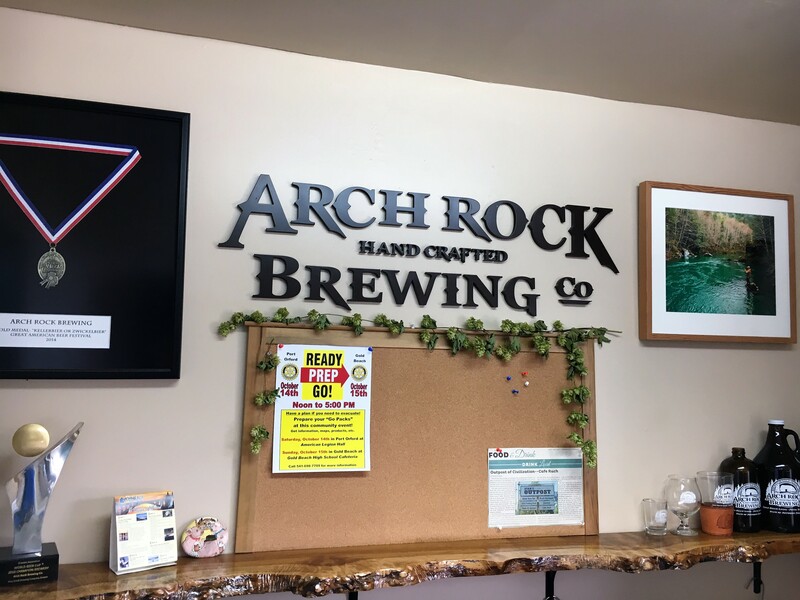 They started brewing in 1984 and although still a small operation, from what we saw, they’re still going strong and do good work helping Redding non-profit organizations. 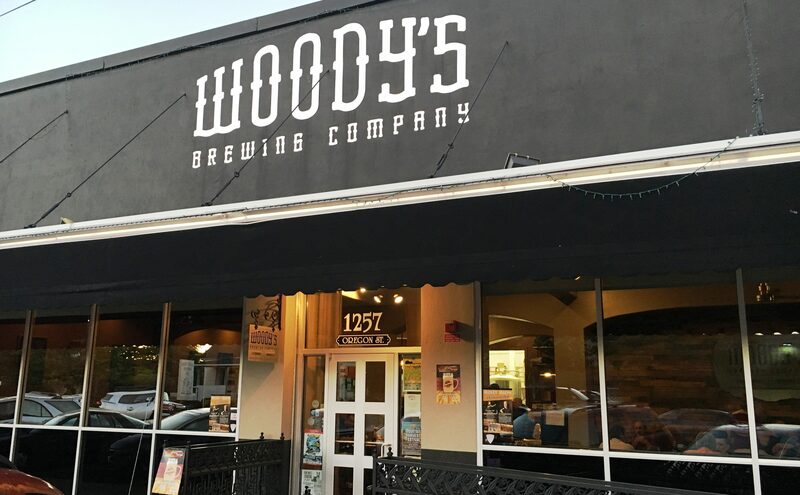 Woody’s has sixteen beers on tap. 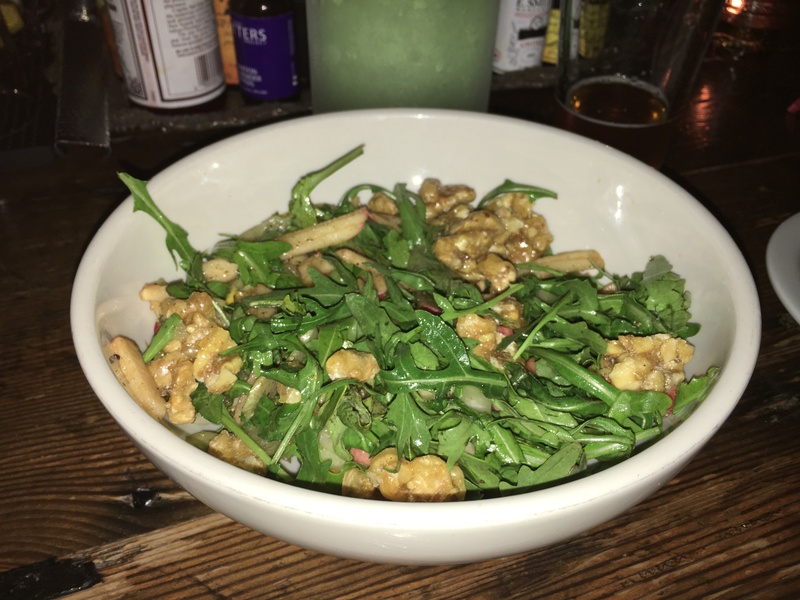 I had an Asian chicken salad and Janet had fish and chips – both of which got very good ratings. 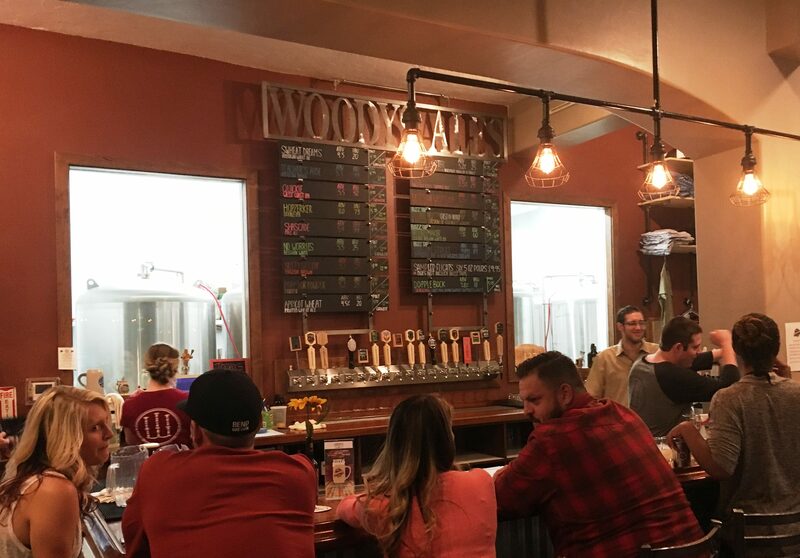 And we definitely liked our beers – mine was Woody’s Apricot Wheat Ale and Janet tried their Teacher’s Aide – a robust amber ale. 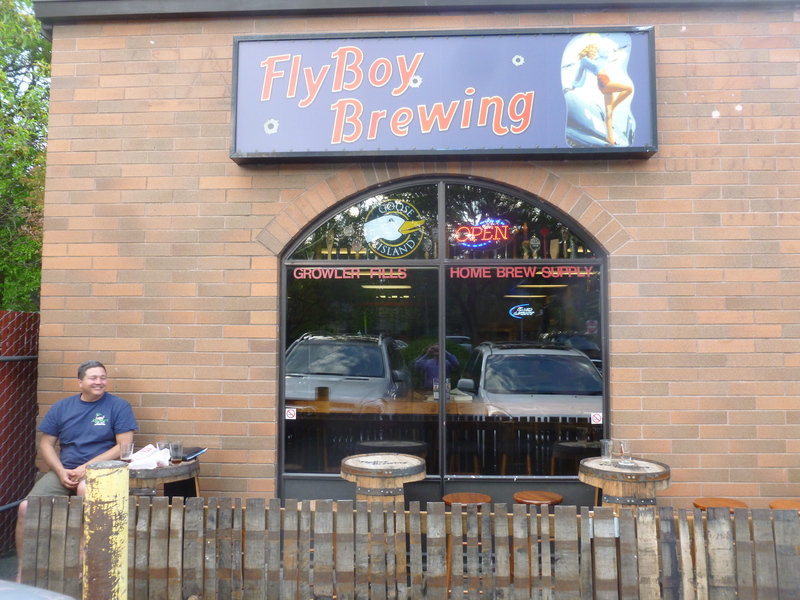 “Good beer, quick friendly service, bar style food. After the drive through Shasta country, the Siskiyou Mountains and up I-5 with a short stop for a large ice-cream cone ((although now somewhat diminished and more expensive than what we remembered on long ago road trips) at the infamous K & R Drive Inn at the Rice Hill I-5 exit in southern Oregon, we made it back home. 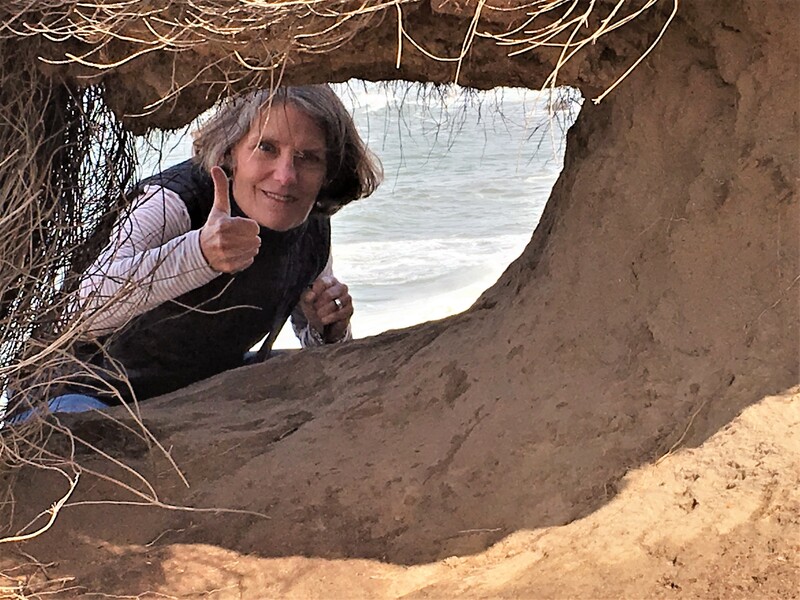 And while Thebeerchaser is officially done with political campaigns and election results, I feel compelled to offer my own comment about our road trip in response to those who rile people up by denigrating America with negative bloviating about how we need to remake the US. 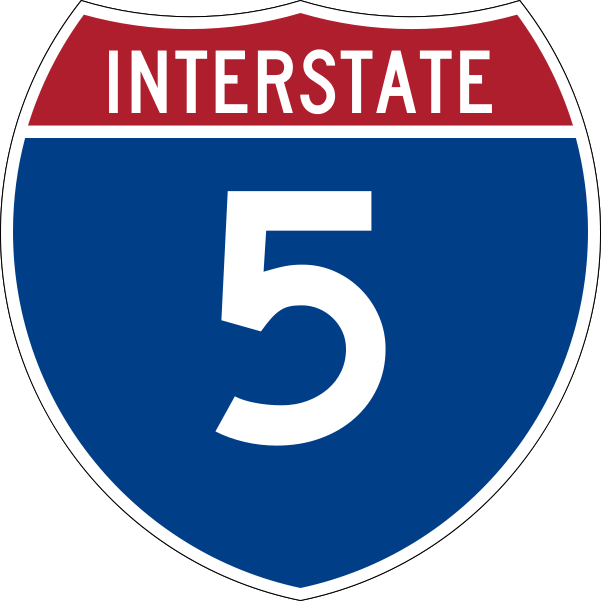 “While the US has many challenges and has not done an effective job in resolving a number of problems, we traveled more than 2,500 miles in five and one-half days through incredibly beautiful countryside on both interstate highways (with clean and impressive rest stops) and well-maintained state roads and county by-ways. 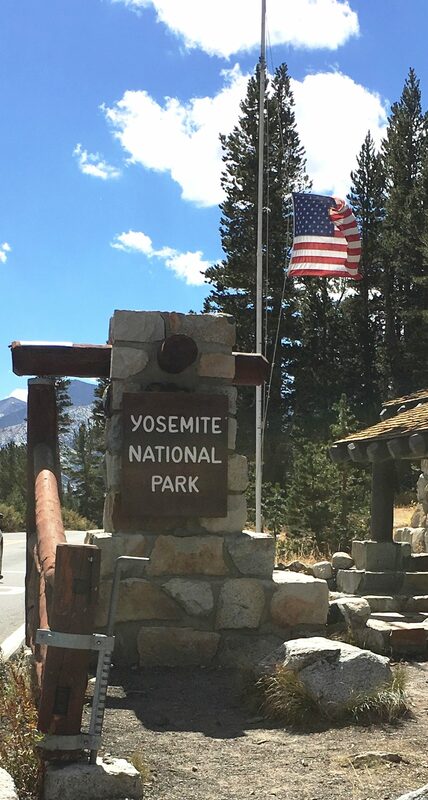 We visited another one of our renowned National Parks – one of sixty-one in the Park system’s Centennial Year, a national treasure and where we interacted with citizens from many countries there to gasp at the splendid scenery. 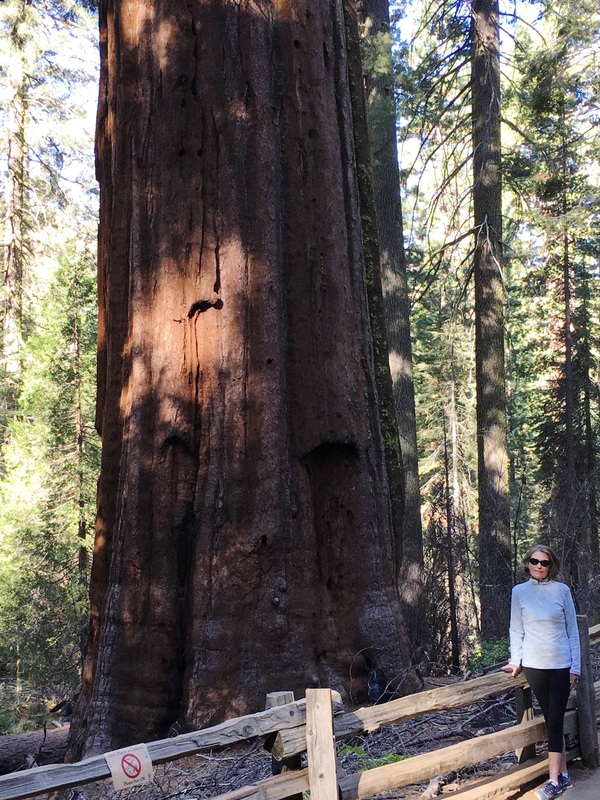 We marveled (in Yosemite and the other National Parks we have visited in Oregon, Utah, Colorado, Montana, South Carolina and Washington in the last three years) at the the vision of leaders, politicians and citizens to preserve this bounty for future generations. 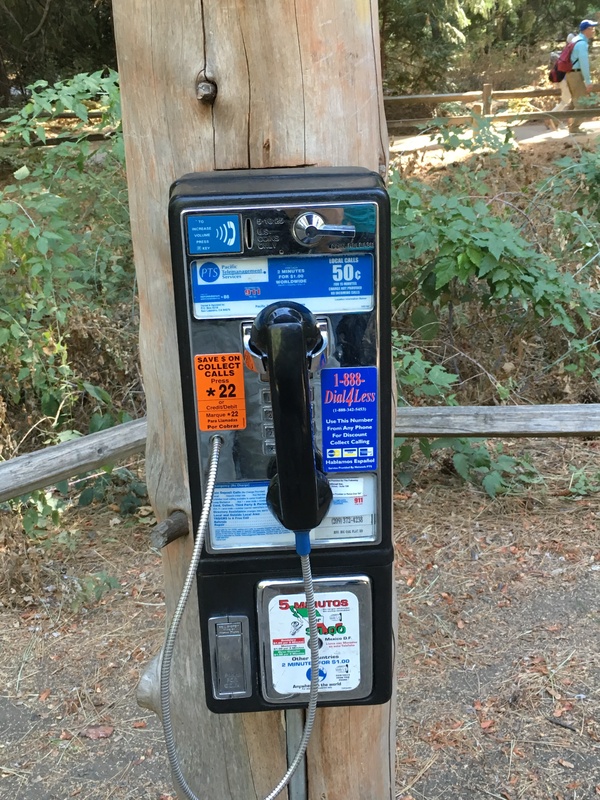 We even saw a pay-telephone in Yosemite. 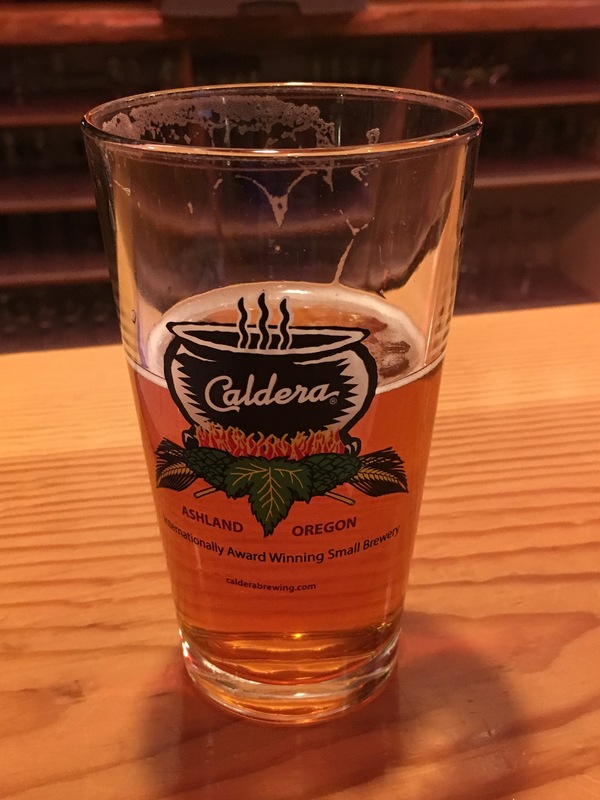 Mugs were raised at small breweries – the end result of the dreams of young entrepreneurs that grew into thriving businesses through hard work and business acumen. 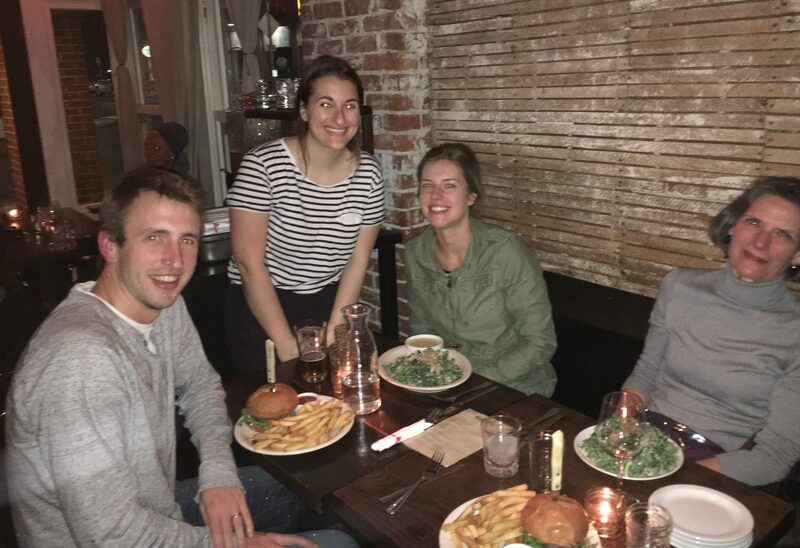 We ate at bars and restaurants which demonstrated the enterprising talent and creativity of their owners and which employed hardworking and friendly people dedicated to serving the clientele. 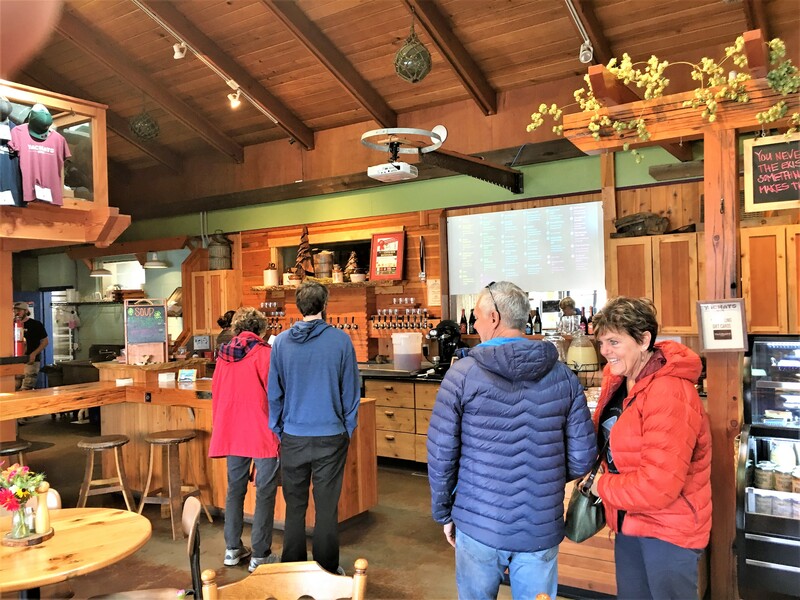 Wineries, rice and wheat fields, dairy and beef cattle ranches, and orchards stretched for miles outside well-designed cities with urban growth boundaries preserving this agricultural resource. We joined about 10,000 other people in a showing of pure Americana as we celebrated a local festival in a rural California community. 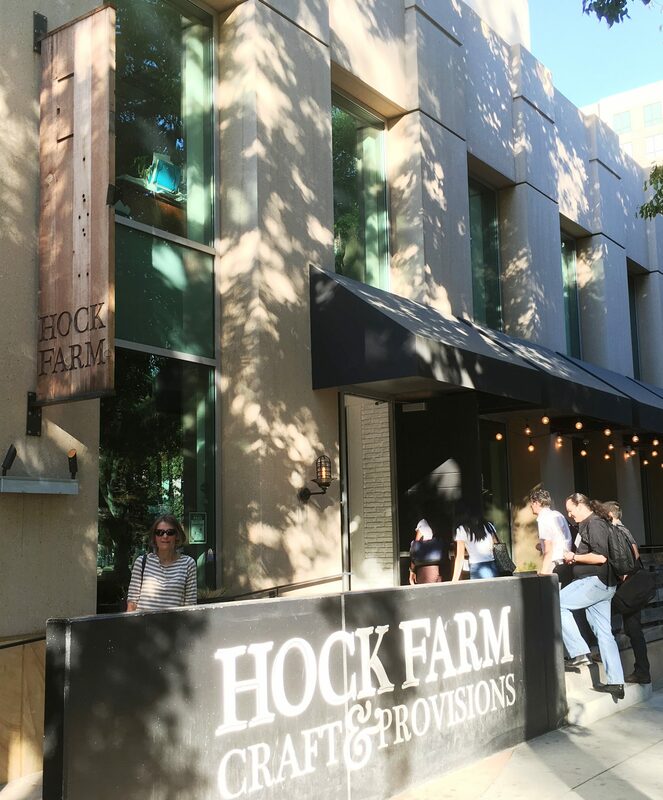 The next day we stayed in Sacramento – right in the downtown core near the California State Capitol Building and a mall-type development which is in full swing and will enhance the Central Business District. 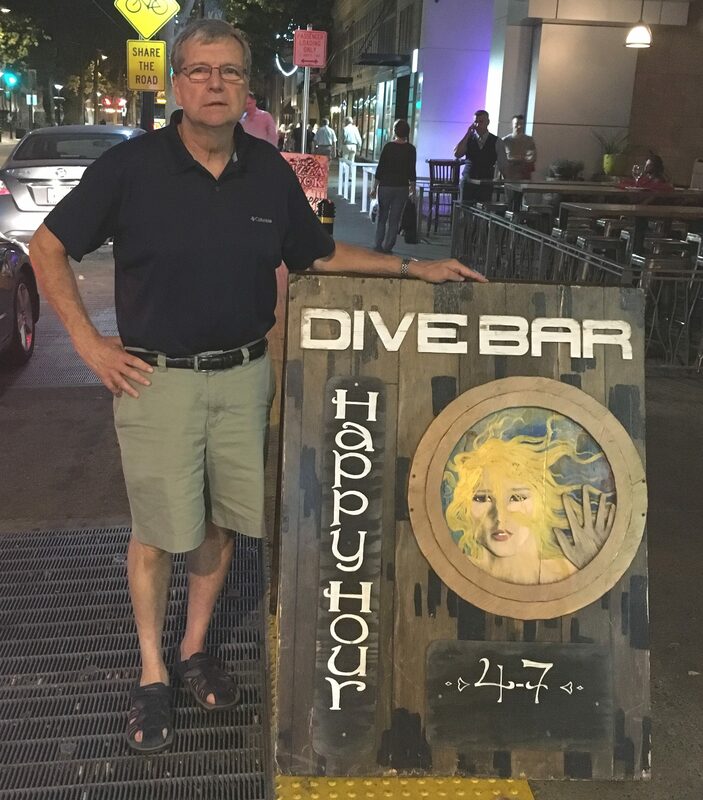 On a walk to explore the area and pick a restaurant for dinner, we came across “Dive Bar” on K Street. 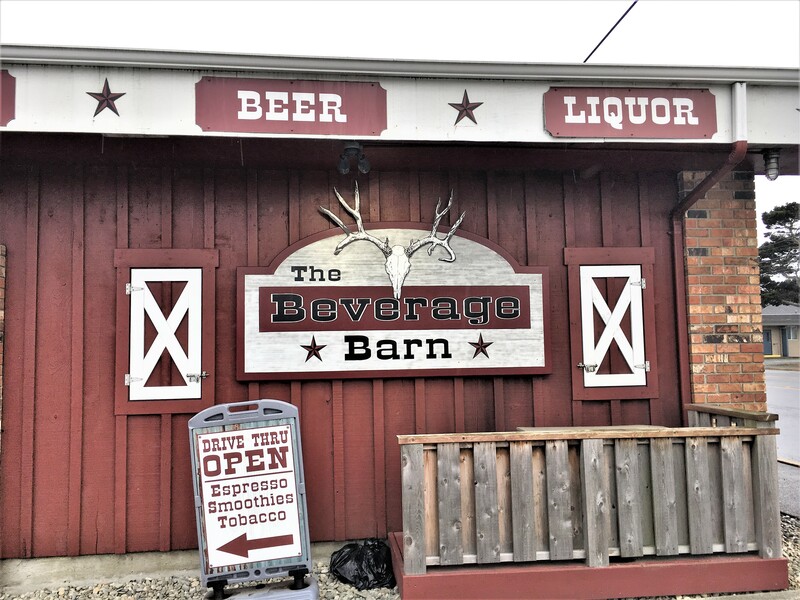 Now Thebeerchaser loves watering holes with this description although my spouse, Janet, has an aversion to this type of bar. 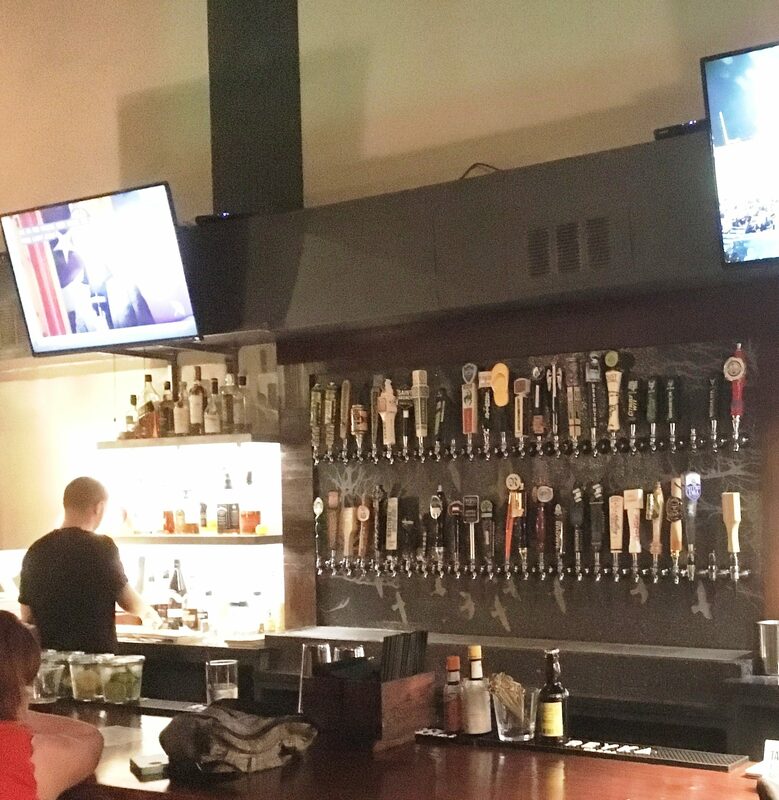 Nor your standard dive-bar taps….. 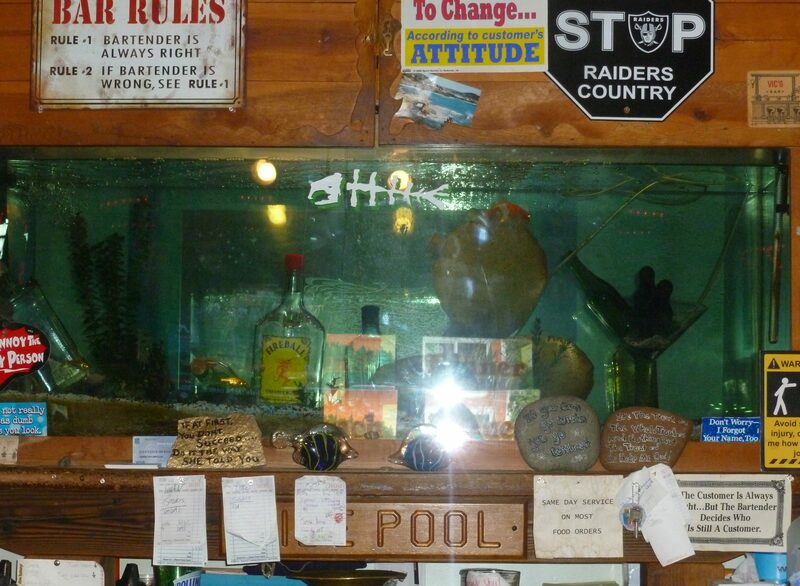 This “dive” bar had only four beers on tap – all micro-brews with one from Oregon……but none of which bore the moniker PBR or Budweiser – standard brews for dive bar regulars. 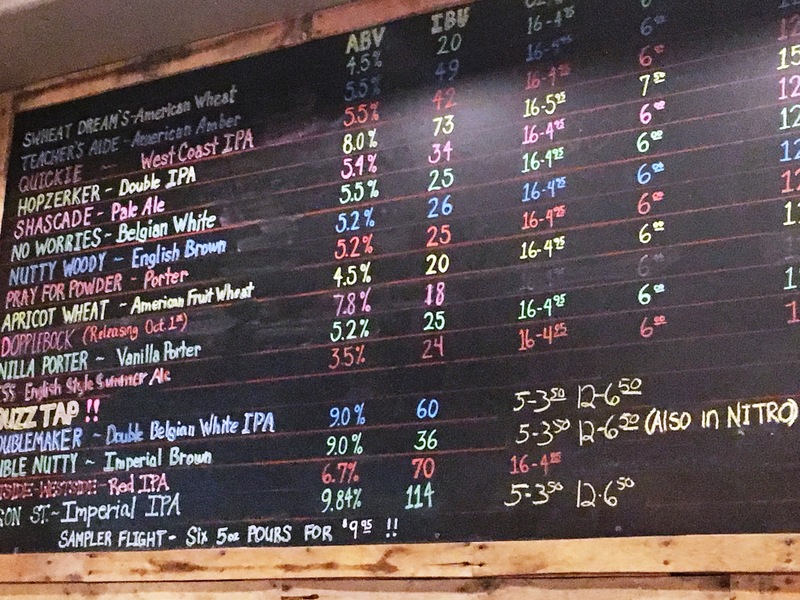 (I tried the tangy Otra Vex by Sierra Nevada Brewing and Janet, the Falcon Lagger and we were pleased with both brews although more expensive than a PBR…. 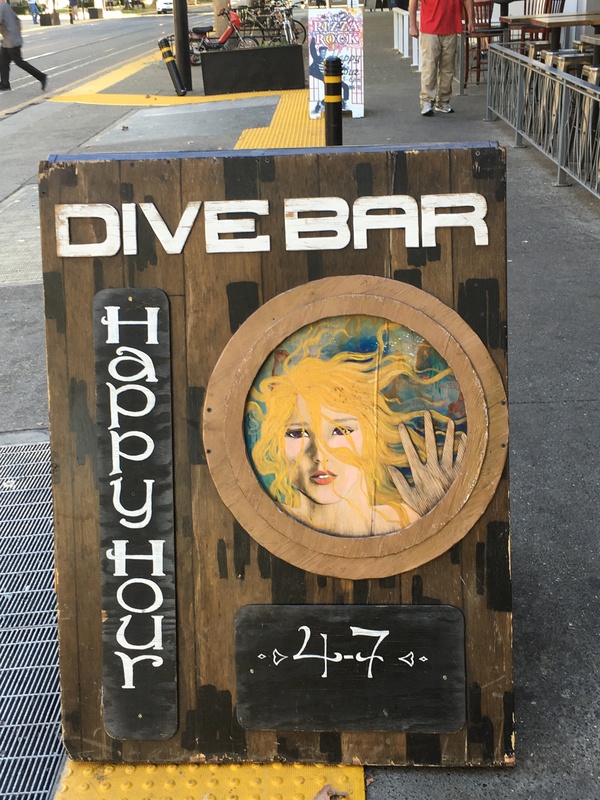 When I say “dive”, I mean literally…..
As further evidence their website states, “A typical dive bar denotes a few things in one’s mind: no frills, approachable, slightly dangerous, and a leftover relic from another era. 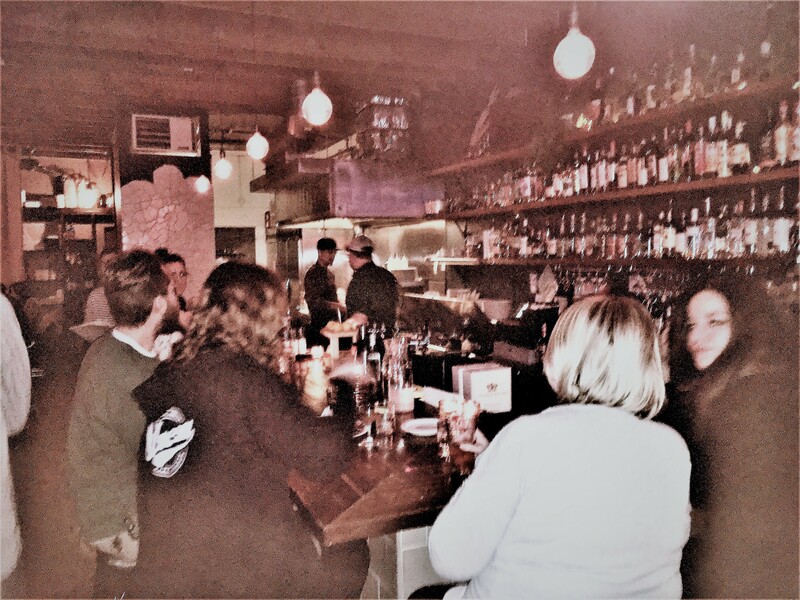 This version has refurbished brick walls, dark wood and upholstery and is a version of a bar from a different era: but with all brand new accoutrements. 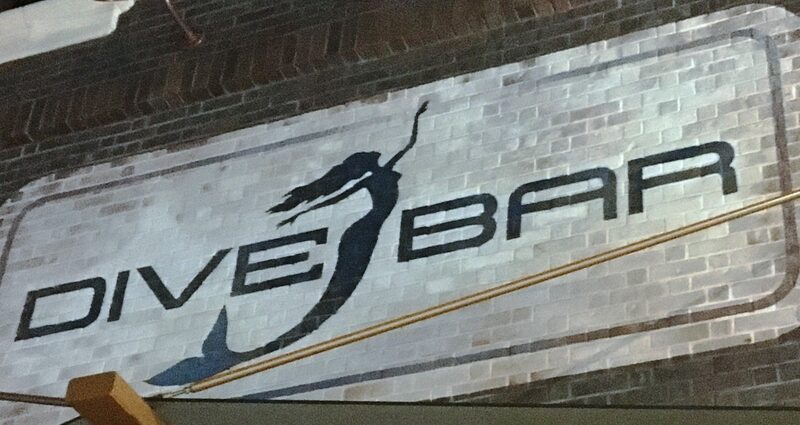 Dive Bar also has an Executive Chef and you can pay extra for VIP privileges…..Case closed!! 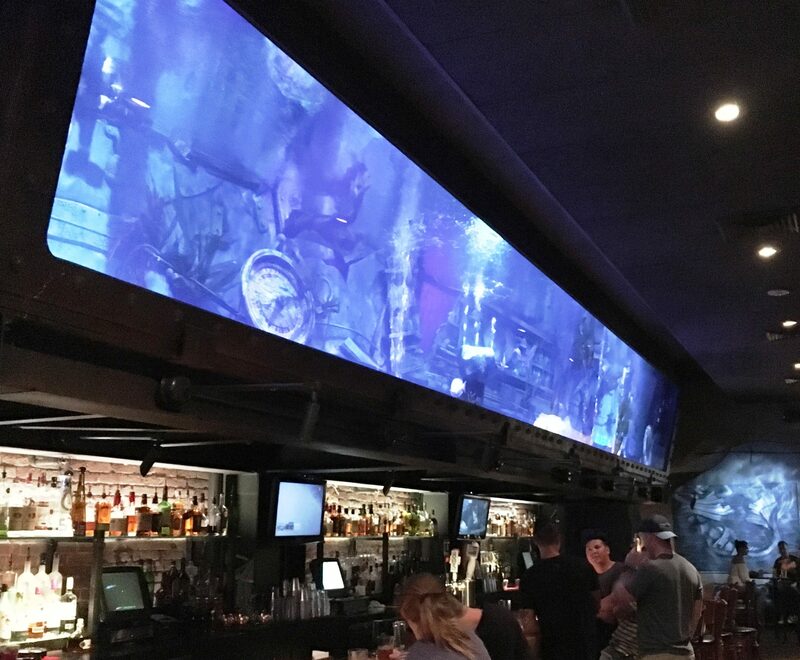 Do you think you would see this kind of lighting and décor in a true dive bar? 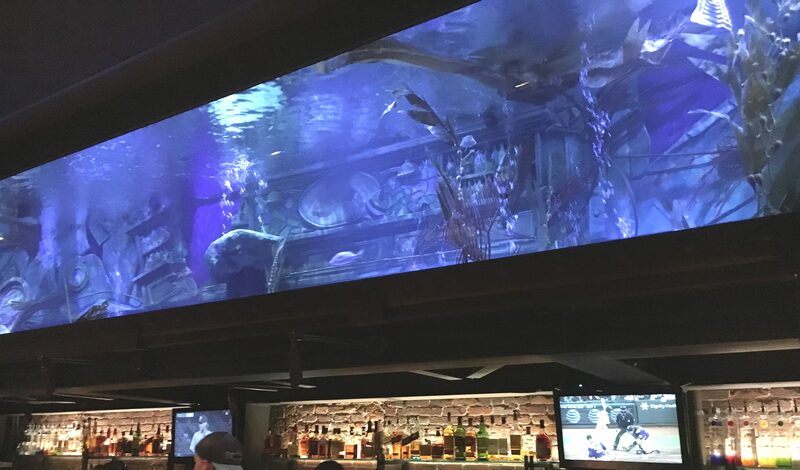 There were no mermaids swimming that evening and it was a quirky but somewhat sterile, bar although based on social media, it is a hot spot in Sacramento night life. 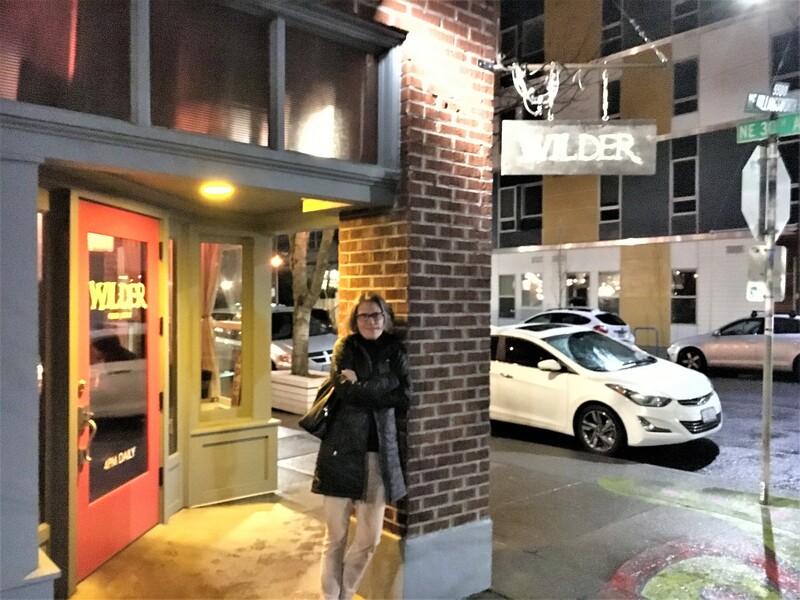 Non-descript and boring exterior, but worth going inside..
Dinner that night was at Blackbird Kitchen and Bar a small restaurant/bar with a non-descript exterior, but with fifty beers on tap and a happy-hour fried chicken special that was outstanding. 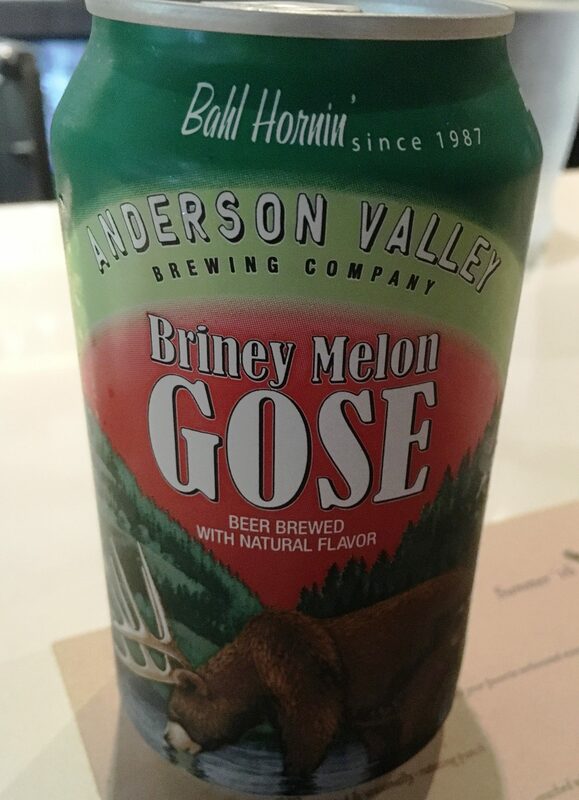 We sat at the bar and our friendly server, Dave, explained that they focus on local beers with 20 of these on tap. 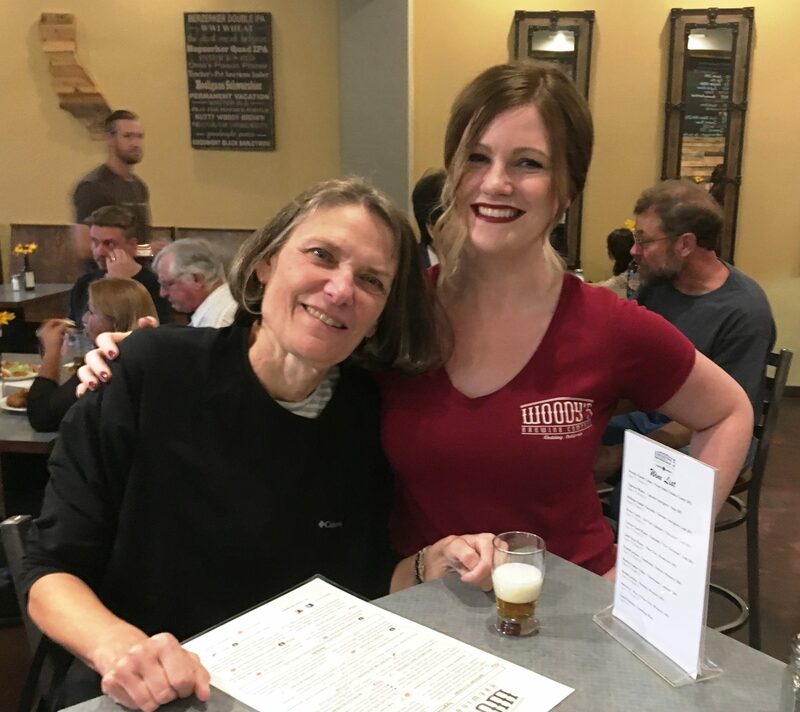 Janet drank wine and I had a memorable Double Down Imperial Red from Wildcard Brewing in Redding, California. 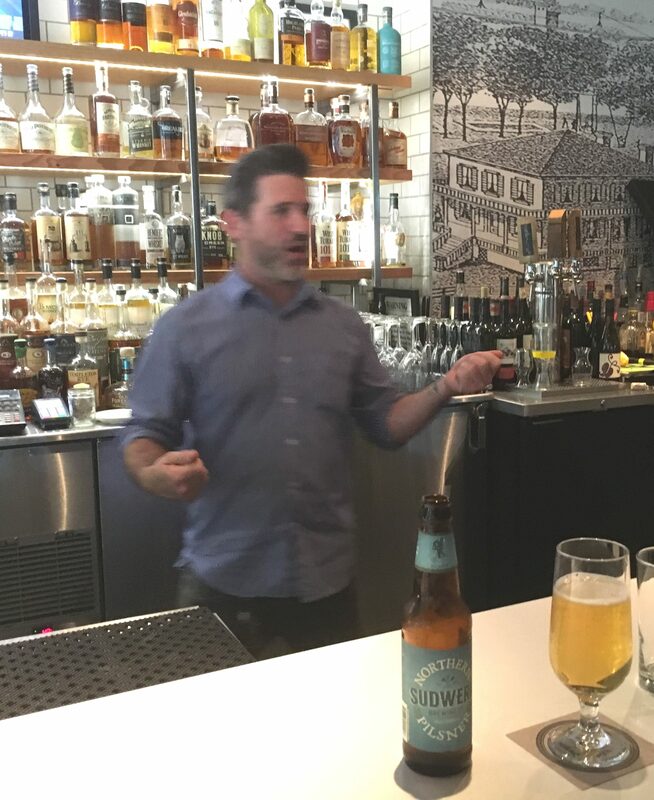 Then an after-dinner drink at Craft HF (Hock Farm Craft and Provisions) – one of the Paragary Restaurant Group’s establishment. 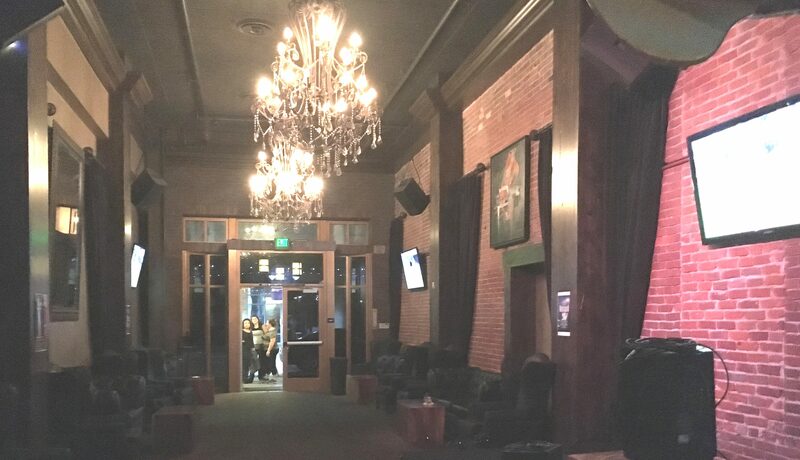 (Fourteen in Sacramento) This was a spacious bar with modern décor and an ample up-scale restaurant area adjoining. Bartender, Blake, served us as we sat at the bar and was quite a marketing asset for the venue. 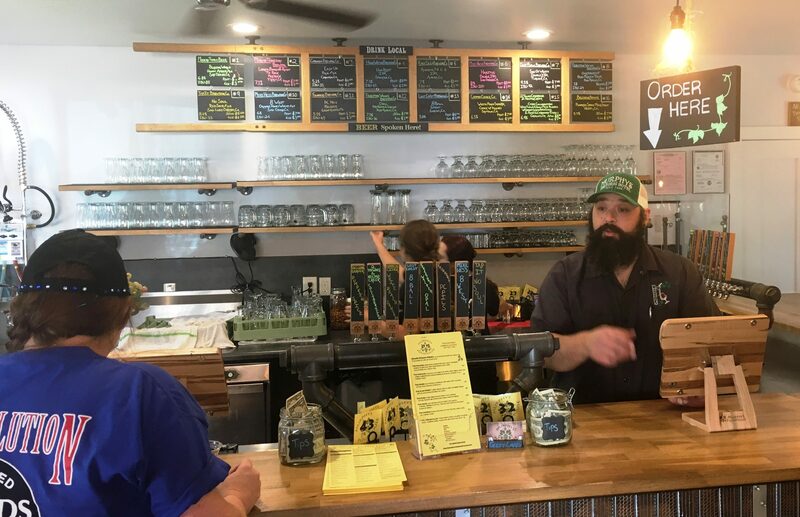 He was enthusiastic about their inventory of beer which we were surprised did not include any draft beers although they had a very robust collection of bottled and canned brews – most notably from California breweries. 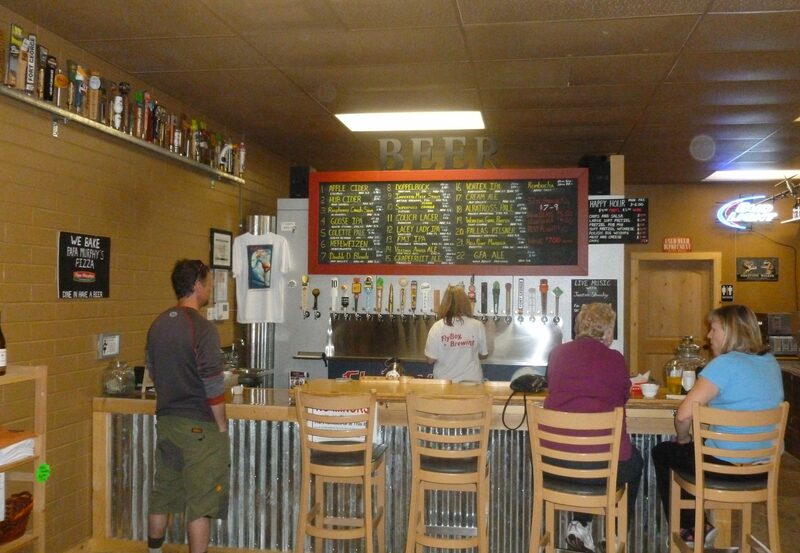 Slick, but no beers on tap! 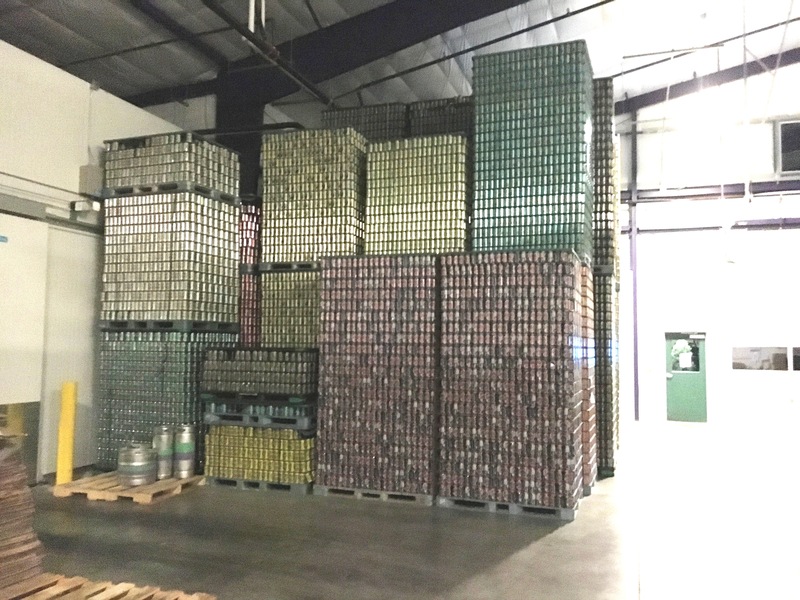 “We believe in highlighting the unique taste of each beer. 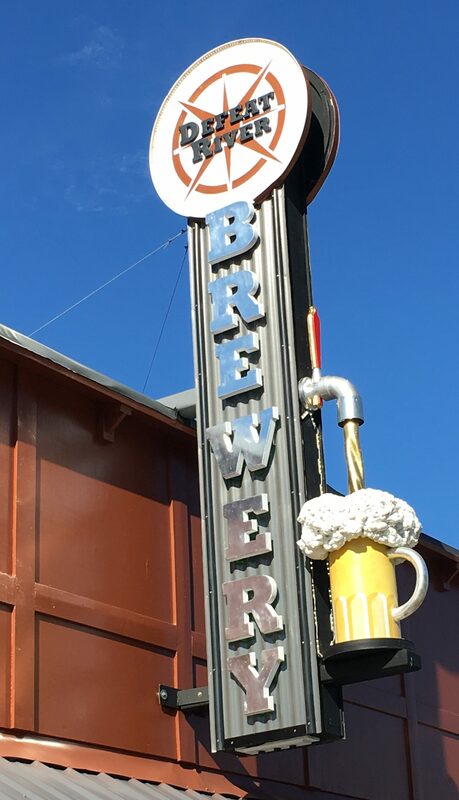 The brewers specify the CO2 line pressure which should be maintained from the keg to the tap and it varies for each beer. Blake – nice guy, but explanation on taps is puffery..
And one other interesting sidelight. 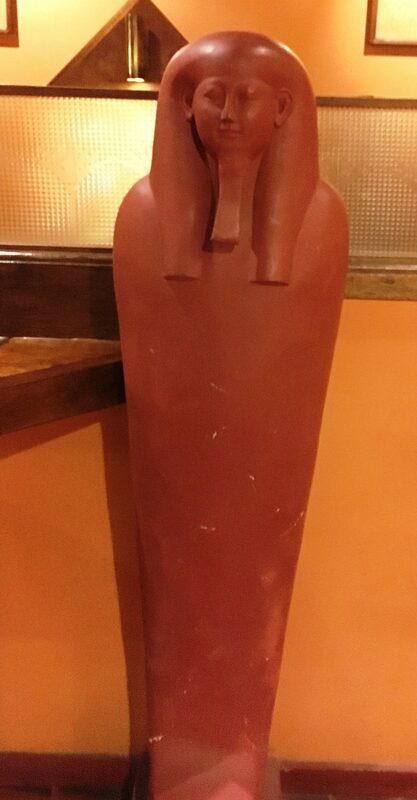 We were struck by the number of persons who had parkas or insignia with the Navy’s Blue Angels in the hotel lobby. 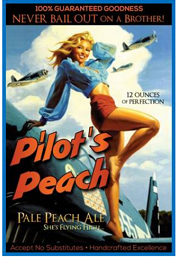 Being a Navy veteran and having seen the Blue Angels fly when I was a NROTC midshipman in college, I was interested. And we discovered on that Wednesday night that the prestigious aviation group was performing at an air show in Sacramento that weekend. The Navy personnel were all very polite and looked sharp and they had designations ranging from “Maintenance” to “Air Frame” to “Logistics,” etc. (we did not see the actual pilots). Given the large number of both male and female personnel who were obviously part of the contingent, made me curious and I did a little more research. In these days of federal budget constraints, it’s probably fair to raise the question as to whether the annual budget outlay is worthwhile in light of other priorities. 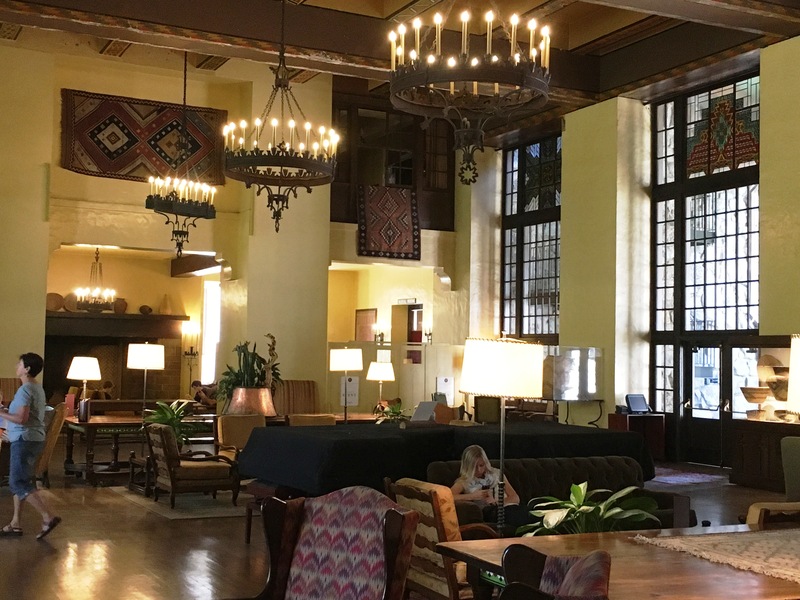 According to Wikipedia (which admittedly may not be the most reliable source, but okay for a blog about bars…) the annual budget is $37 million although it begs the question, what does include or not include. 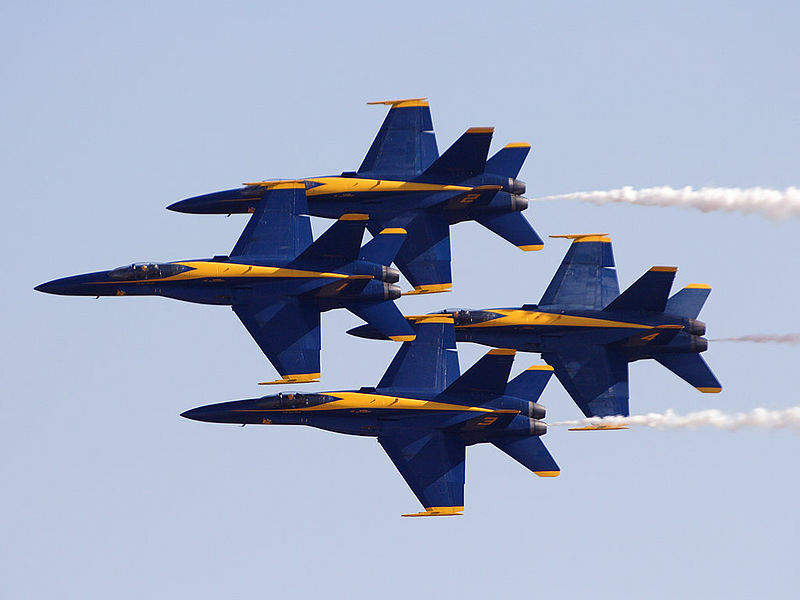 For example, a thought-provoking opinion piece from the Pensacola New Journal, entitled “Cut the Blue Angels from Federal Budget” authored by the son of a Navy captain who is also the brother of a naval aviator, asserted that based on the cost, the safety record and the environmental issues, the program should be discontinued. He estimates that if accounting for all costs and amortizing lost aircraft over the years, the true figure approximates $200 million annually. Wikipedia states that as of 2006, twenty-seven of the 262 Blue Angel pilots have died in air show crashes or training accidents. The opinion piece above was prompted, in part, by the June, 2016 Blue Angel crash and death of Marine Capt. Jeff Kuss, in an airshow. 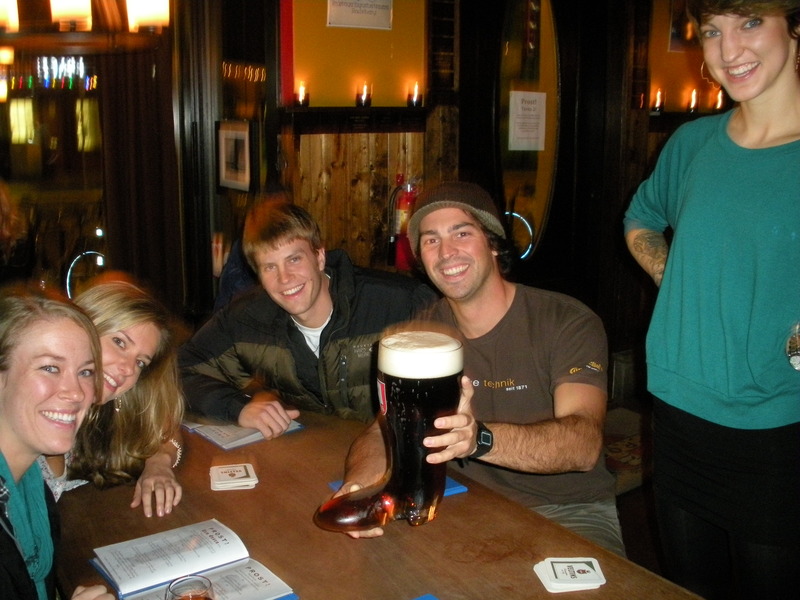 One of the general guidelines established when I commenced Thebeerchaser’s Tour of Bars, Taverns and Pubs five years ago was that I would focus on the aforementioned watering holes and not cover restaurants that may also have good bars. 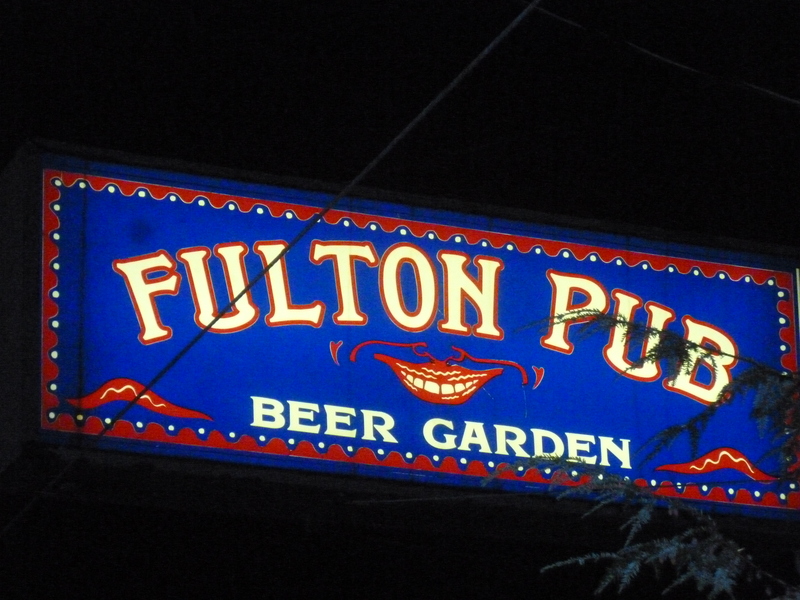 The only exceptions – now added to by the Fulton – have been two McMenamin establishments. 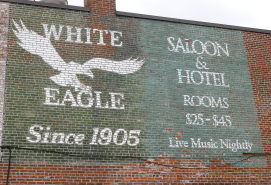 (1) They have great bars with rich histories. 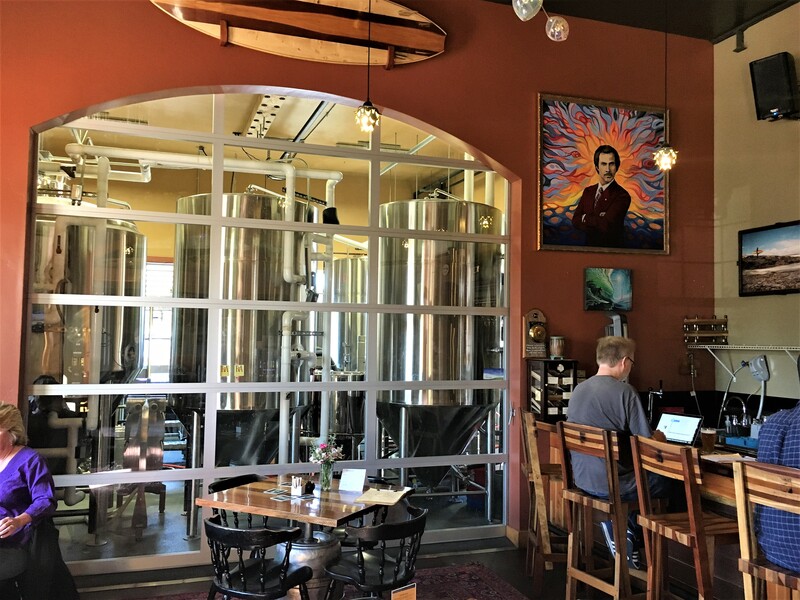 (2) The McMenamin Brothers are a key part of the Oregon Beer industry and culture. (3) It’s my blog and I make the choices! 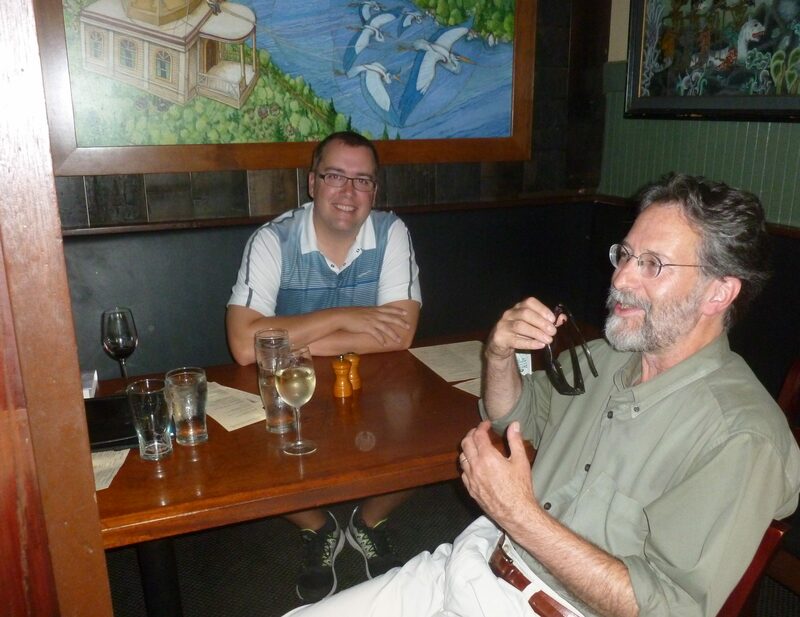 With that preface, I have to disclaim that it has taken me over two years to finally tell you about the Fulton Pub, which I visited two more times after my memorable first trip for drinks with prolific Portland author, Brian Doyle. 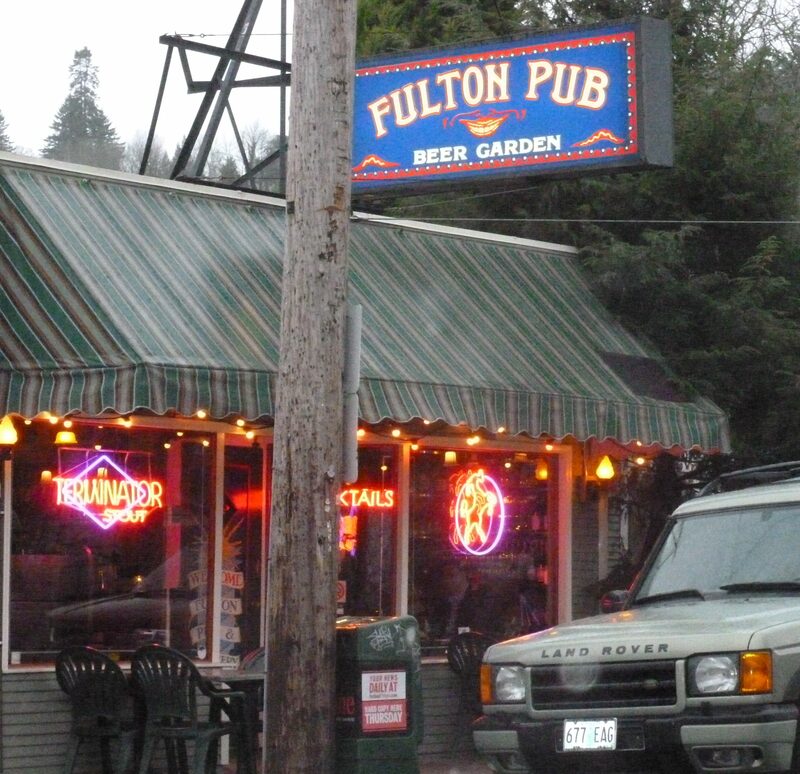 He suggested The Fulton as one of “my regular watering holes” and had even written a wonderful essay about the pub entitled “An Ale Tale.” (see below). 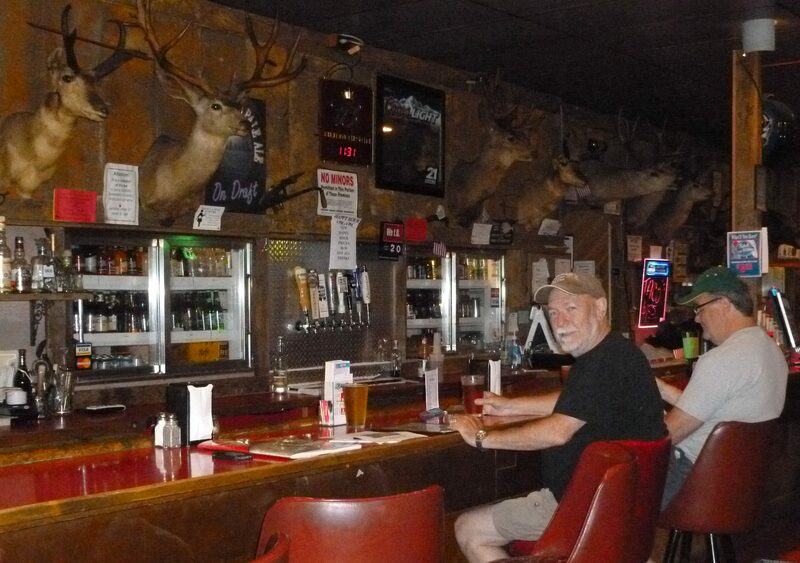 After being known as the Home Tavern for a number of years, The McM Brothers opened it as the Fulton in 1988. 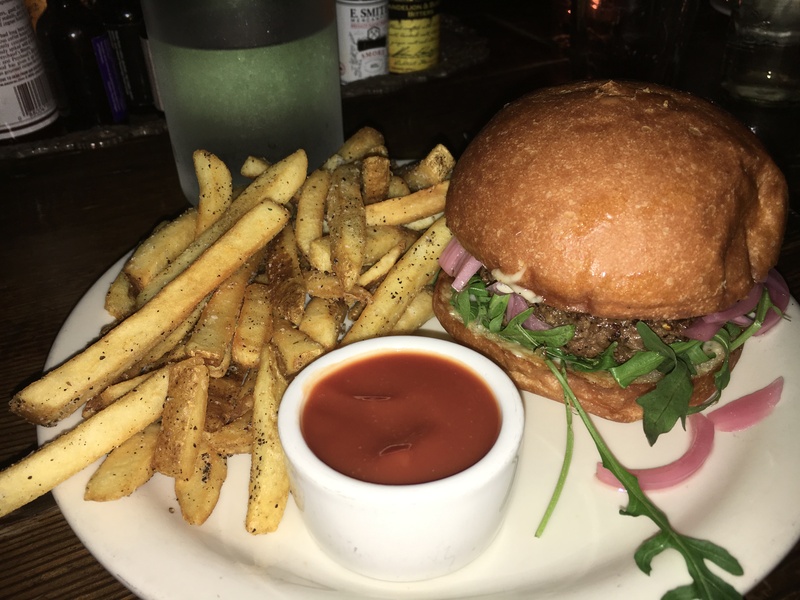 You can order any of the McMenamin microbrews and munch on one of their good burgers with plentiful fries or other items on a good pub-faire menu. 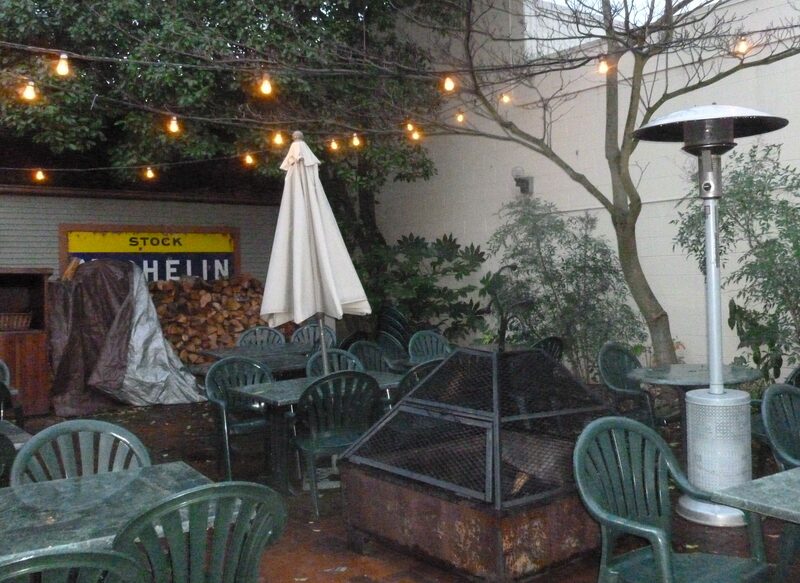 And it does have a great patio – filled with drinkers of good cheer during the few non-dripping months in Oregon. 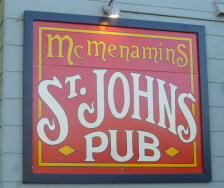 So what distinguishes it from any of the other McMenamin venues? 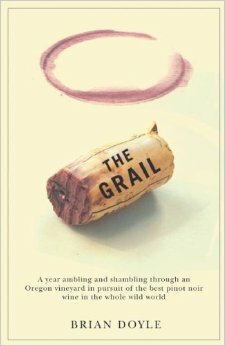 “It’s unpretentious, friendly, liable to laughter. There are babies and dogs and mismatched chairs. There’s world-class stuff made there but there’s no preening or wheedling. 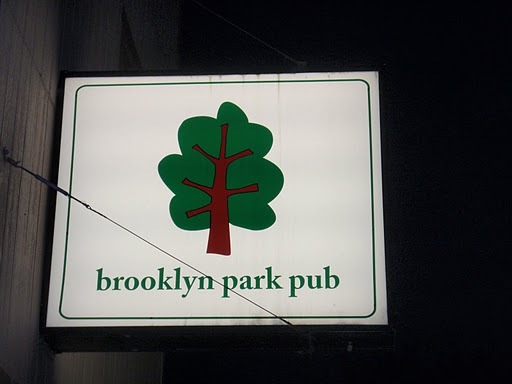 The pub and the ale were created here by people here for people here. When it rains everyone crowds inside, including the dogs. When the sun comes out everyone sprawls outside, including the babies. 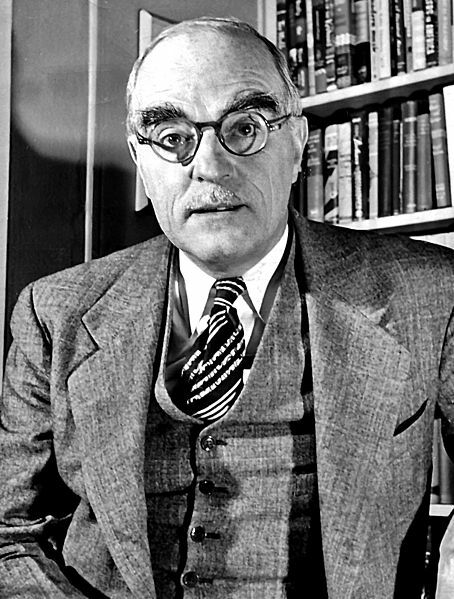 Since that Fulton visit in 2014, he has authored three additional novels: The Plover, Marten Martin and Chicago and five collections of essays. 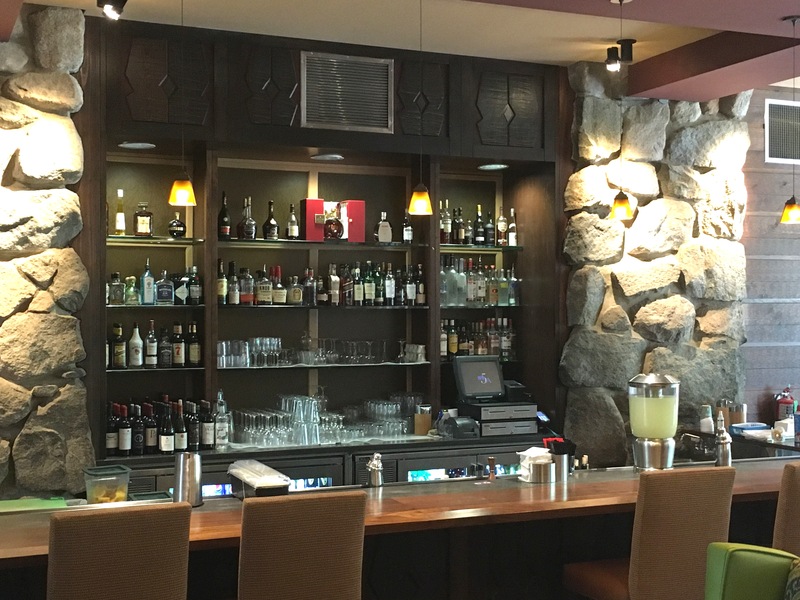 On our last two visits my companions and I dined, and both times found that the usual ponderous McMenamin’s turn-around time on meals was not the case at the Fulton and the servers were wonderful. 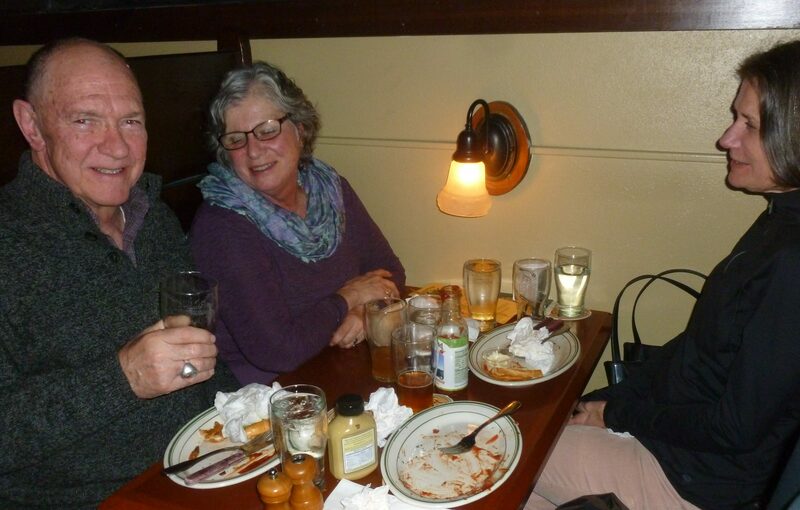 I might add that the combined experience of drinking with Brian Doyle and then my sister and her husband, imparted a connection with those who are artisans of the English language. 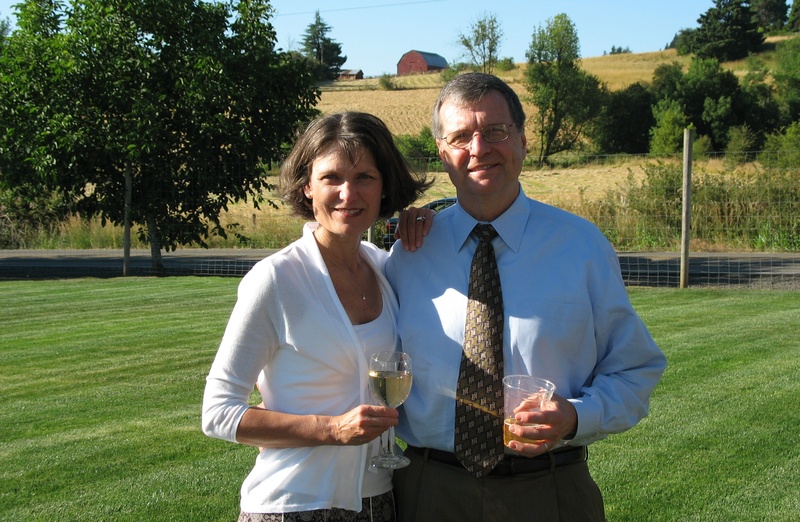 Lynne and Dave are retired school administrators and both at one time during their careers taught Literary Arts and Writing at the high school level and taught education courses at Lewis and Clark College. My sister and her spouse were extremely helpful although not gentle in their critiques and notations on these documents – done in red pen. And that thankfully brings us back to the Fulton. 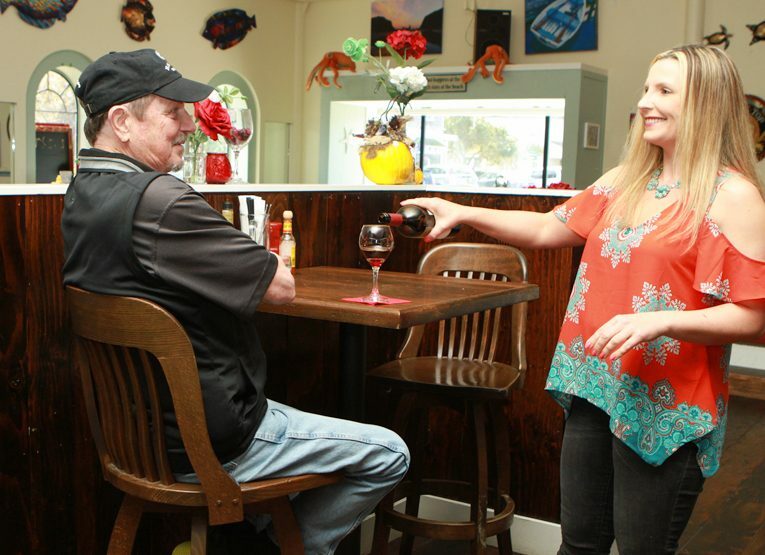 Each time I visit this wonderful bistro, I am impressed by its character and the regulars who consider it “my pub.” The last time I ran into an Oregon State fraternity brother, Doug Hardesty, who was there for one of his regular stops for a beer and burger.